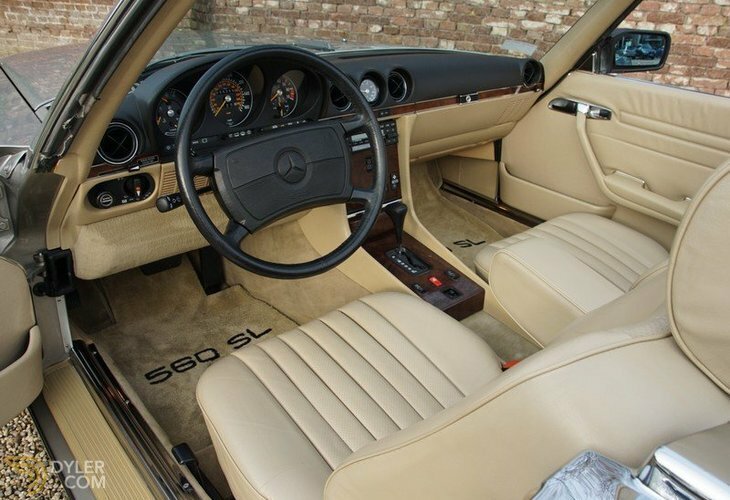 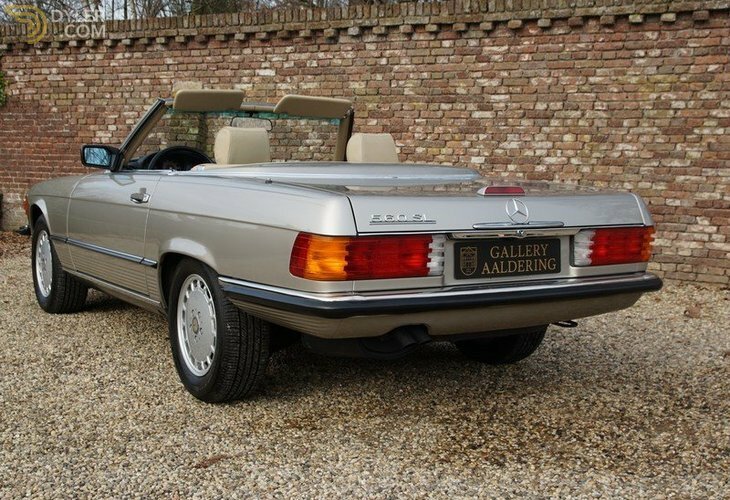 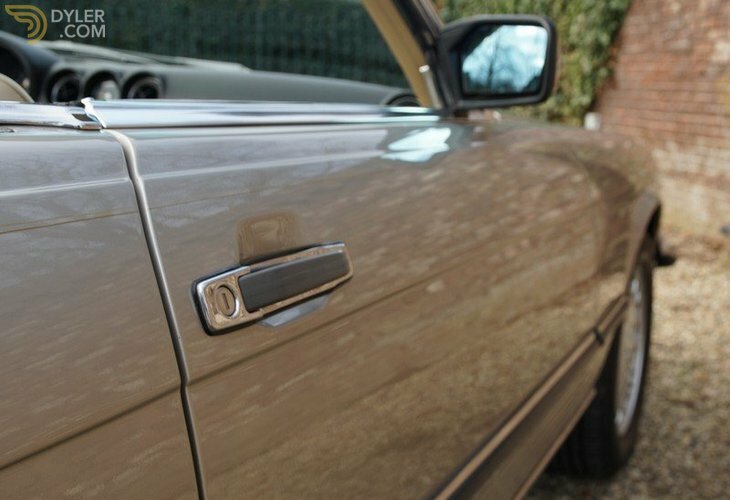 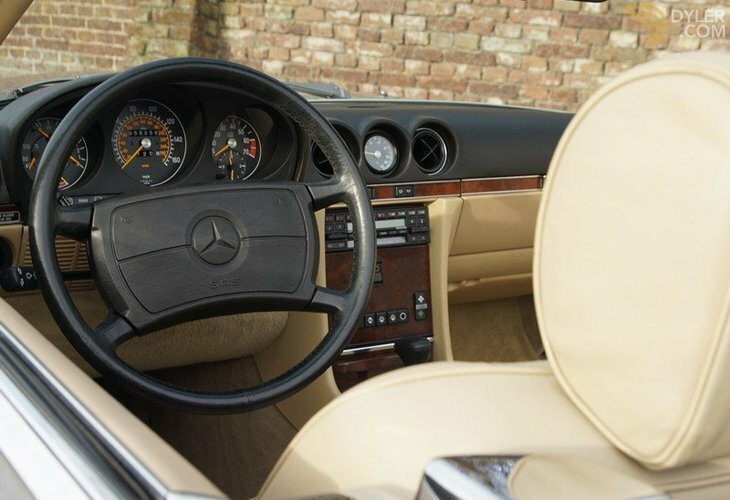 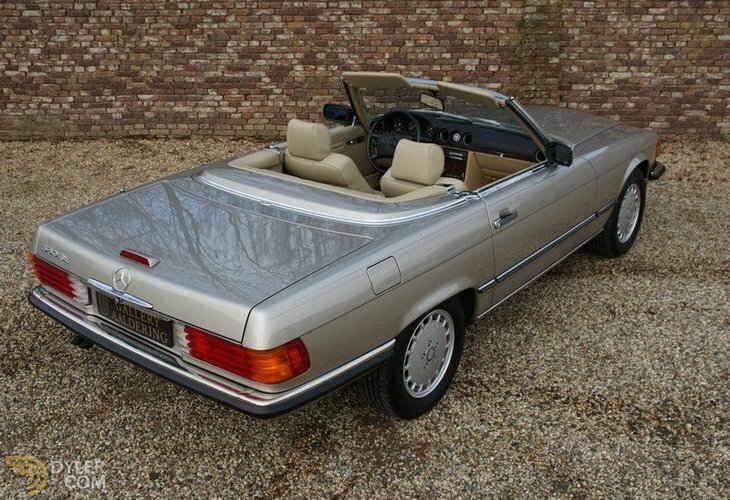 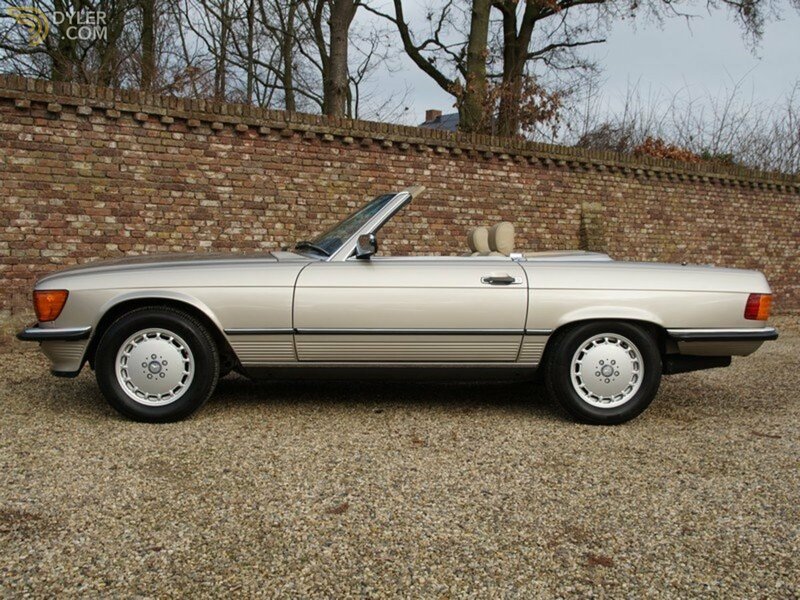 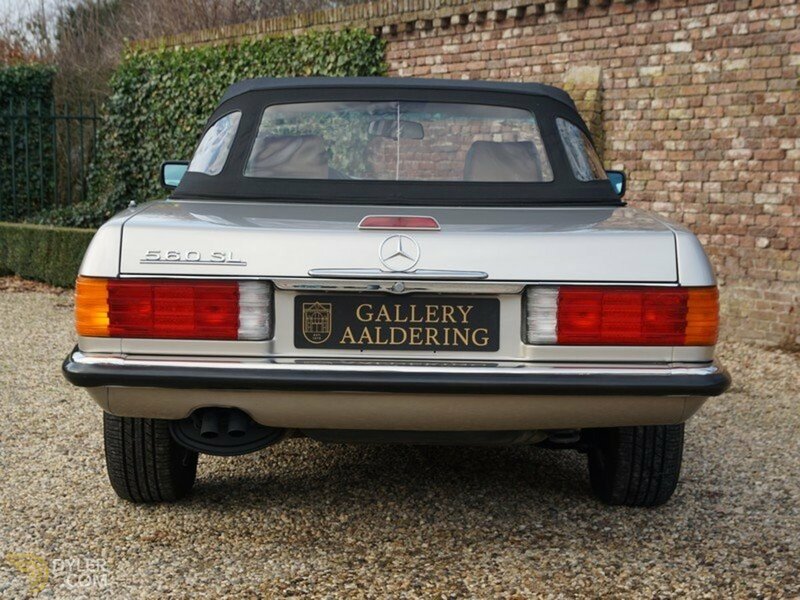 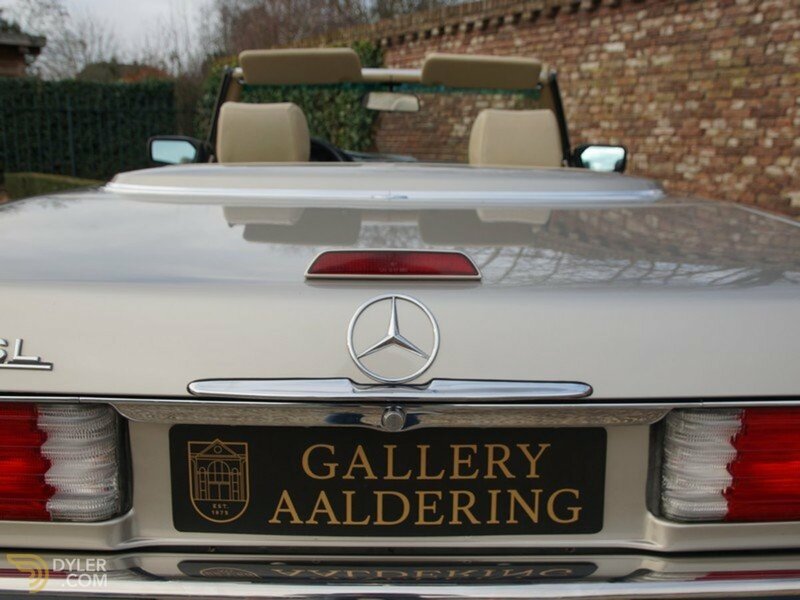 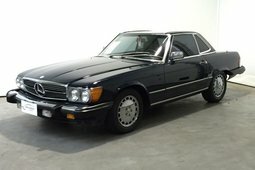 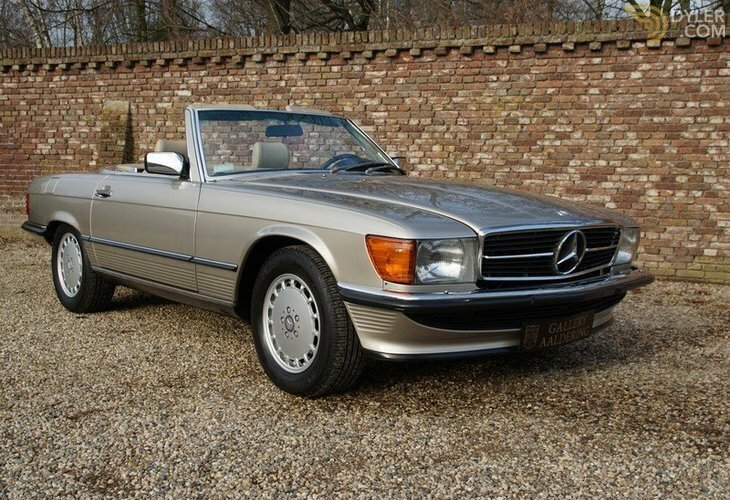 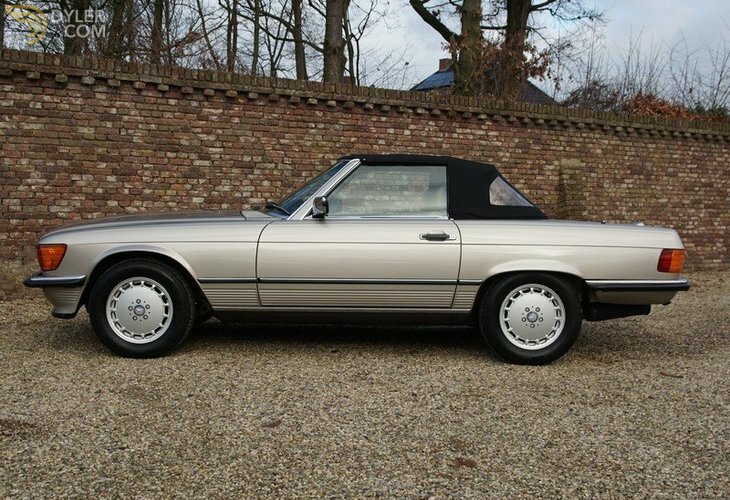 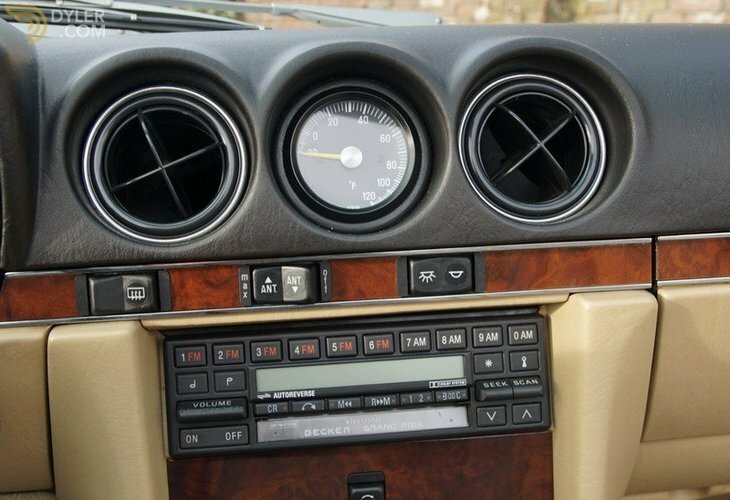 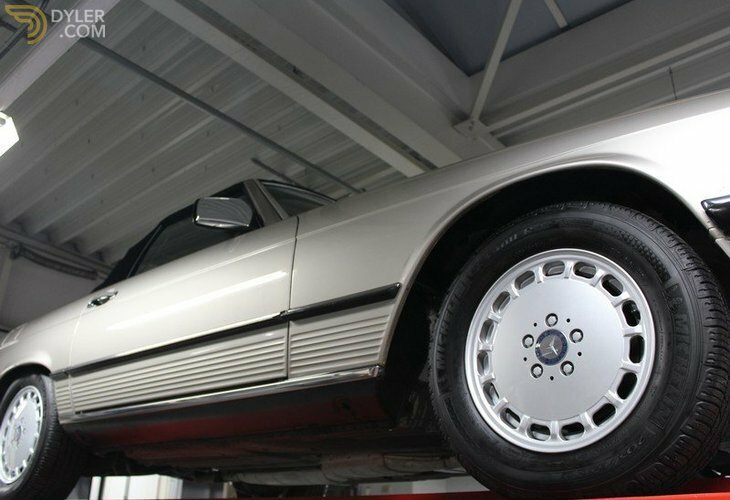 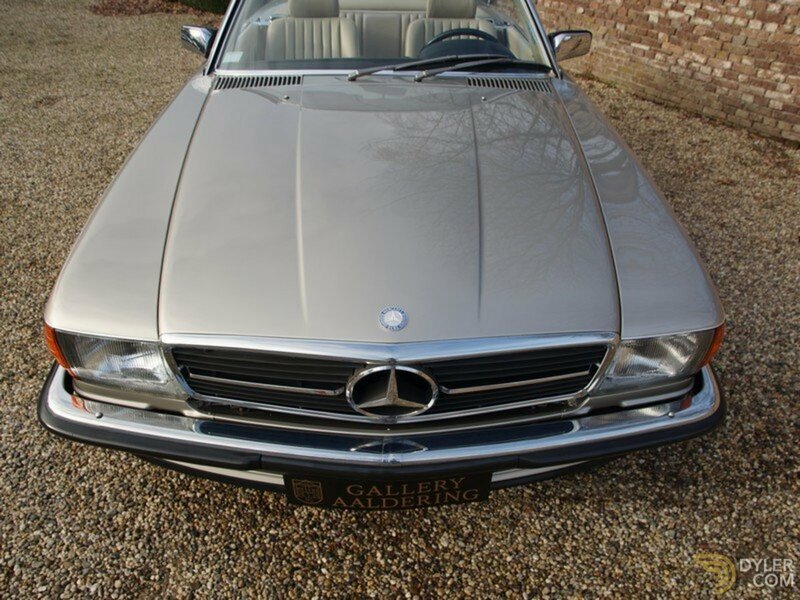 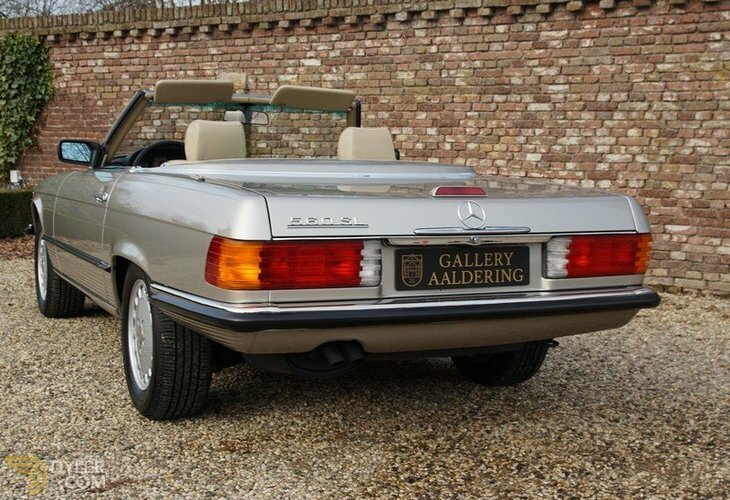 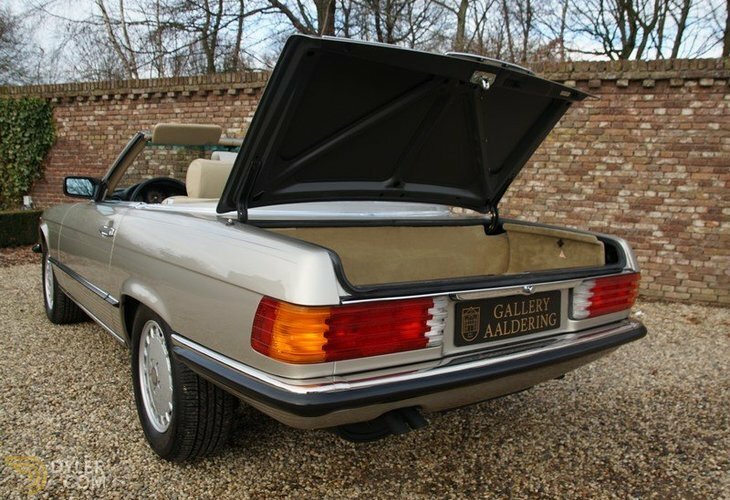 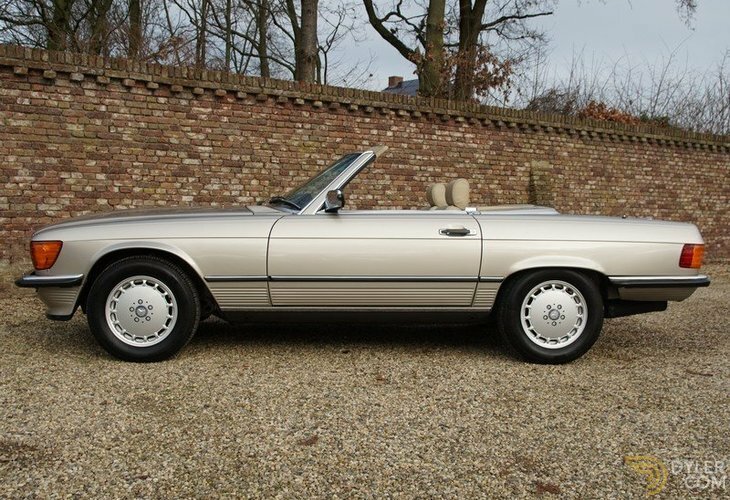 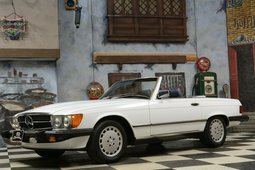 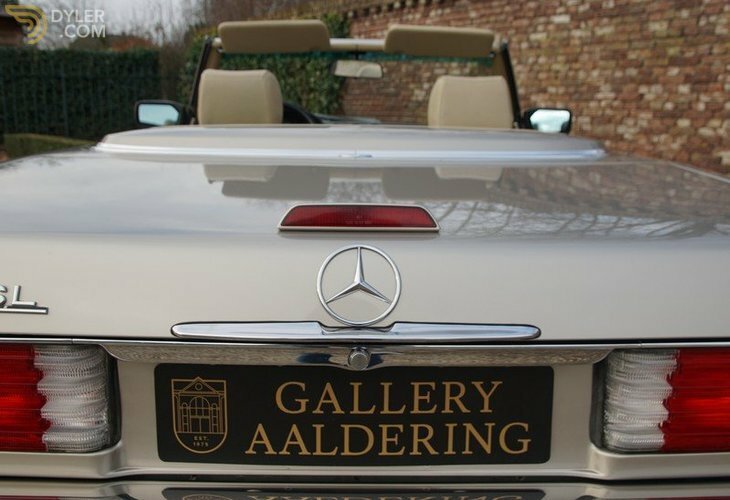 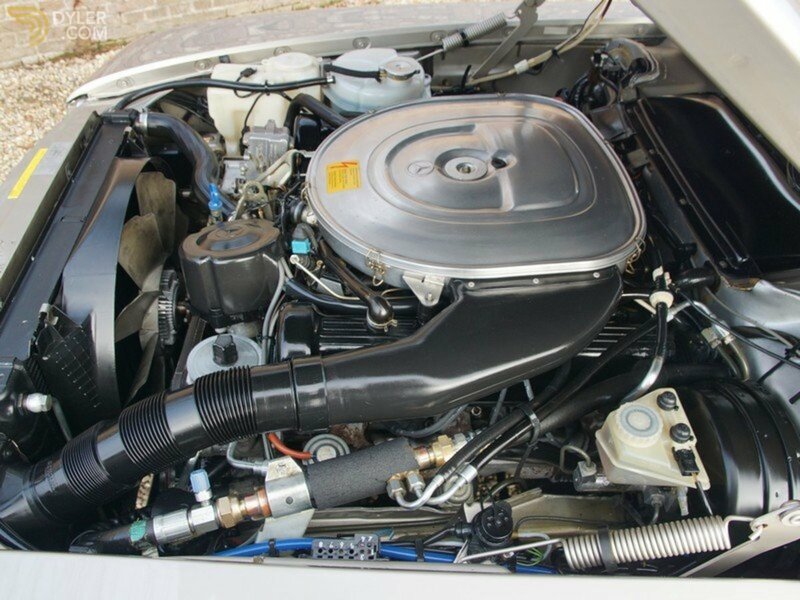 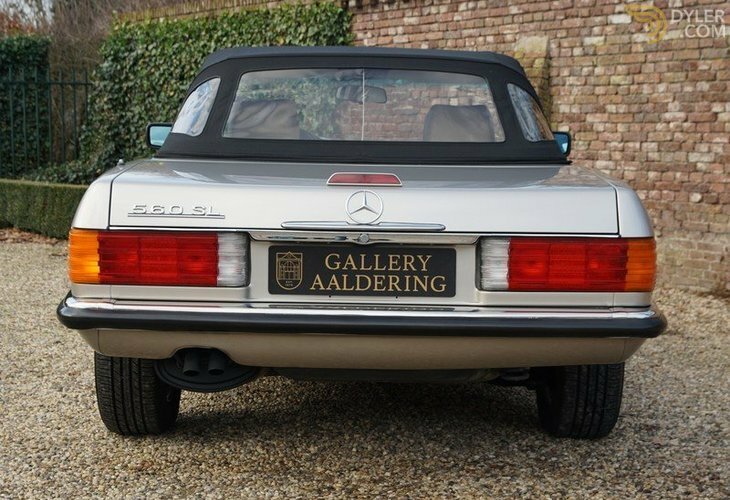 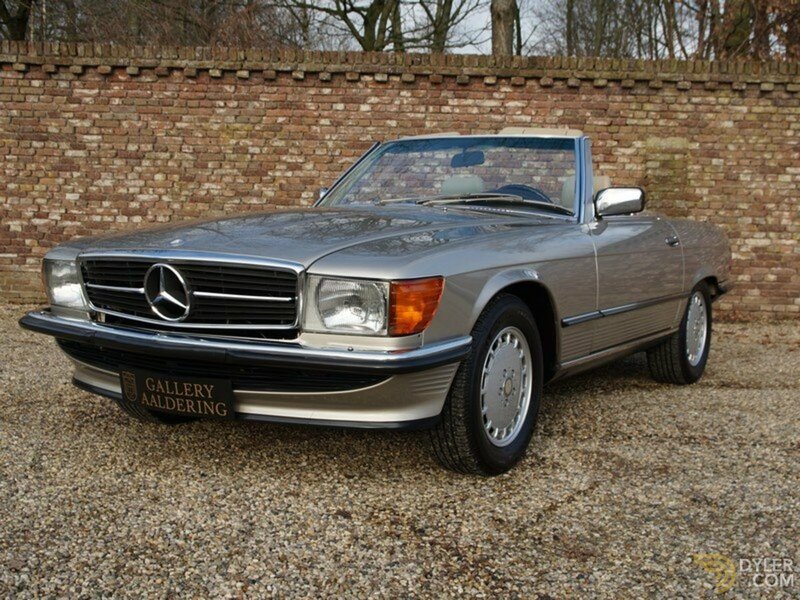 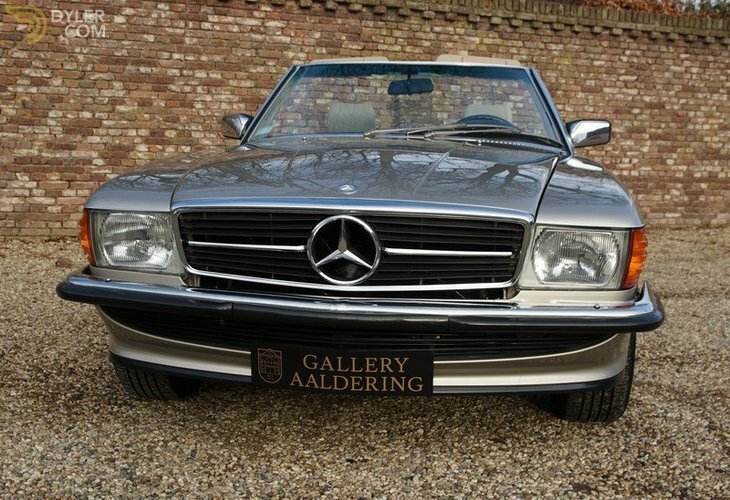 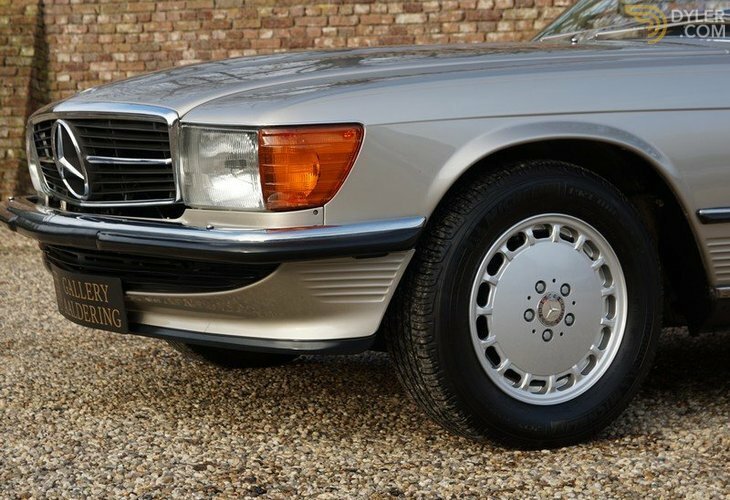 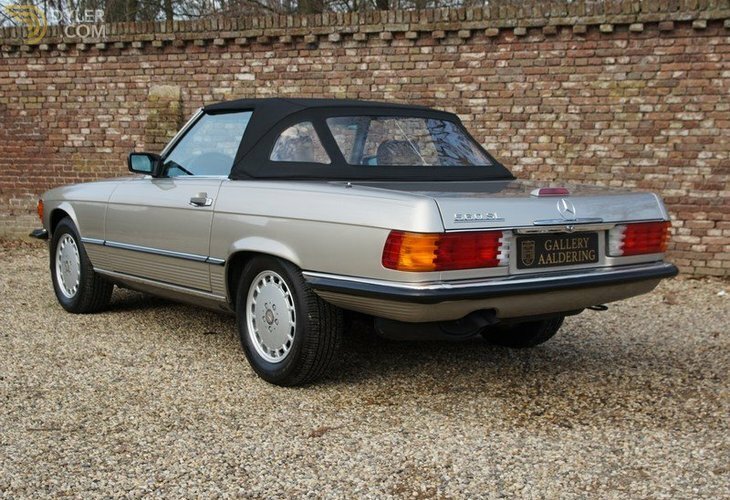 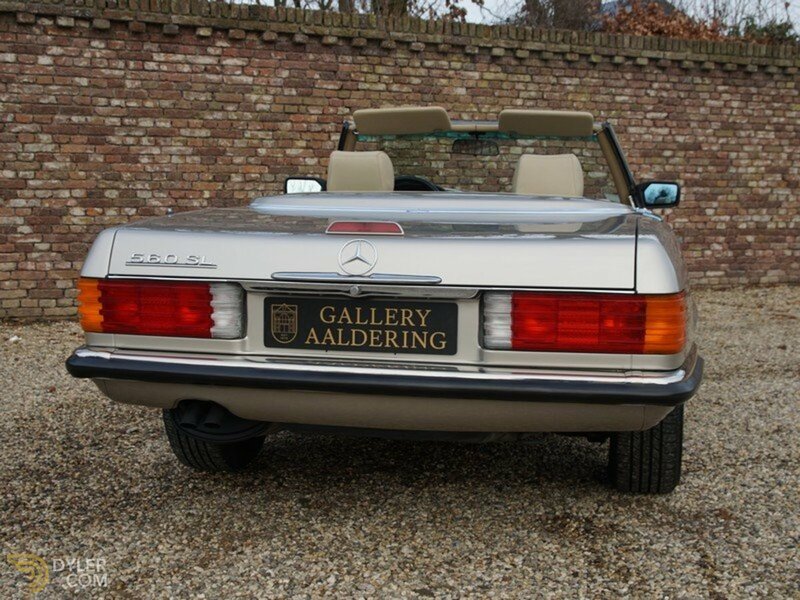 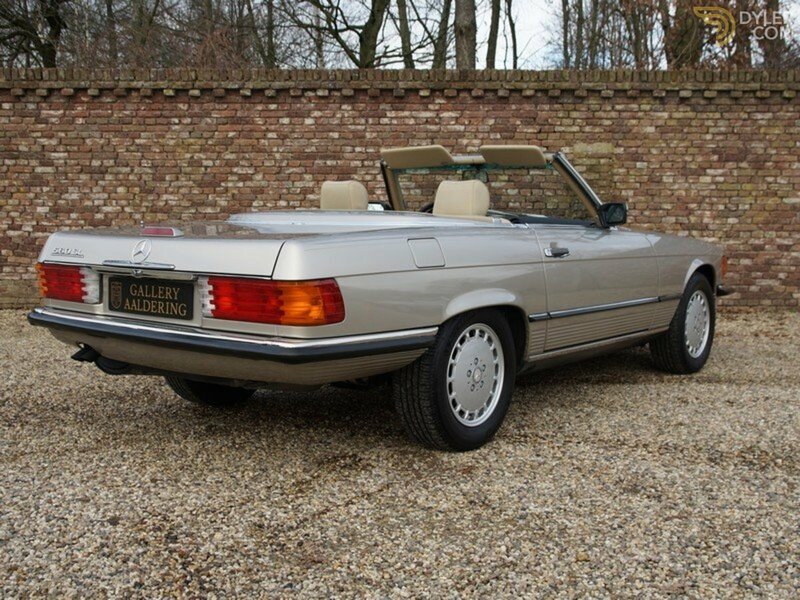 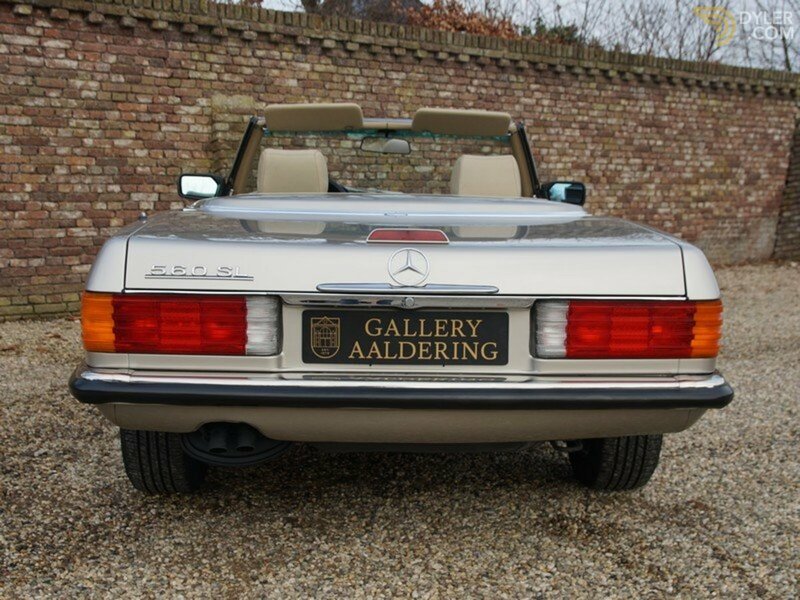 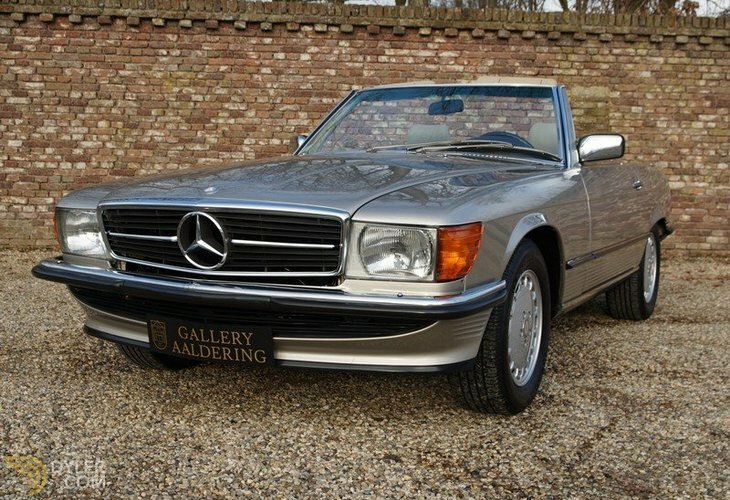 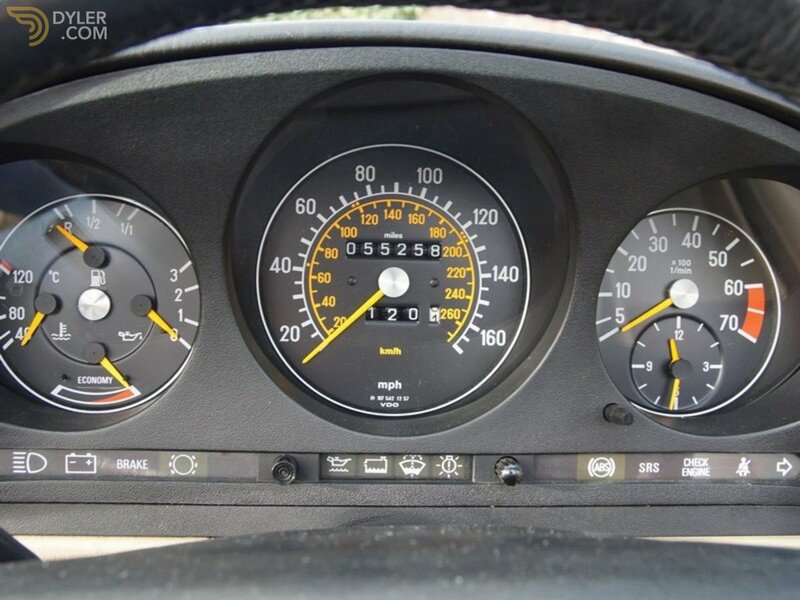 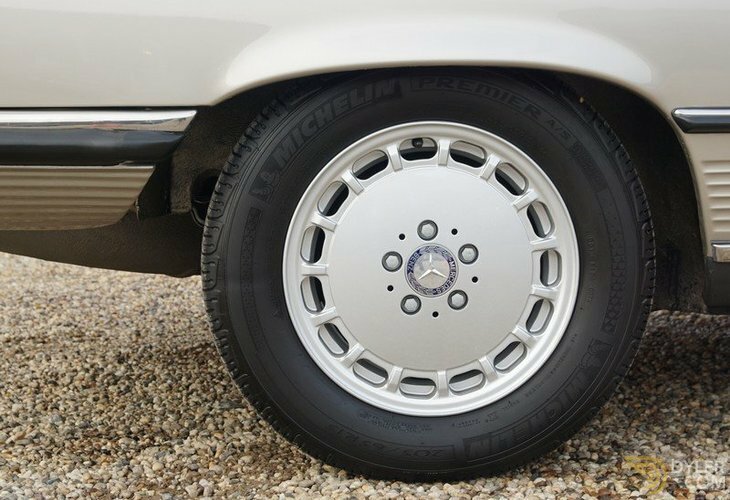 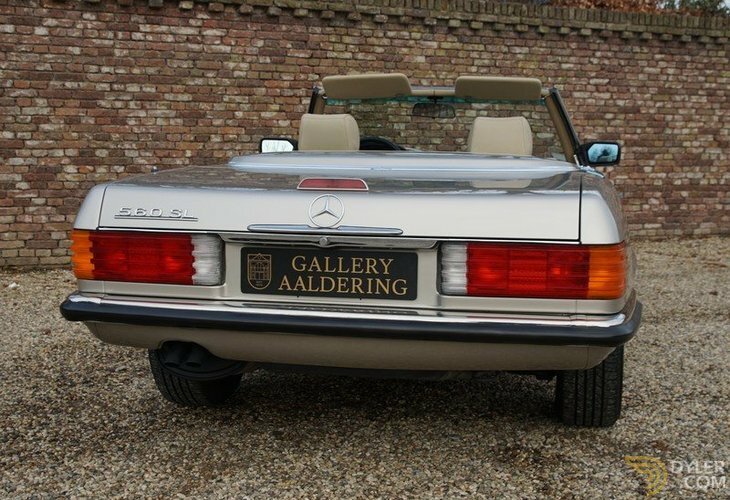 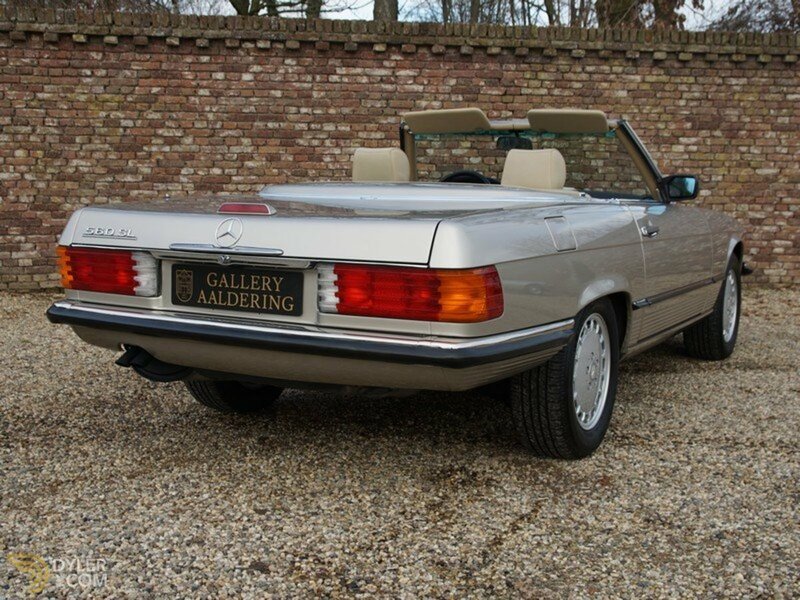 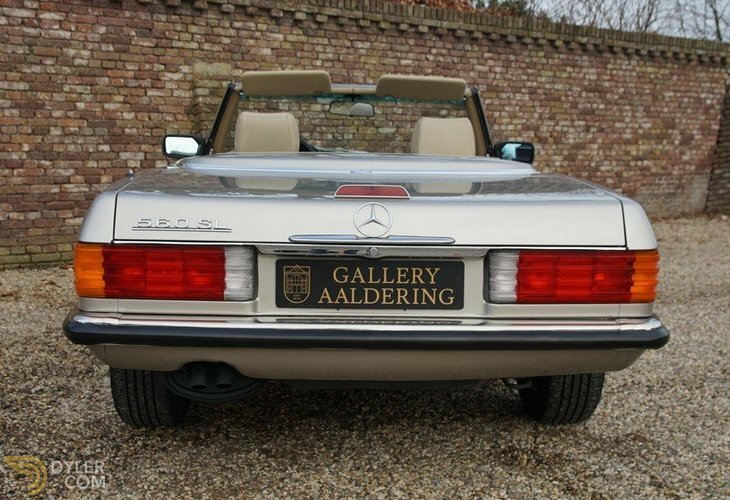 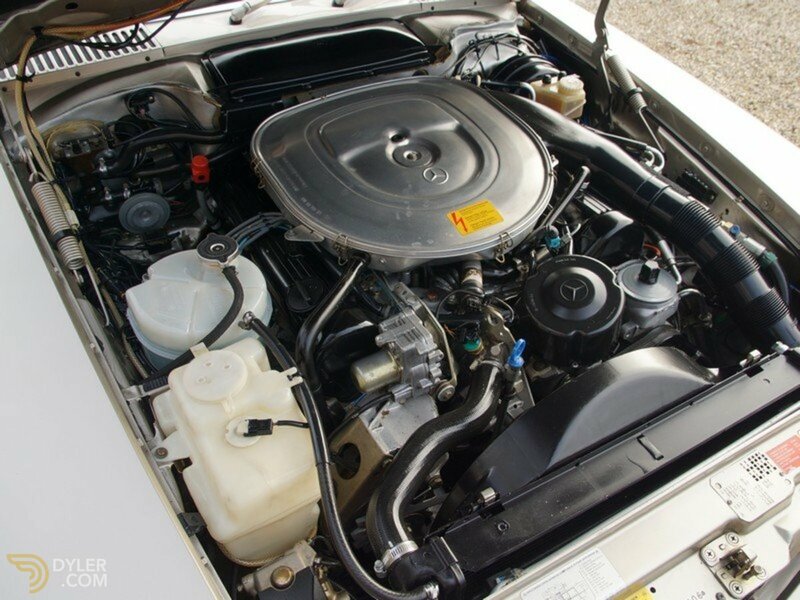 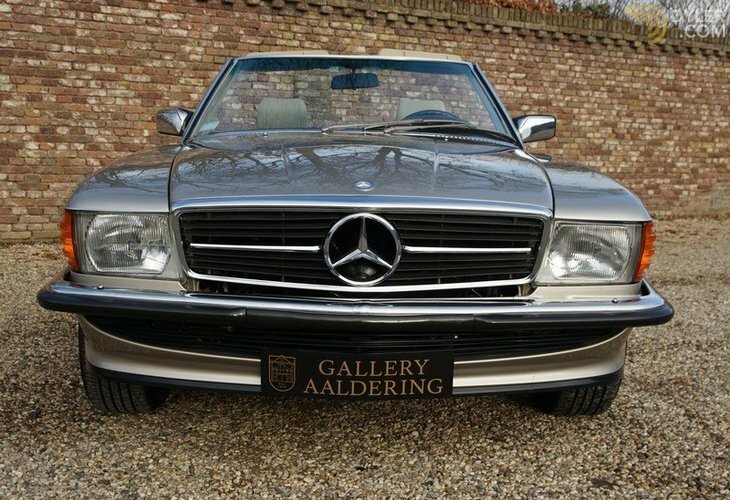 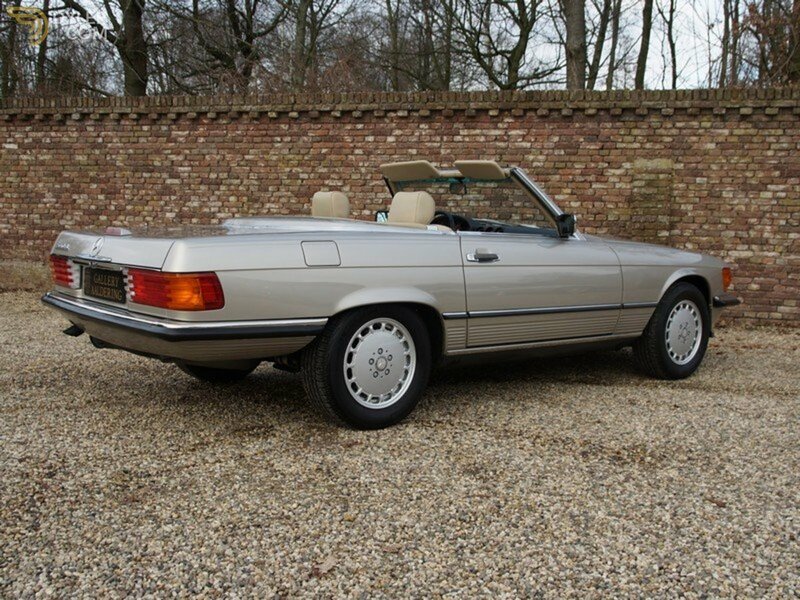 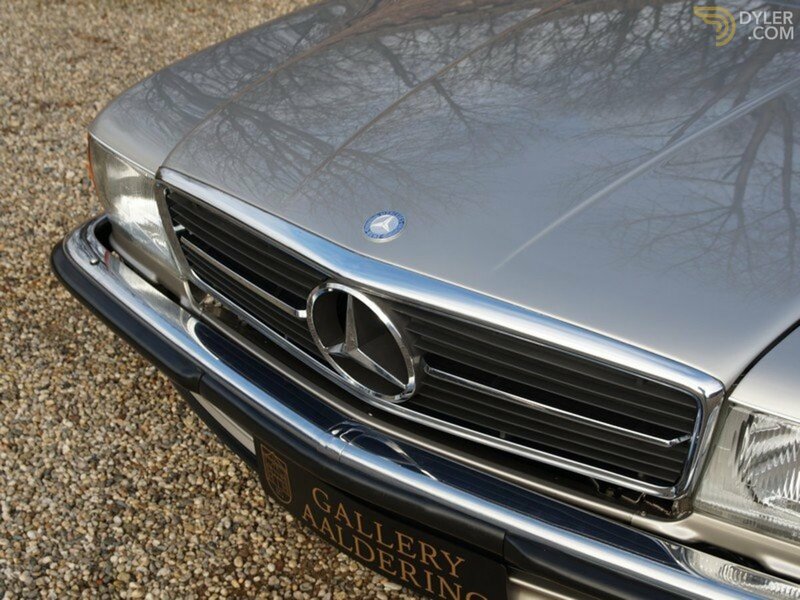 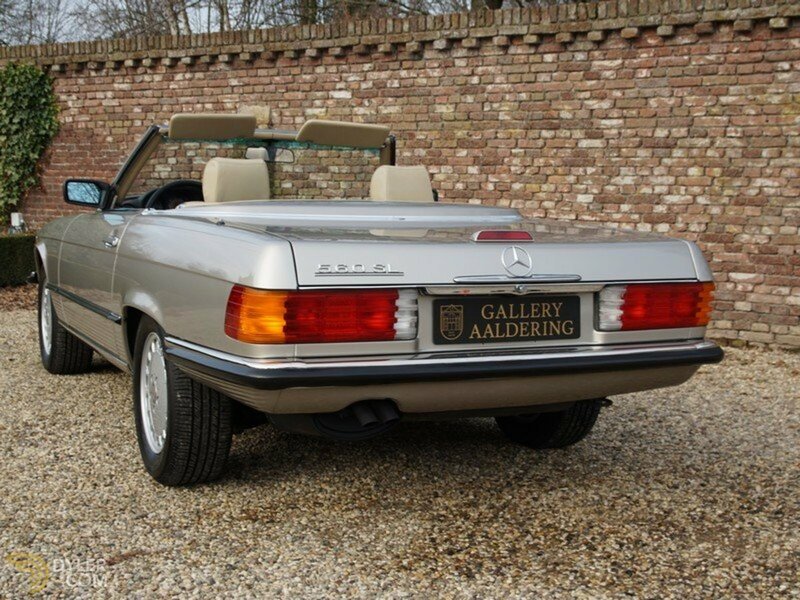 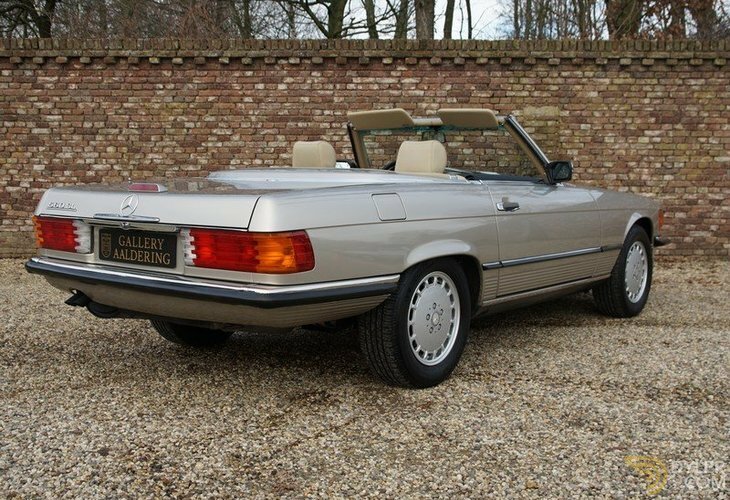 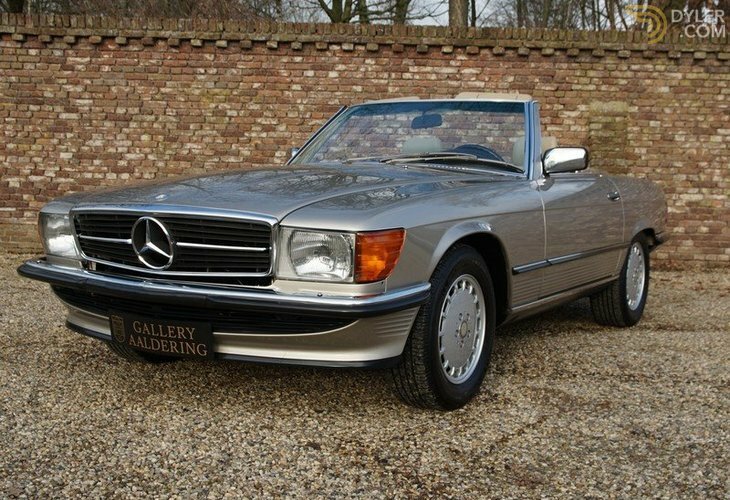 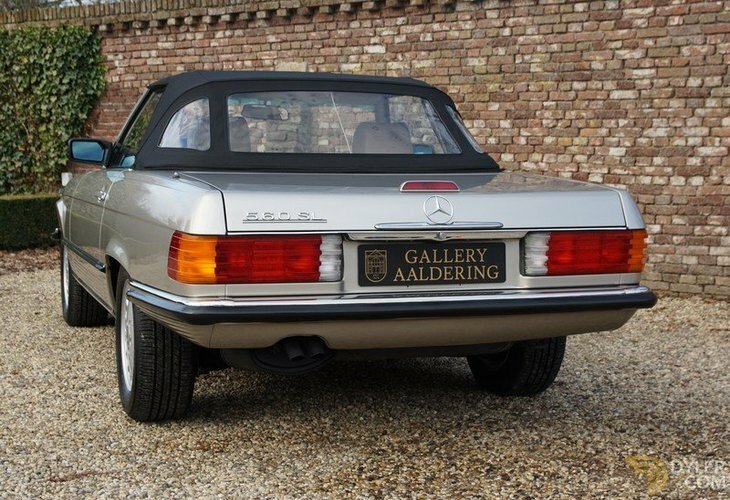 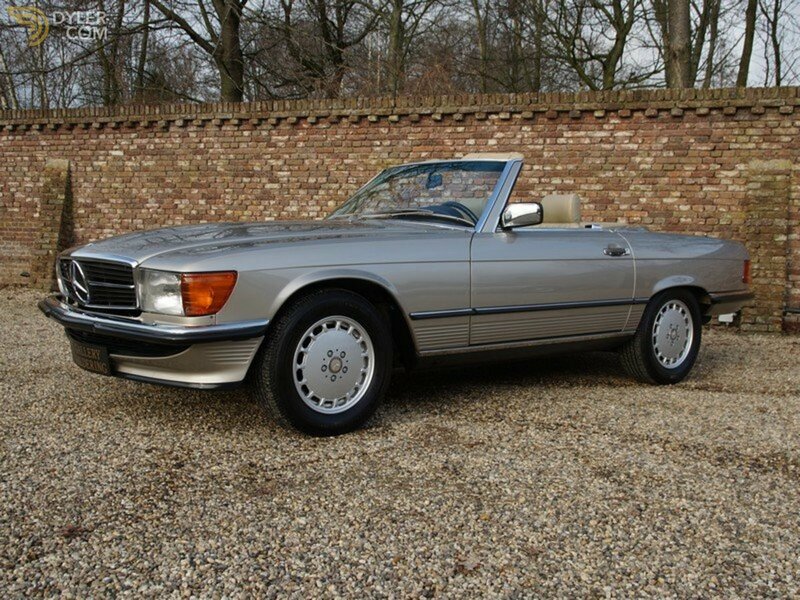 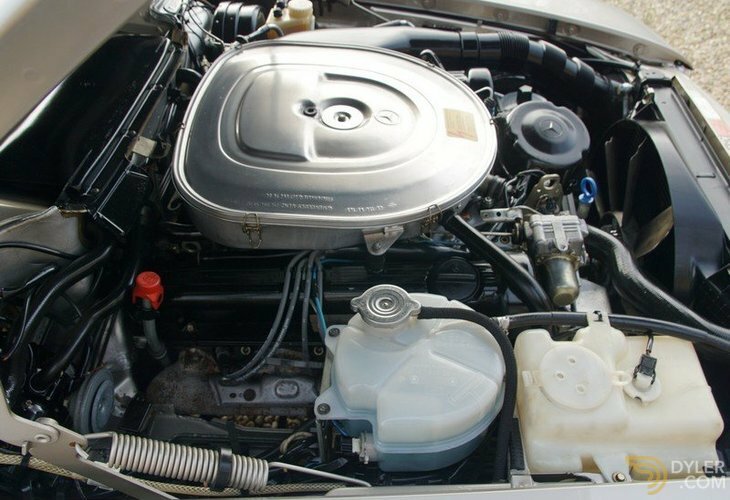 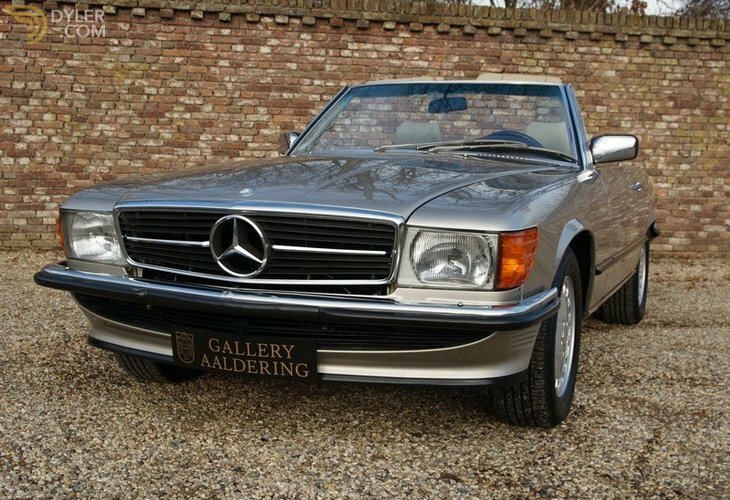 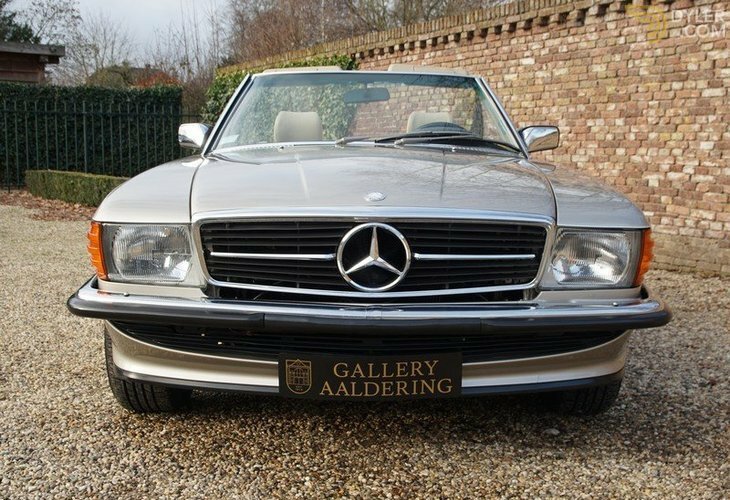 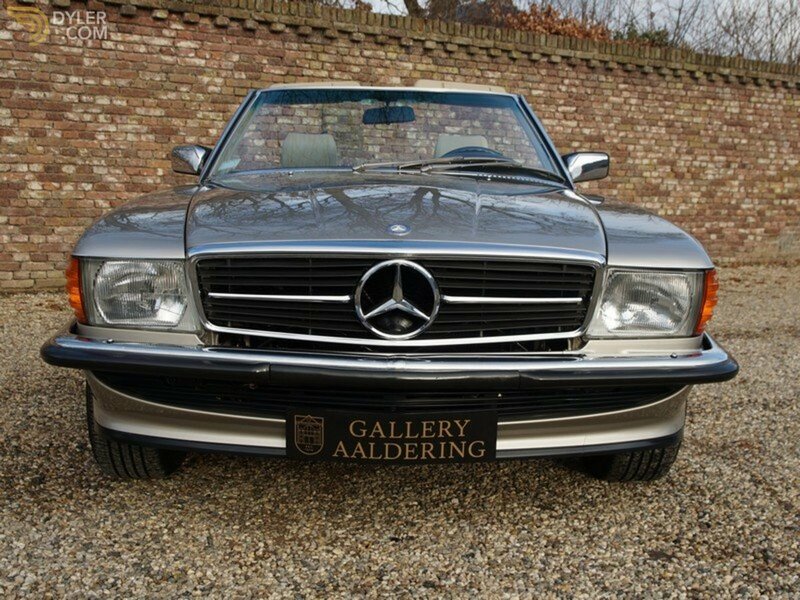 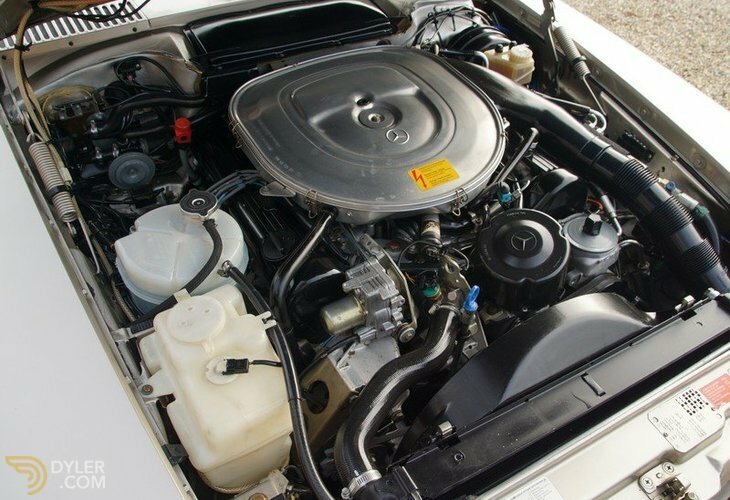 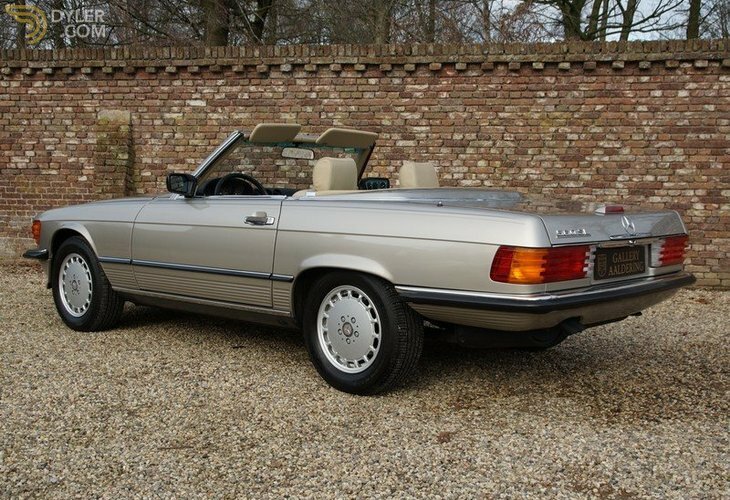 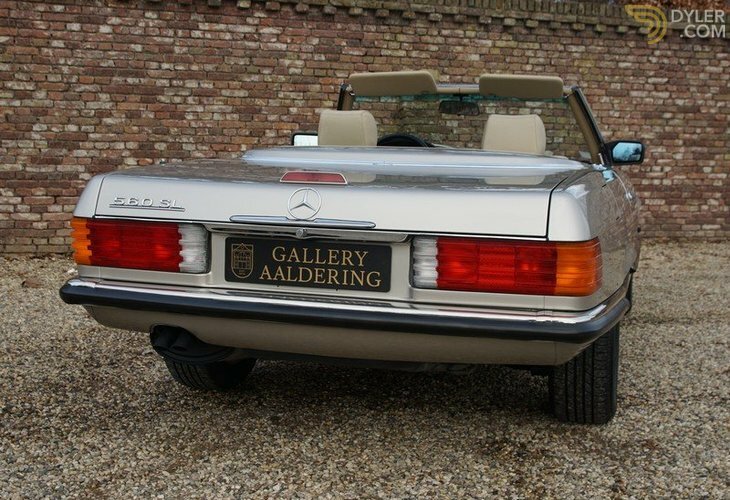 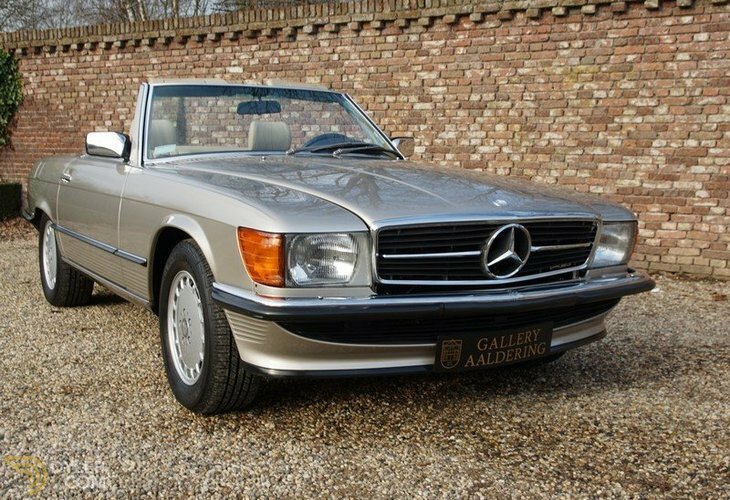 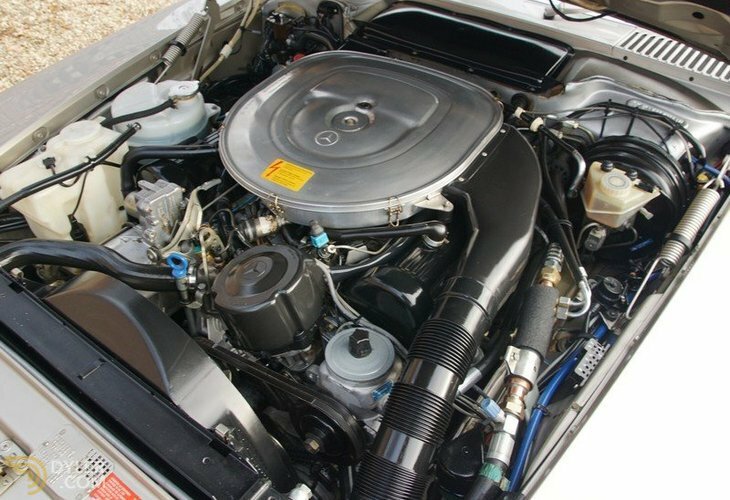 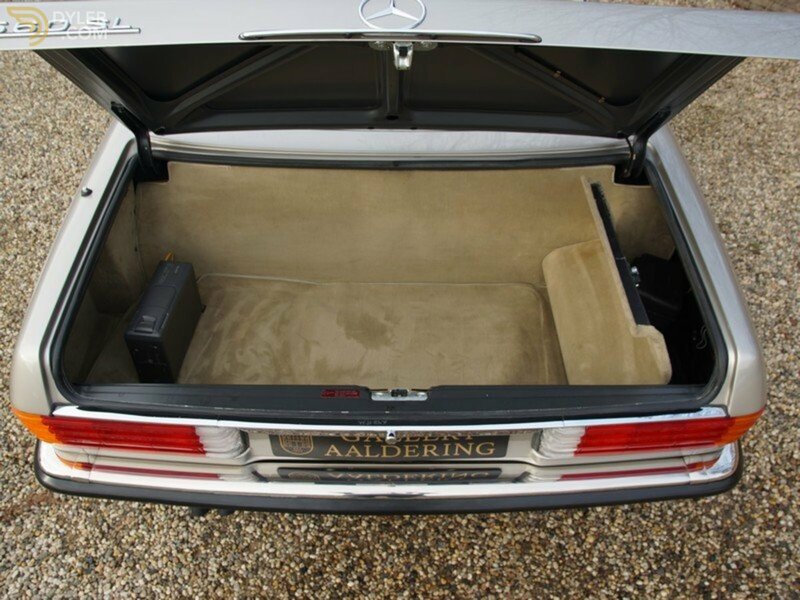 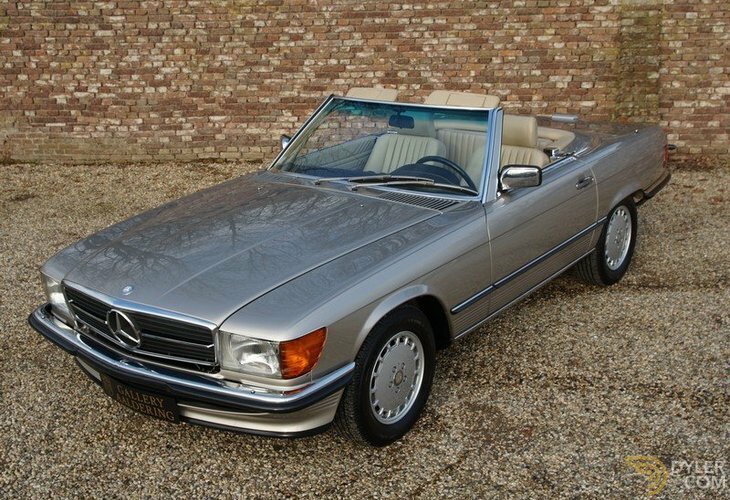 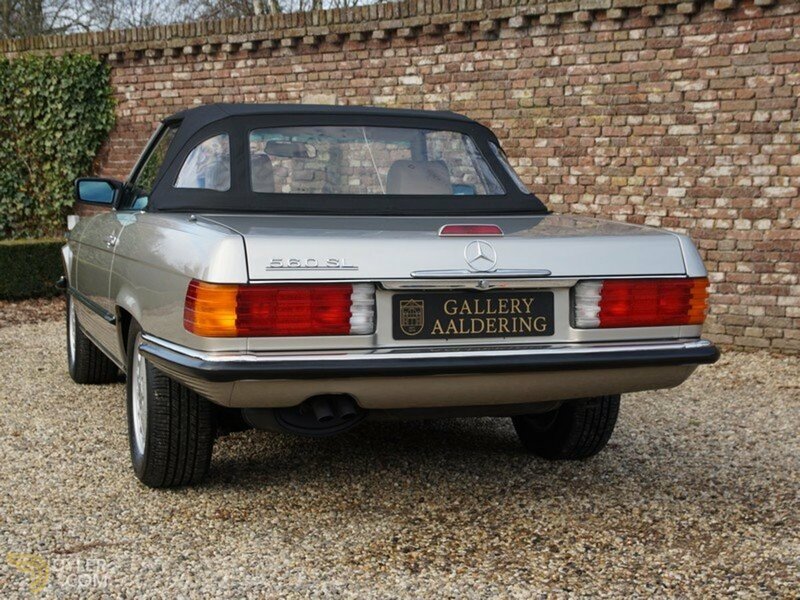 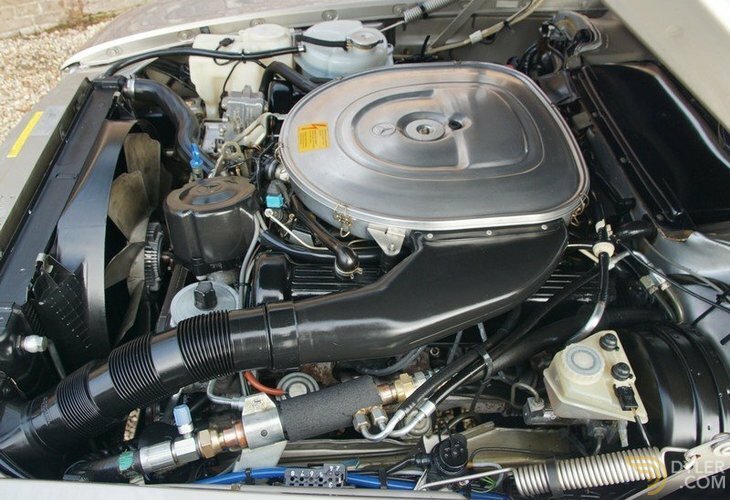 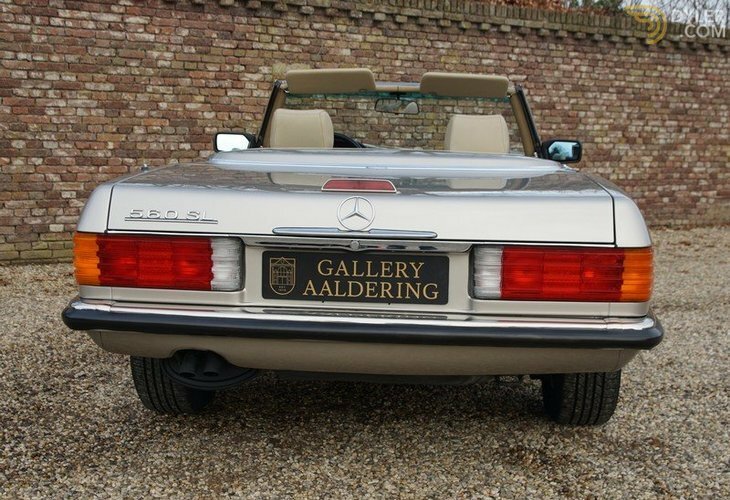 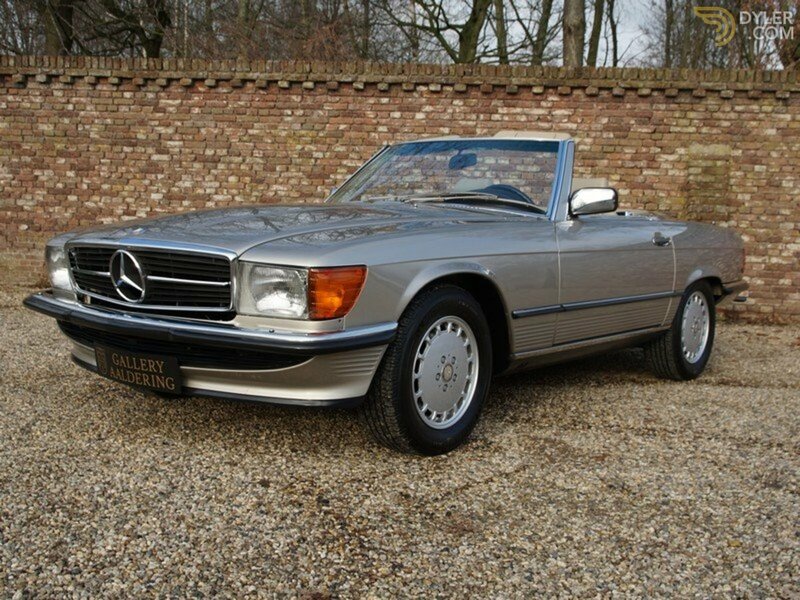 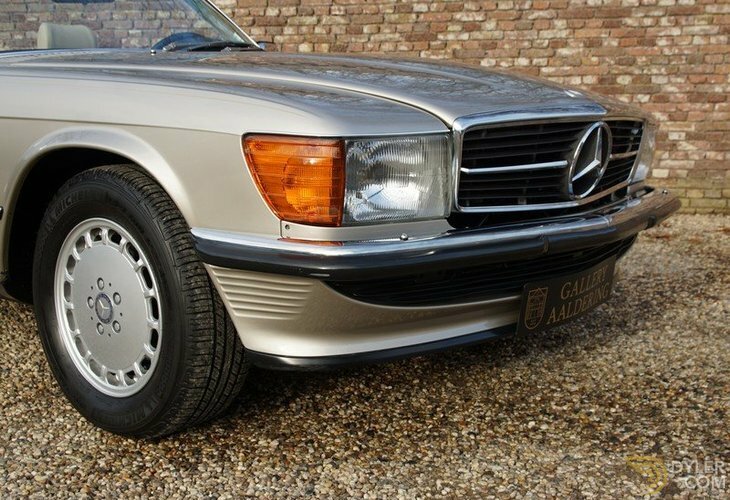 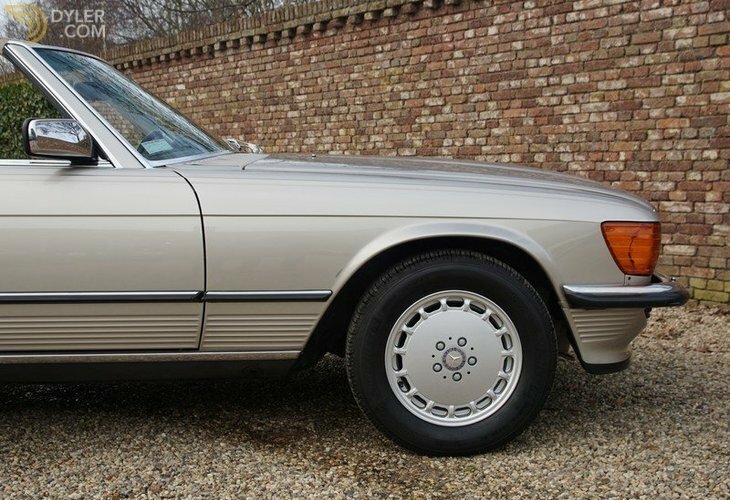 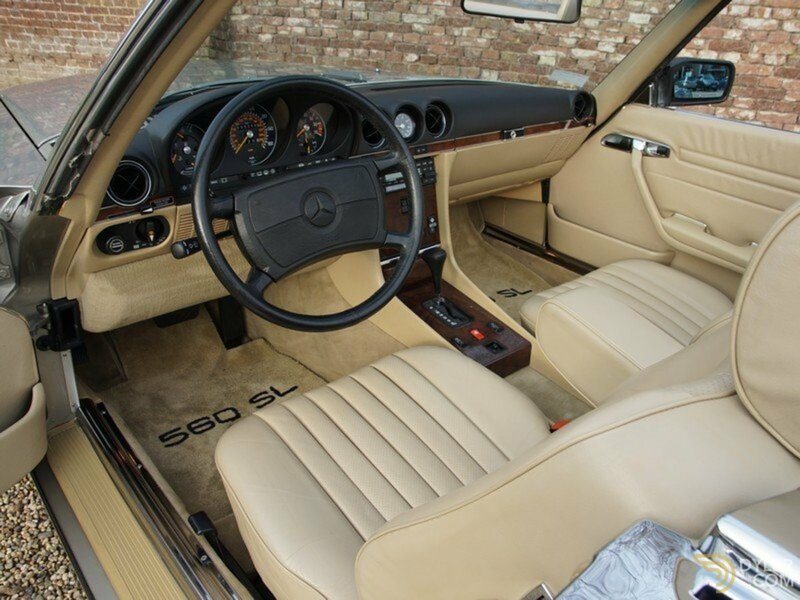 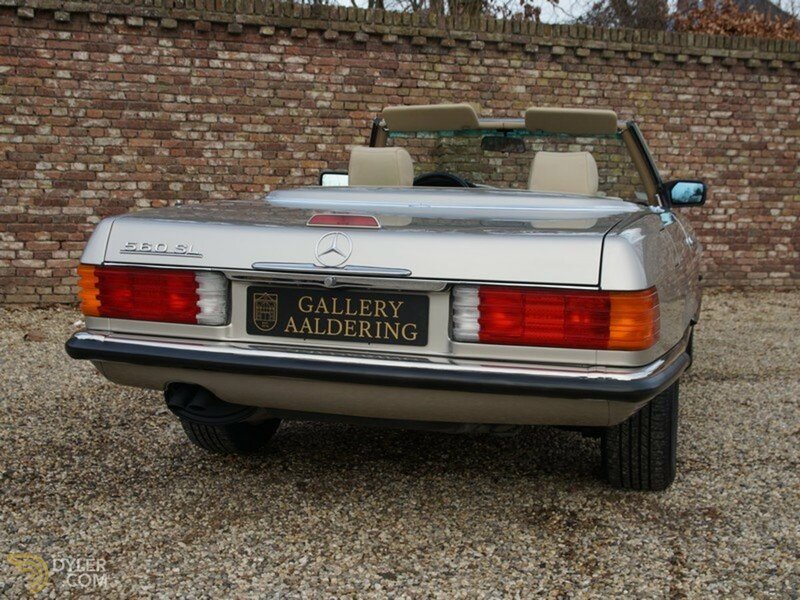 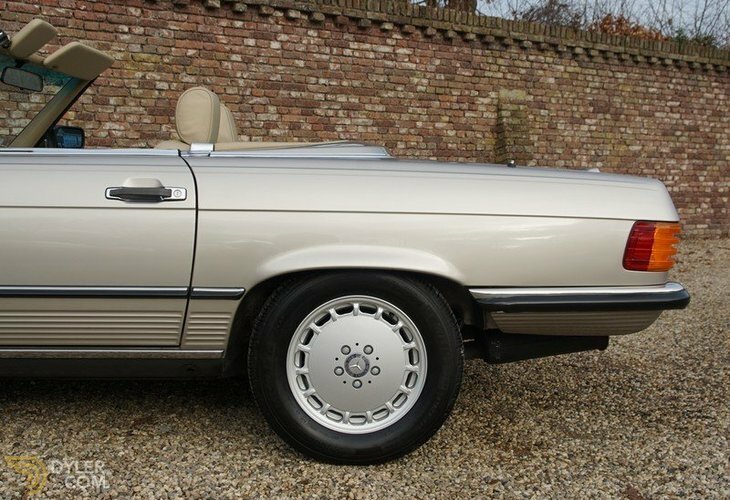 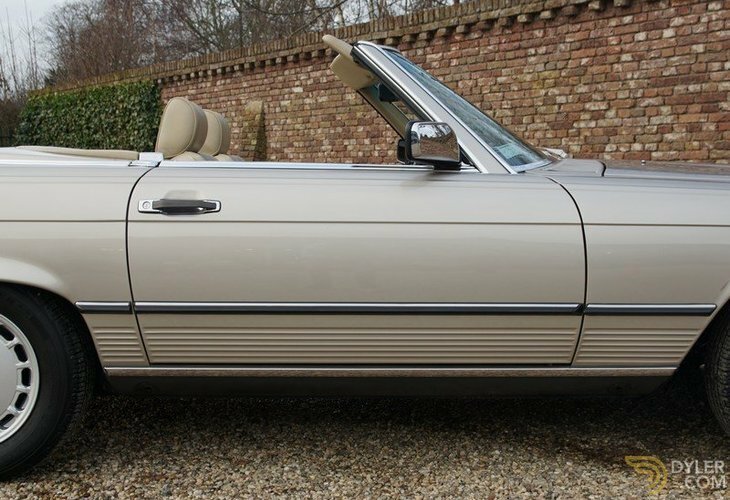 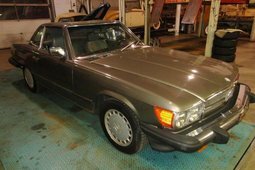 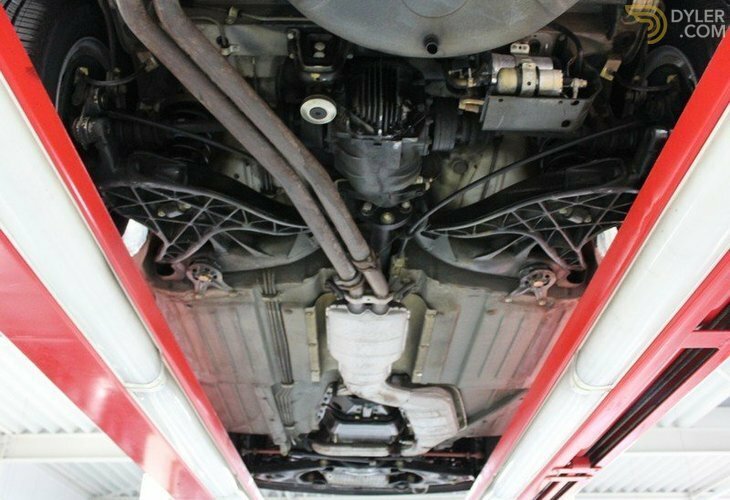 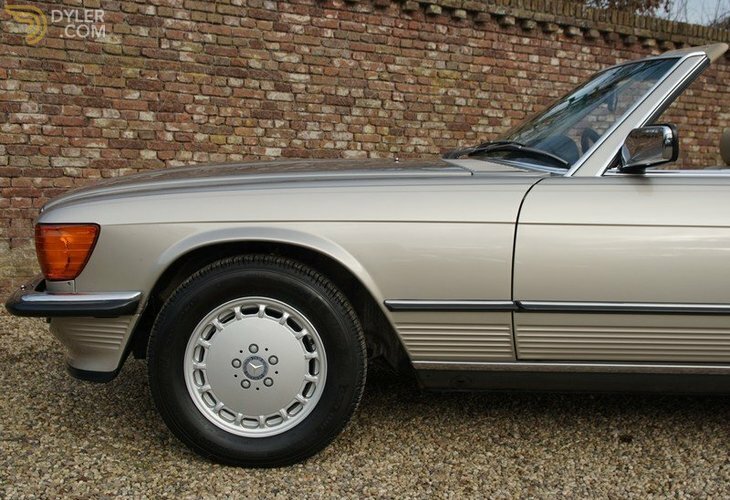 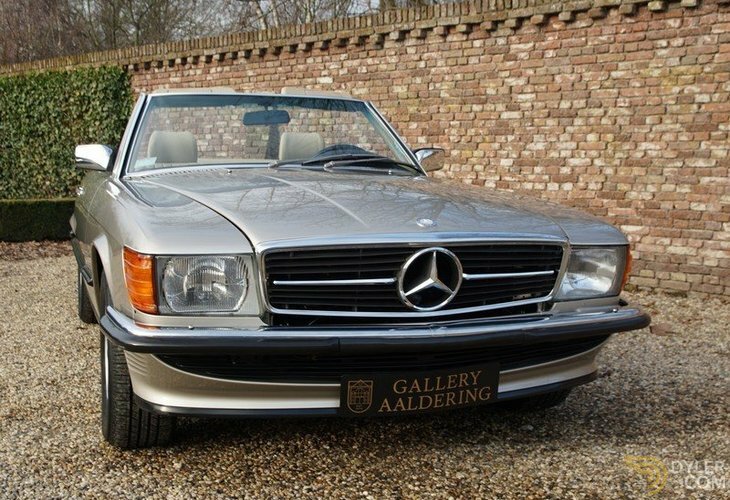 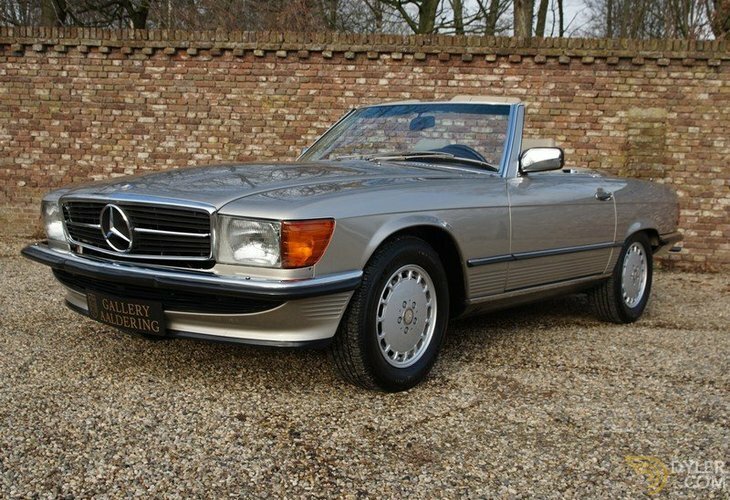 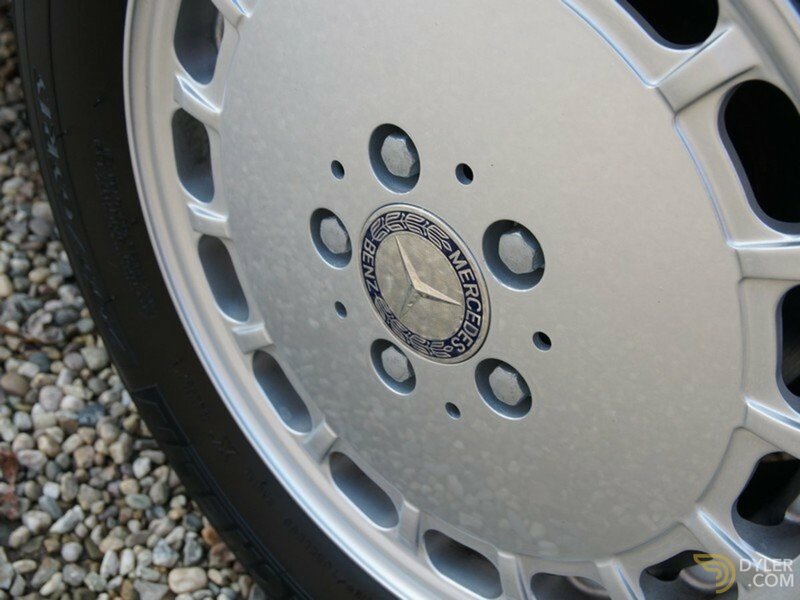 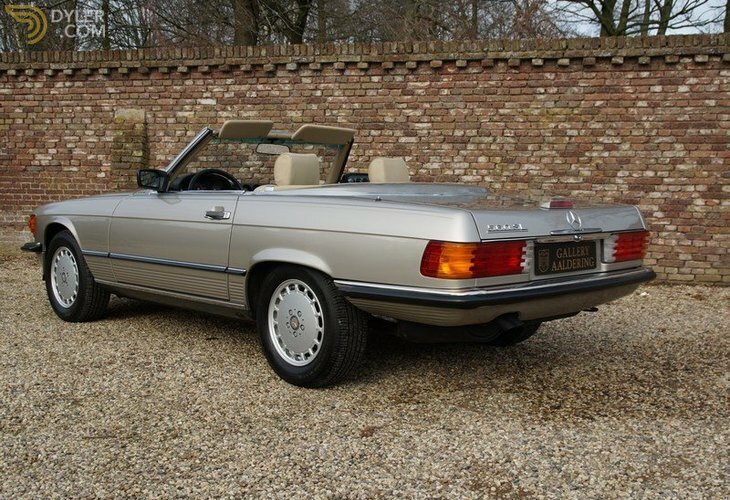 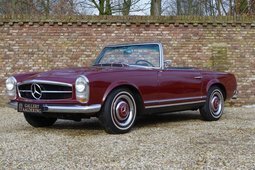 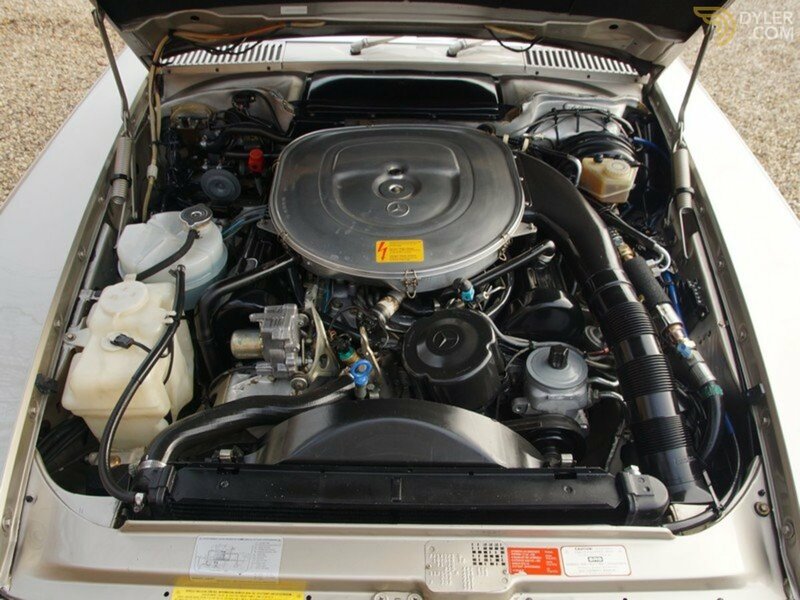 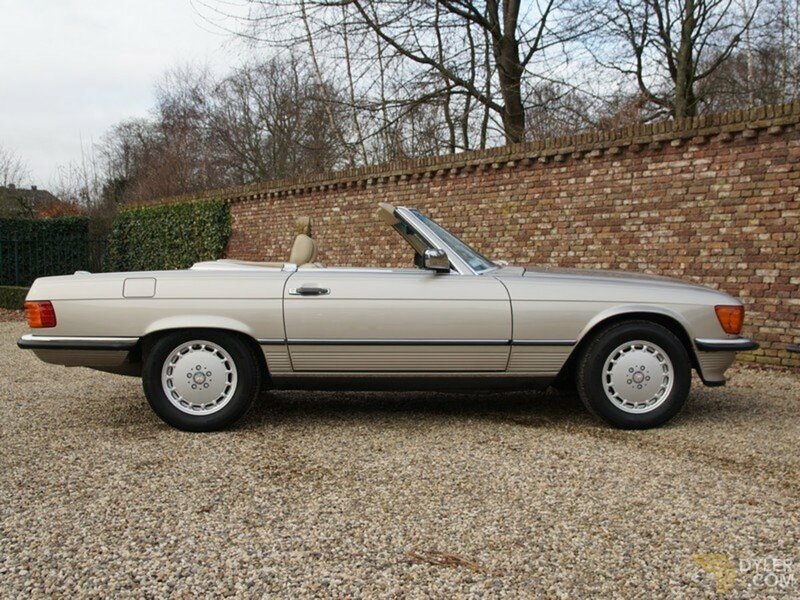 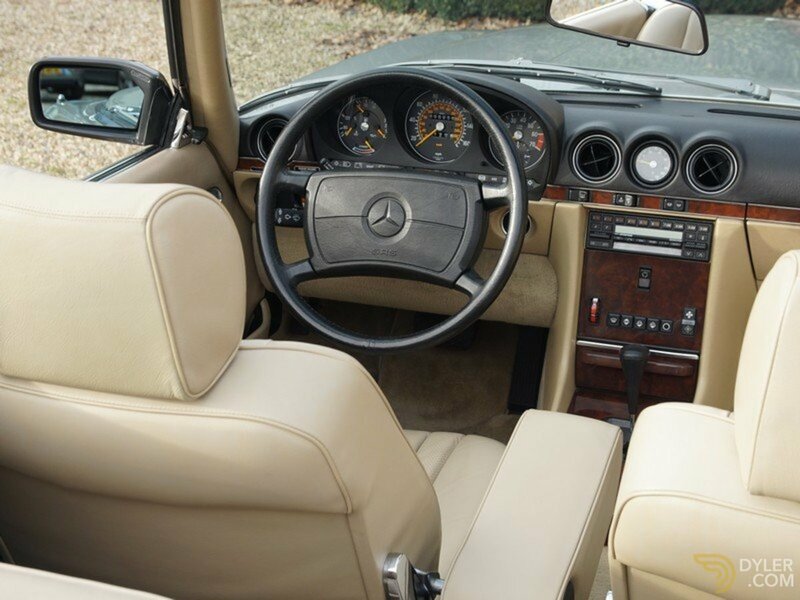 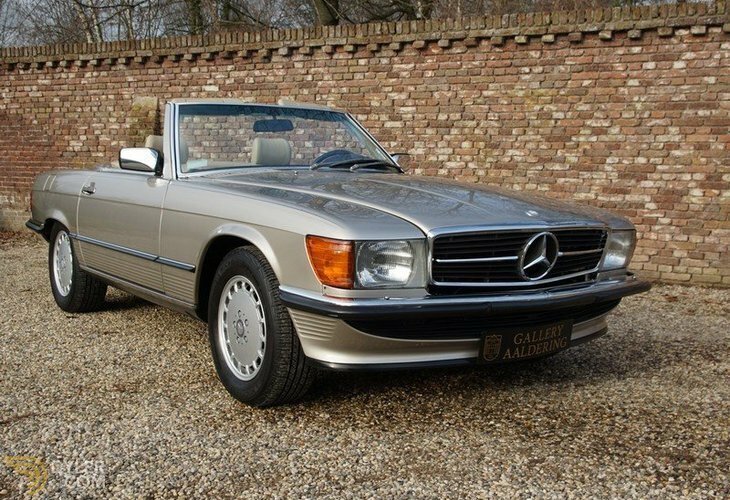 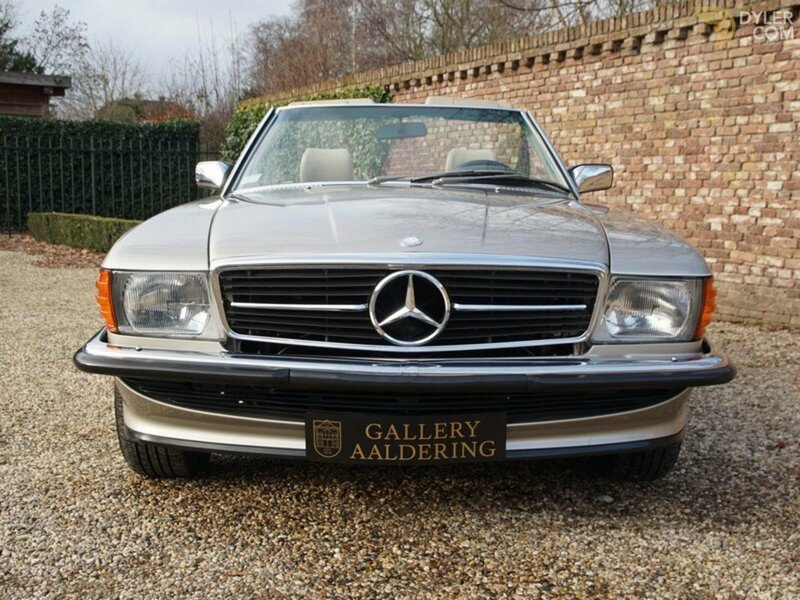 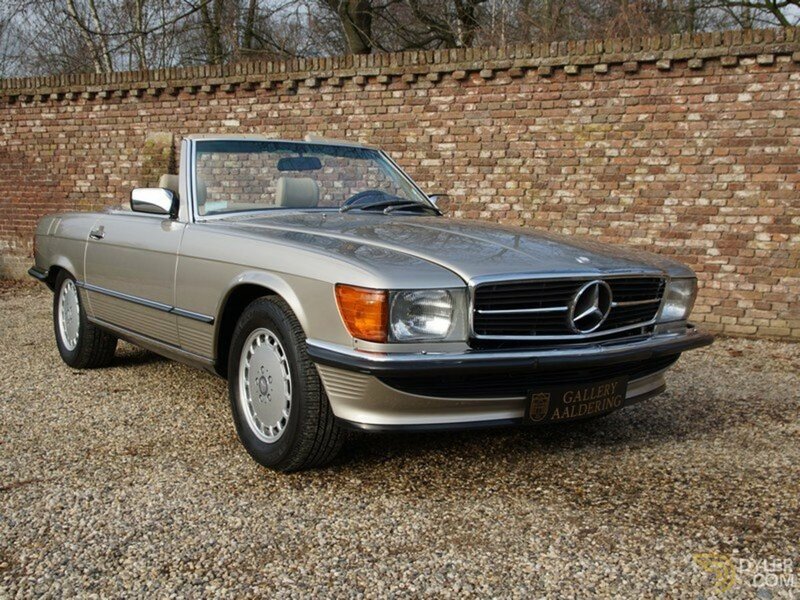 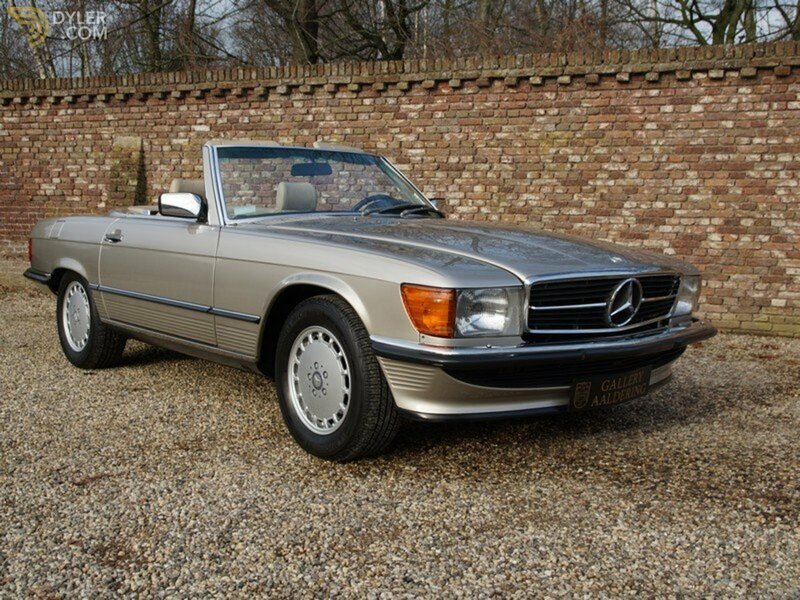 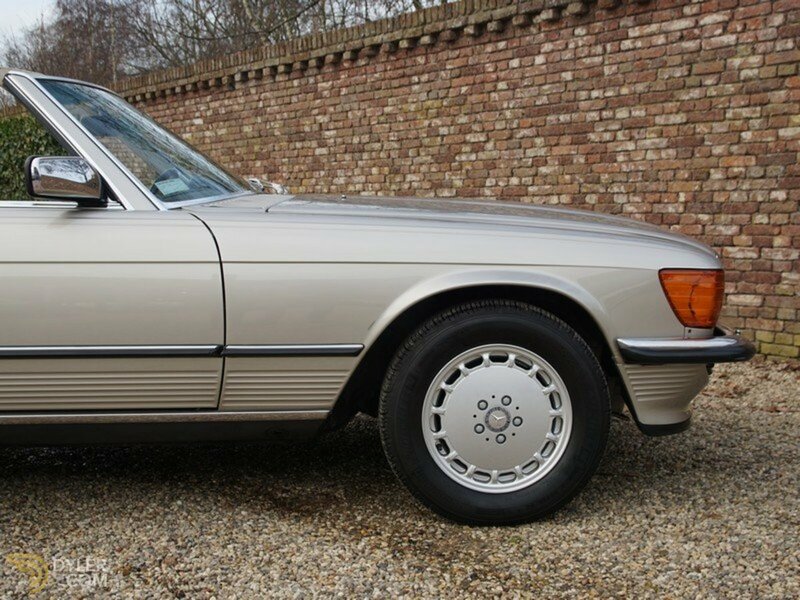 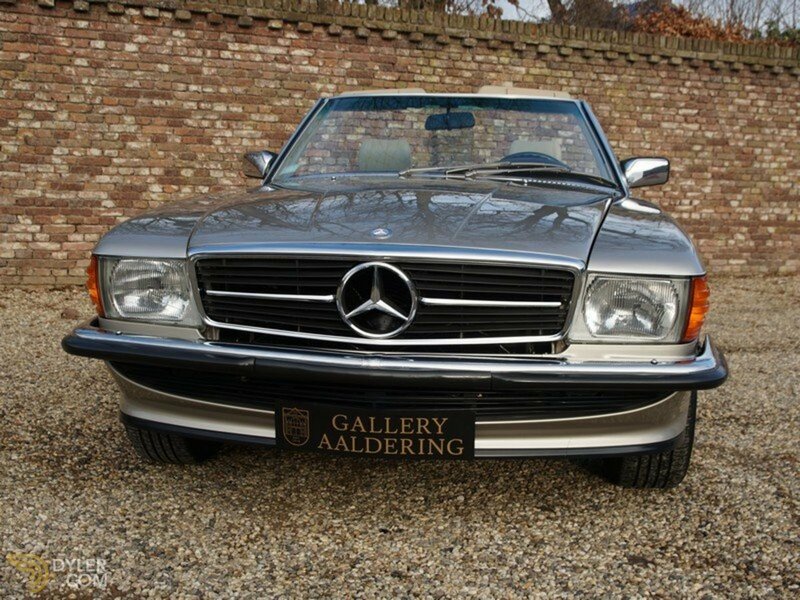 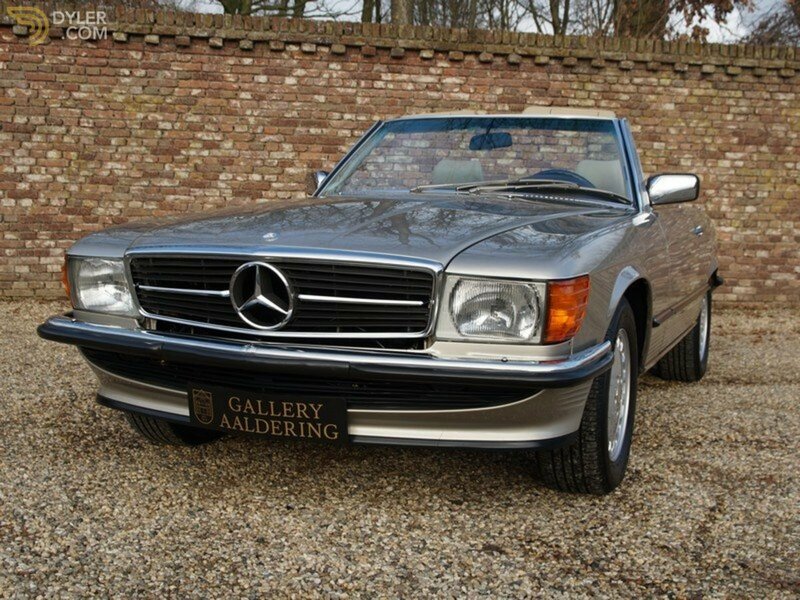 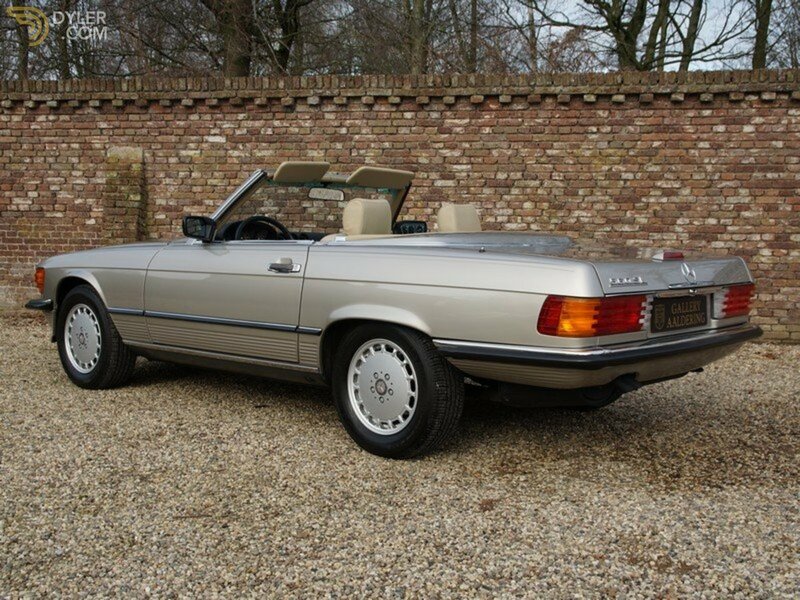 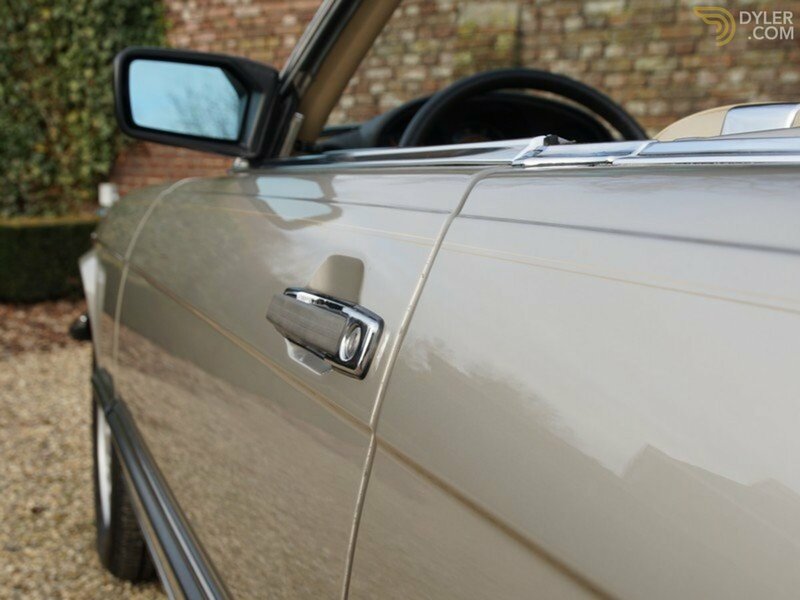 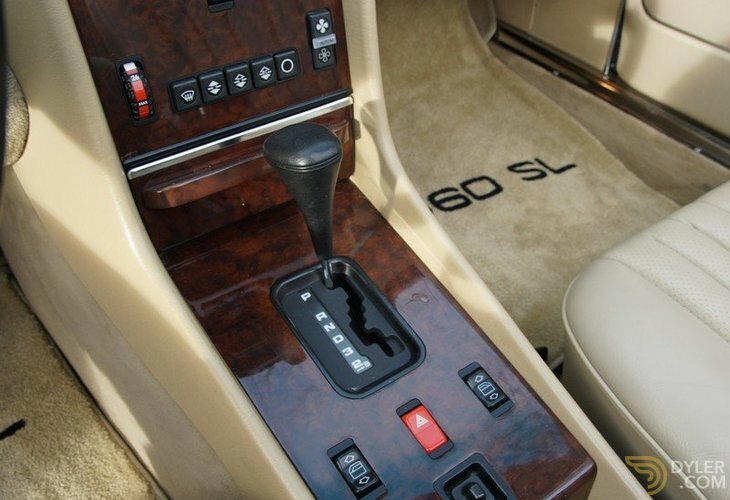 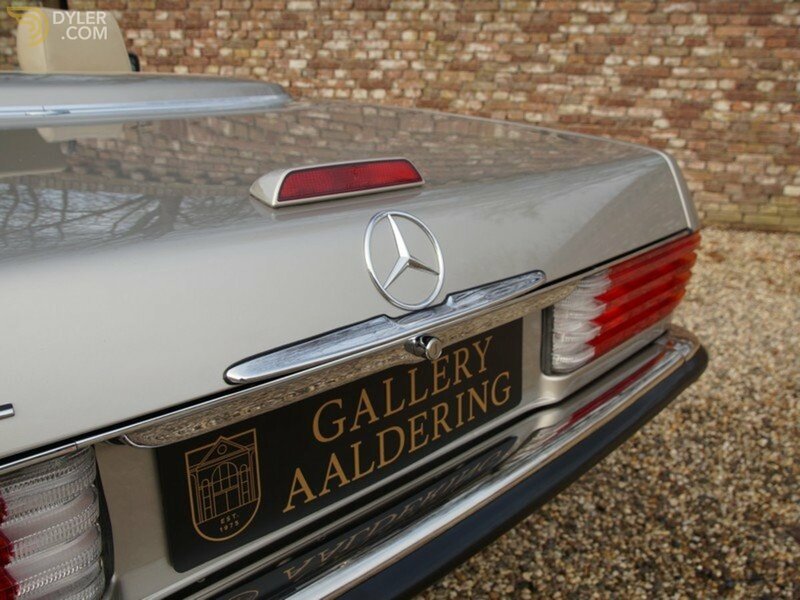 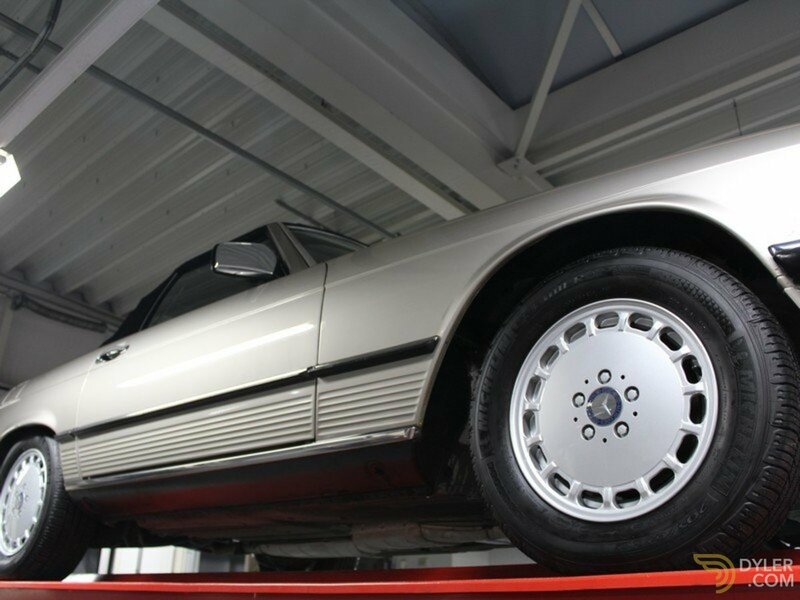 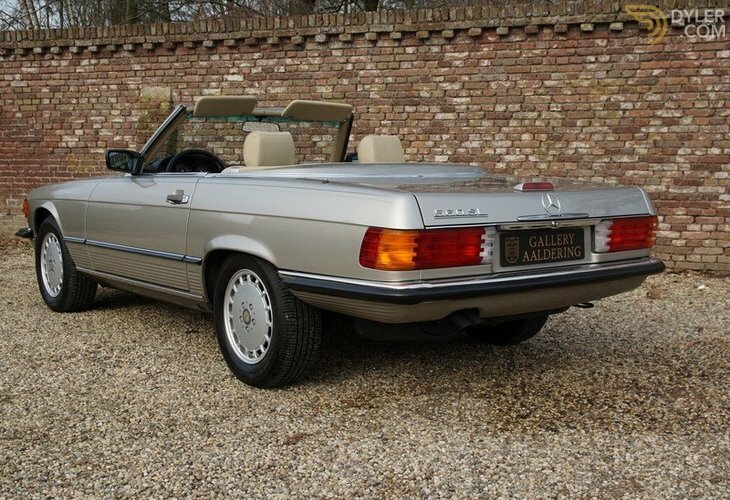 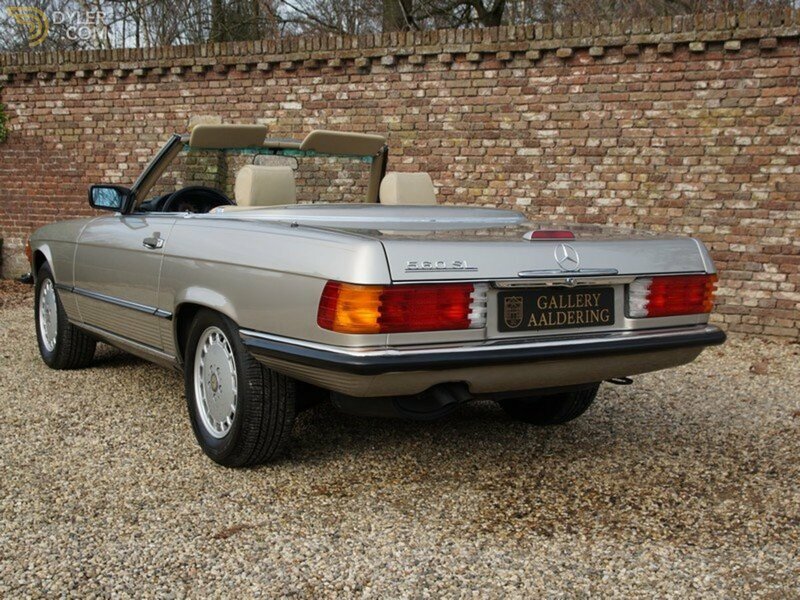 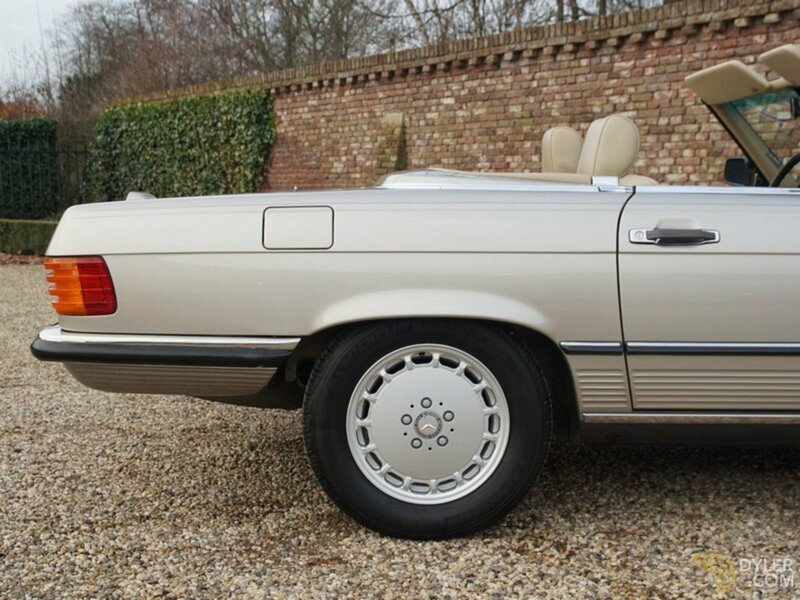 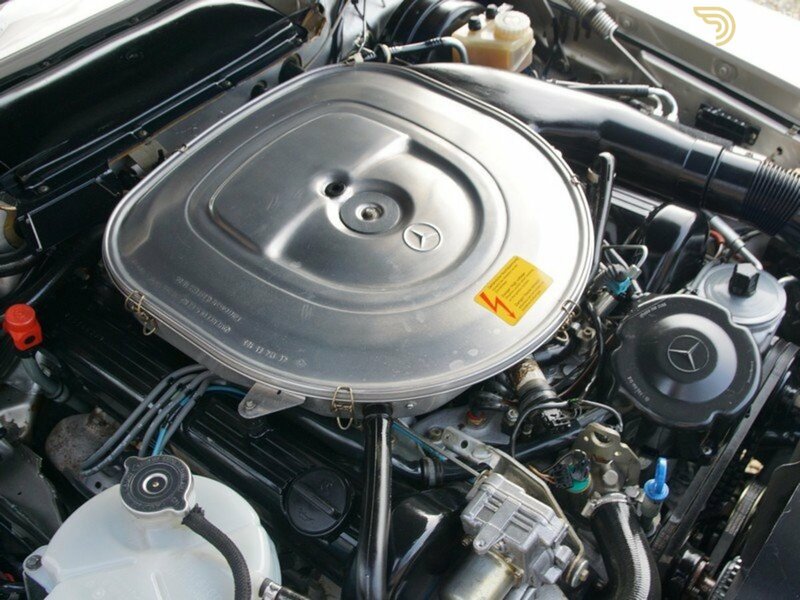 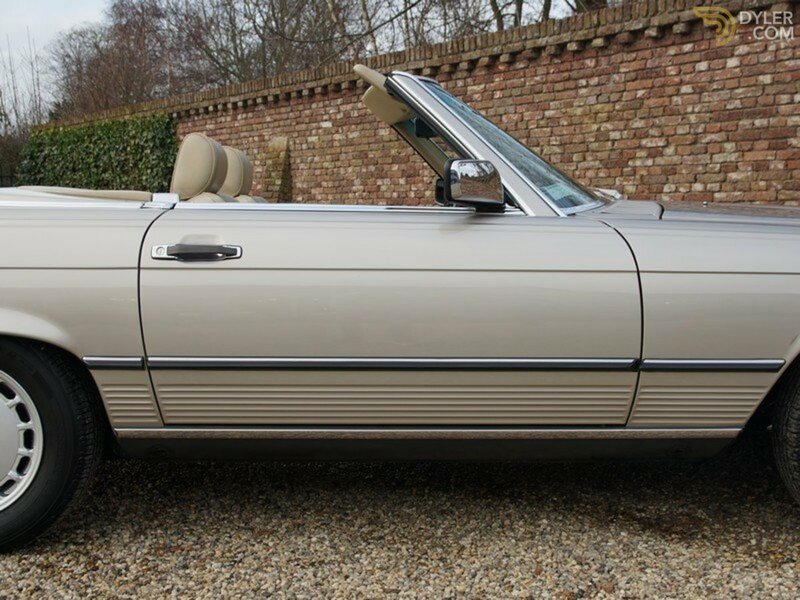 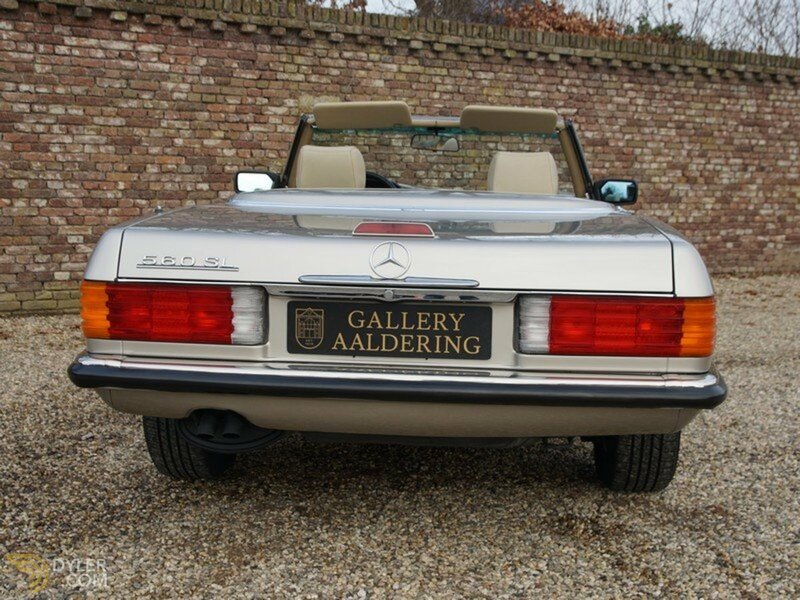 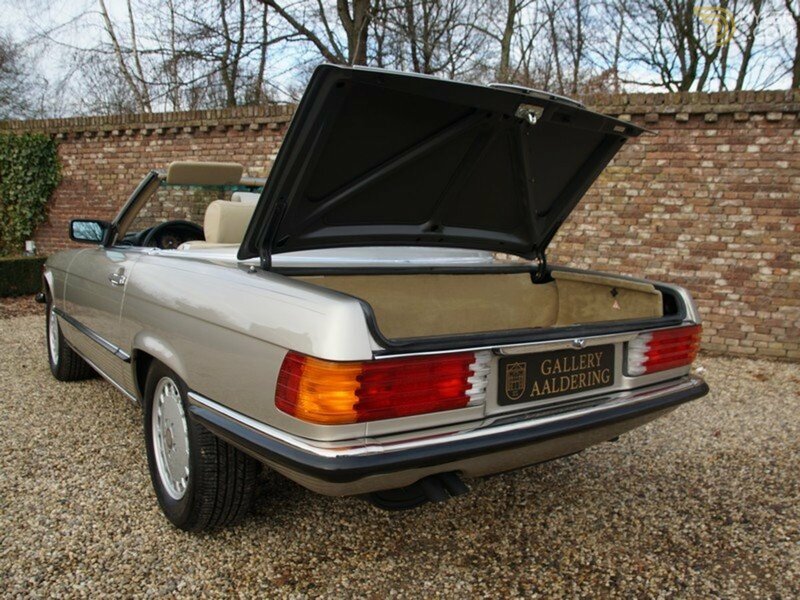 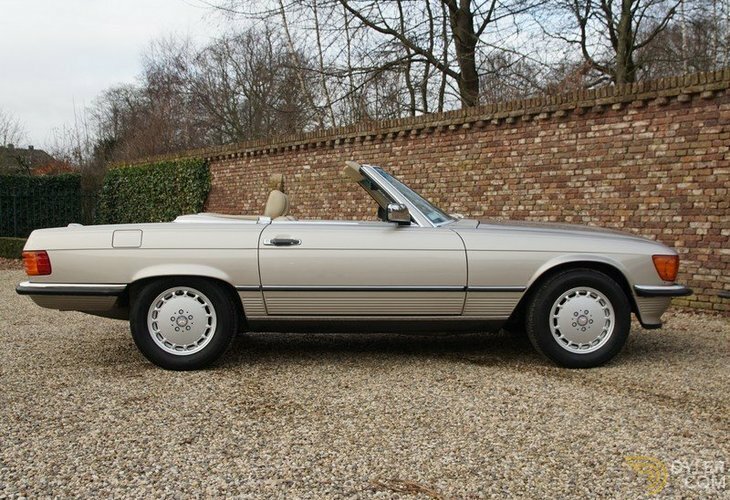 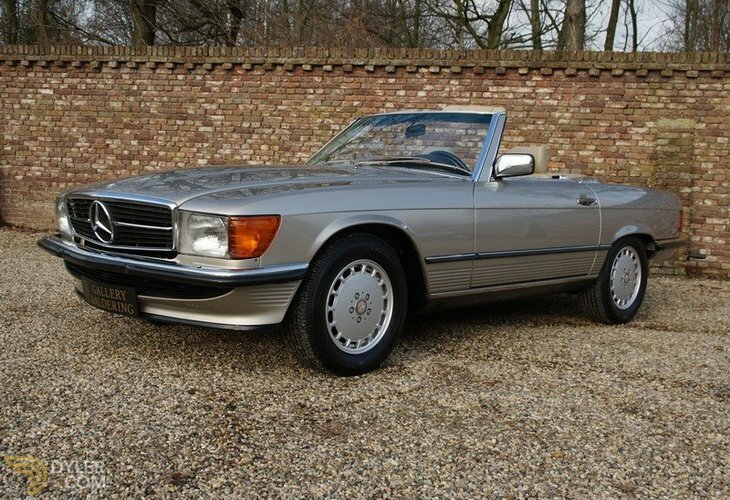 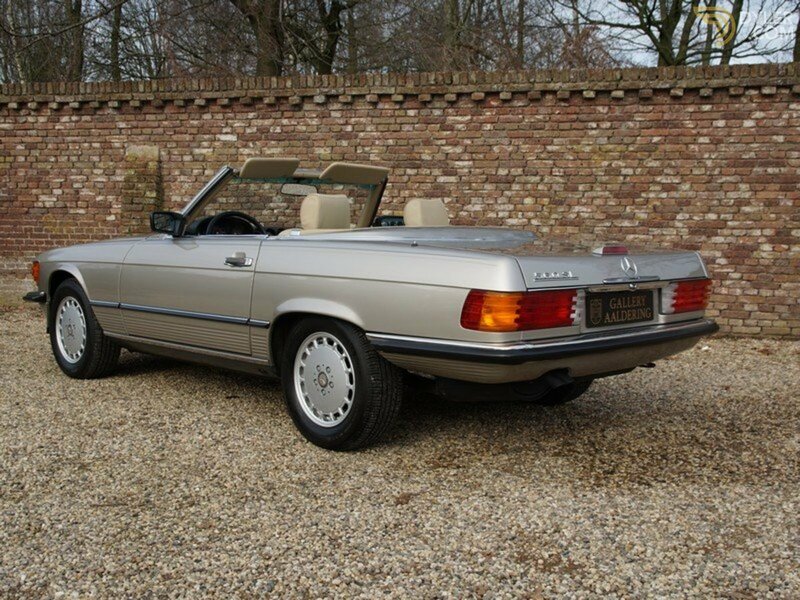 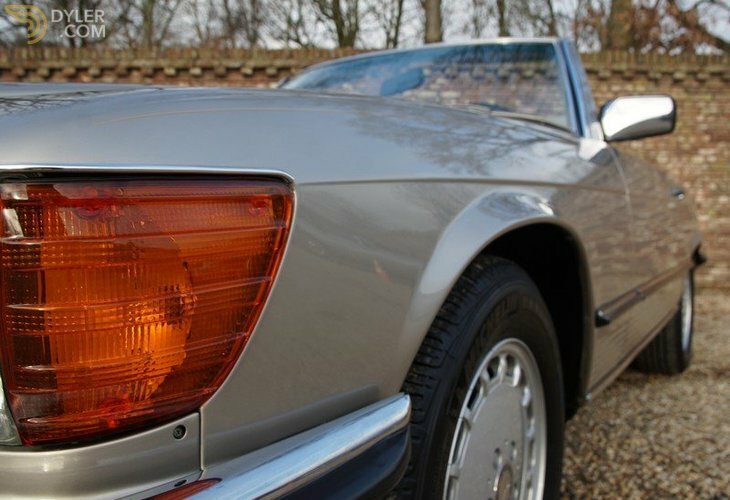 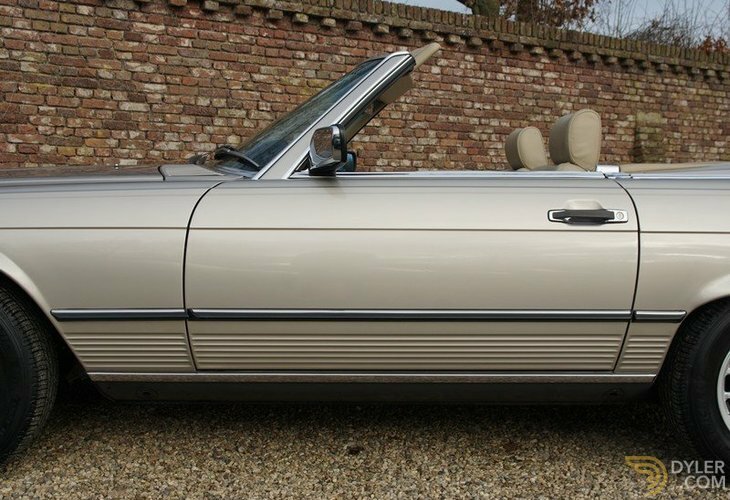 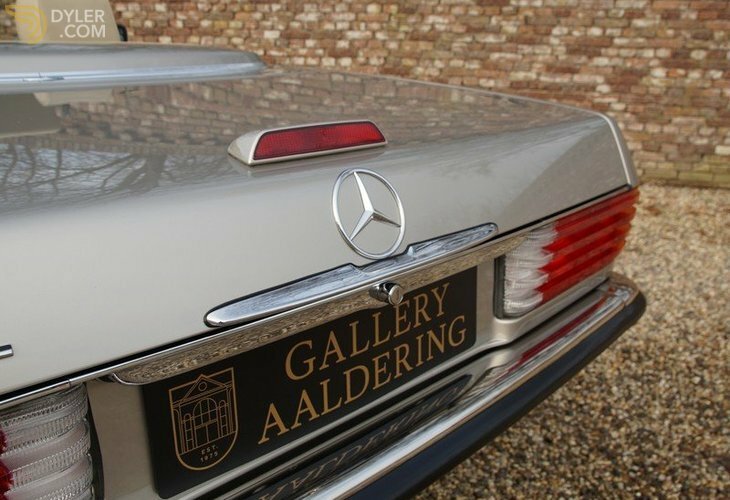 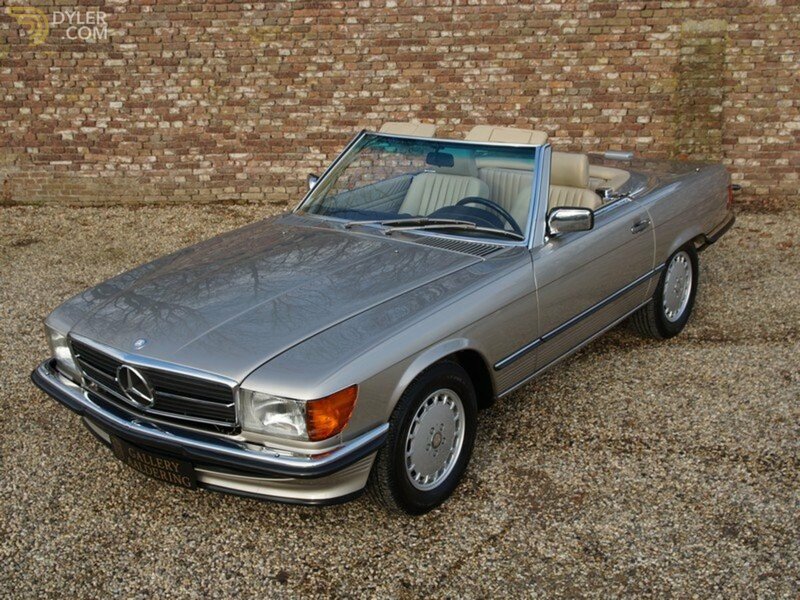 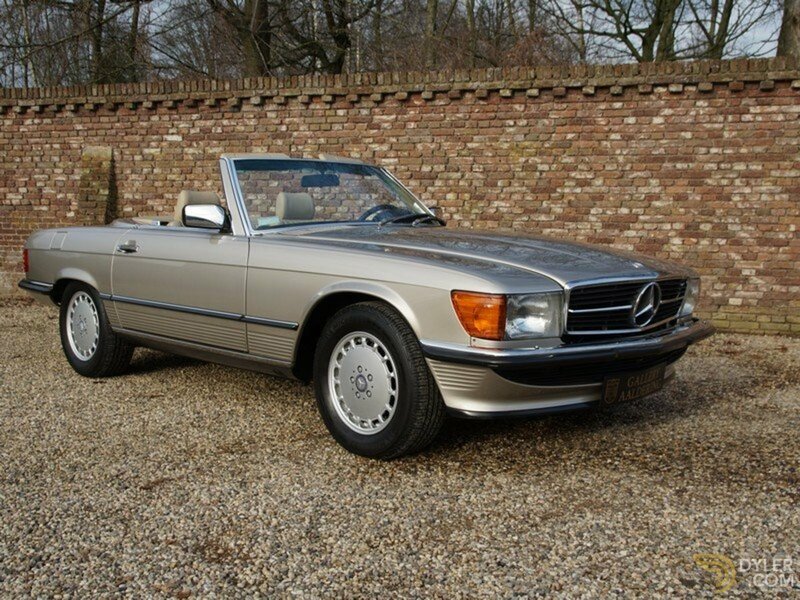 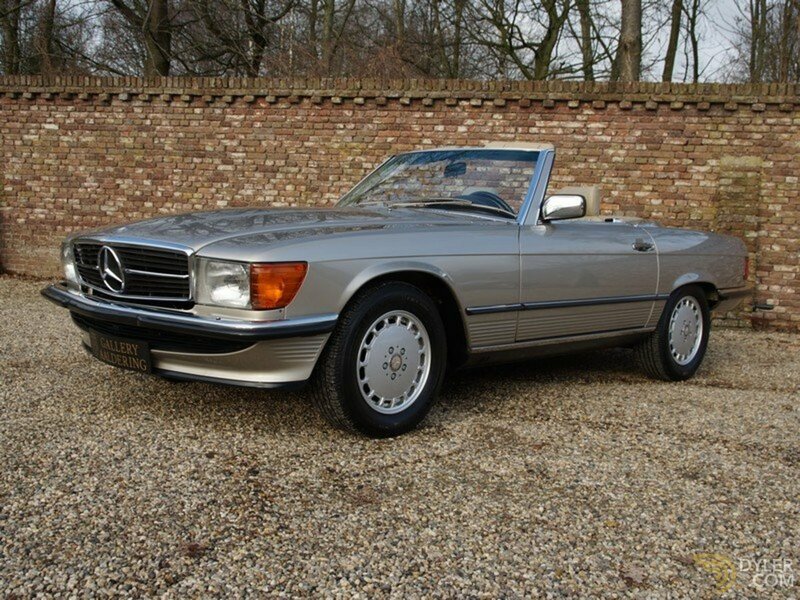 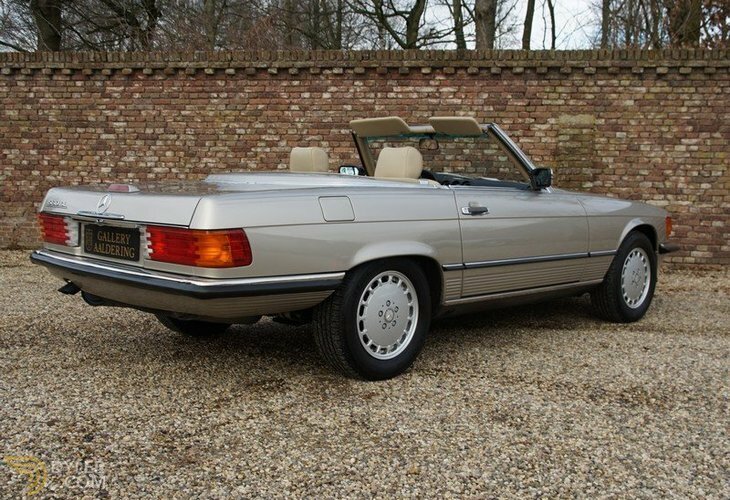 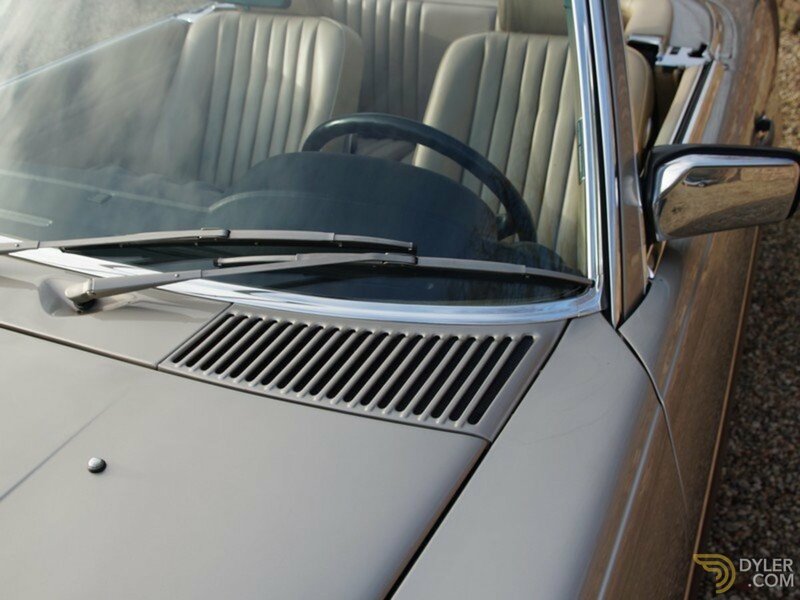 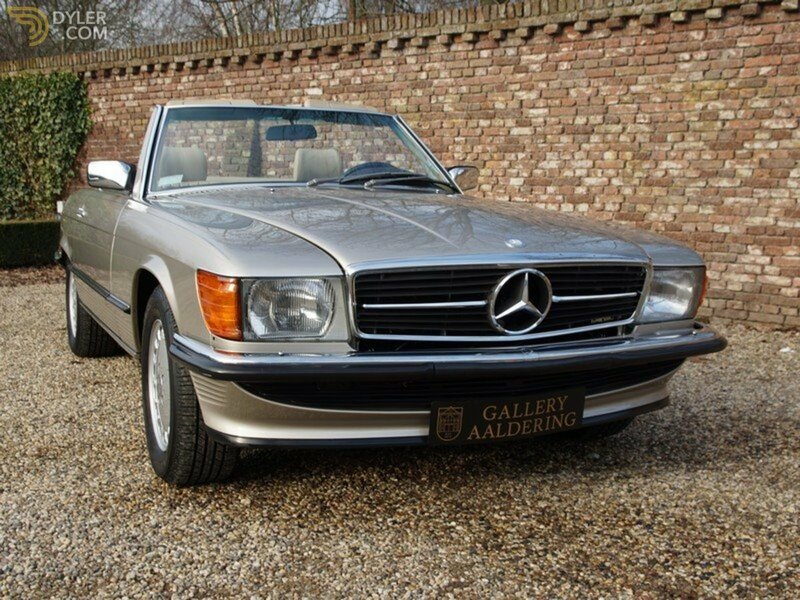 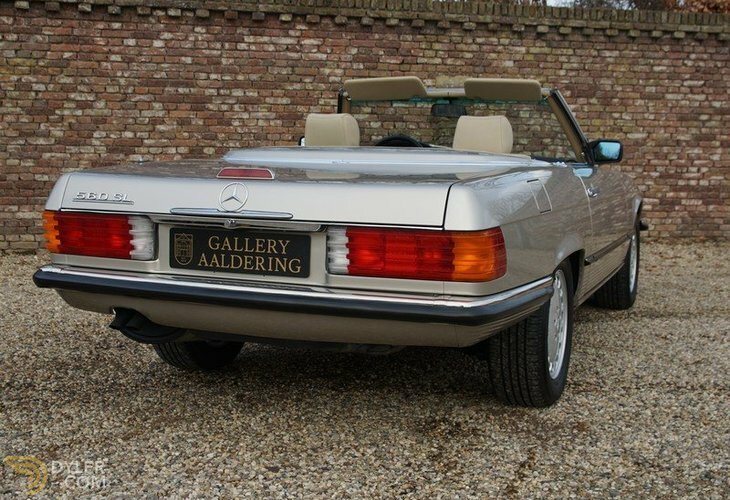 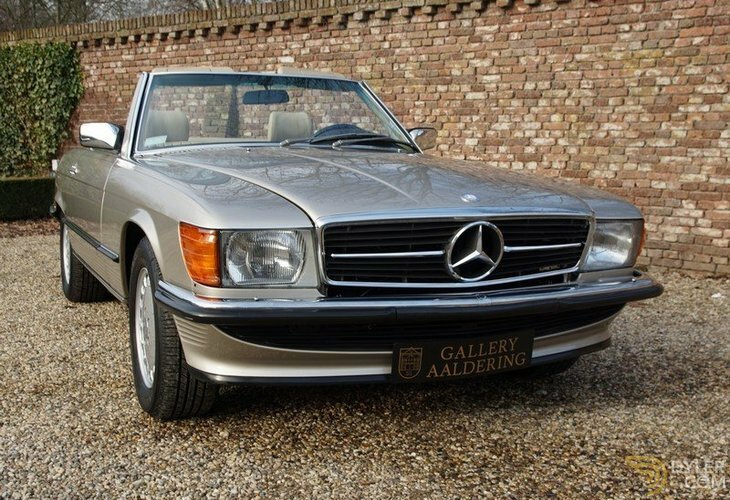 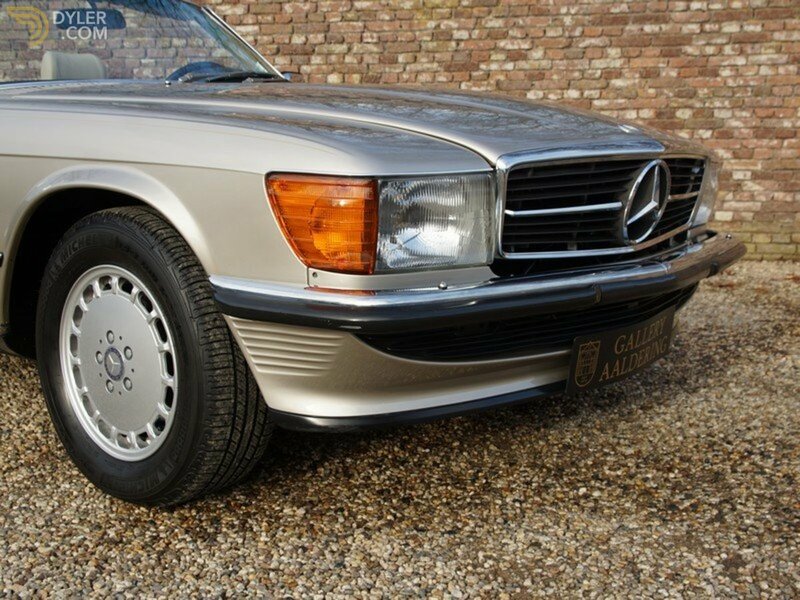 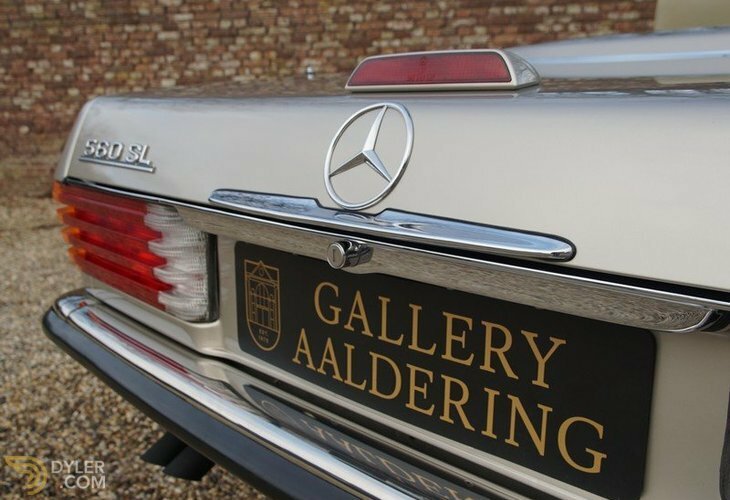 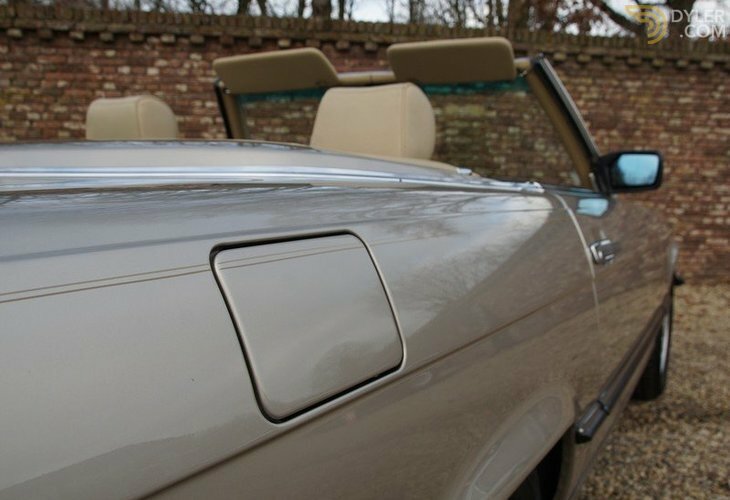 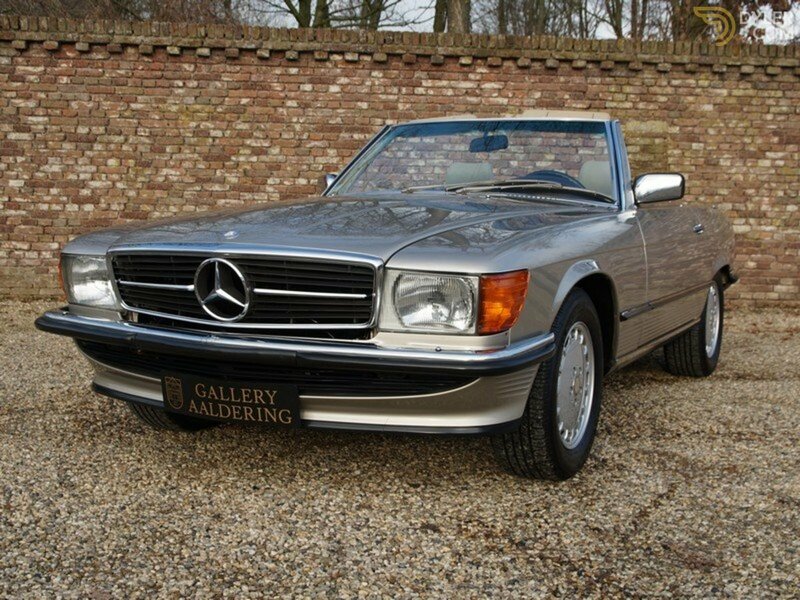 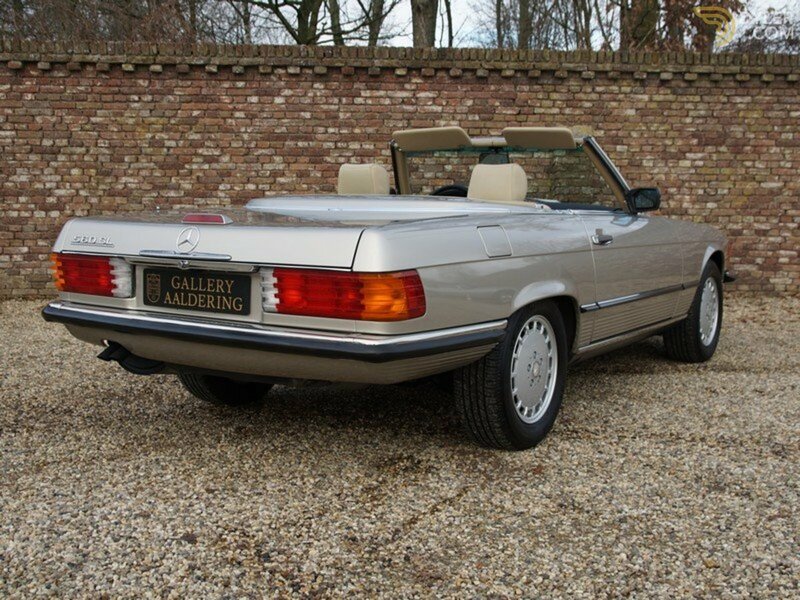 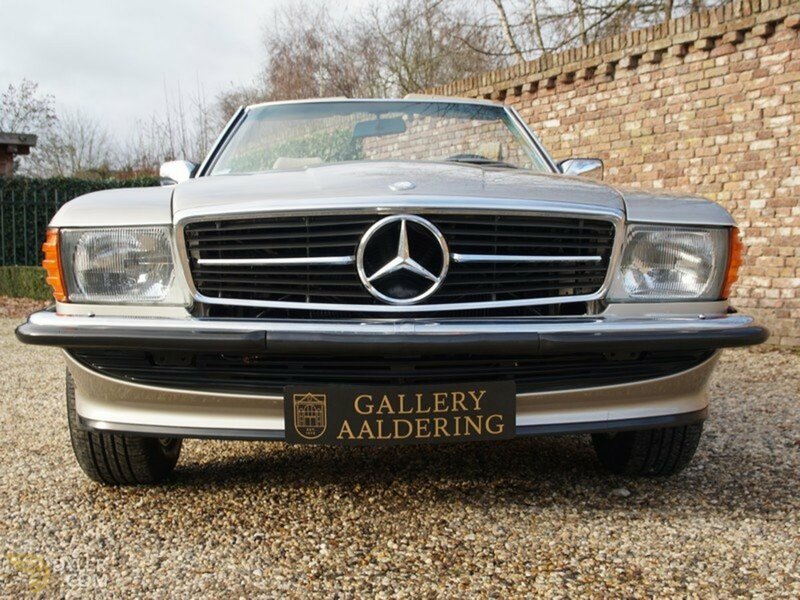 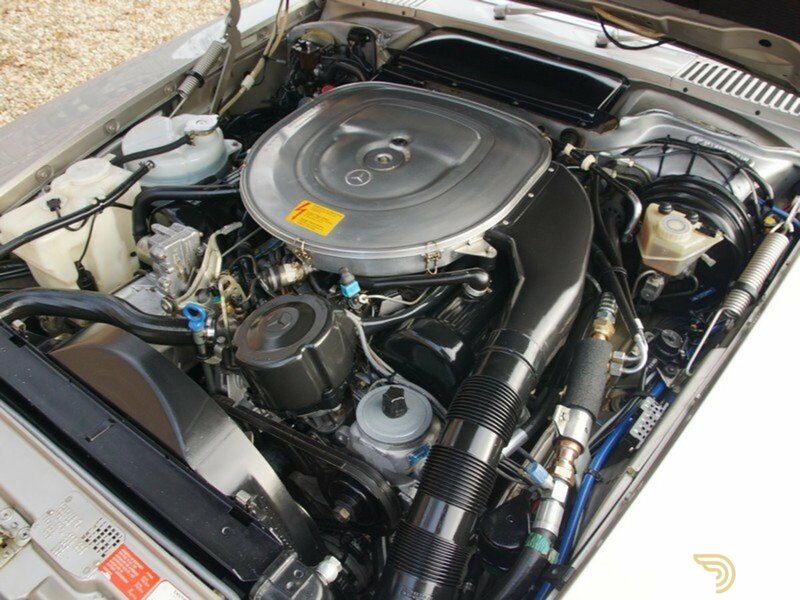 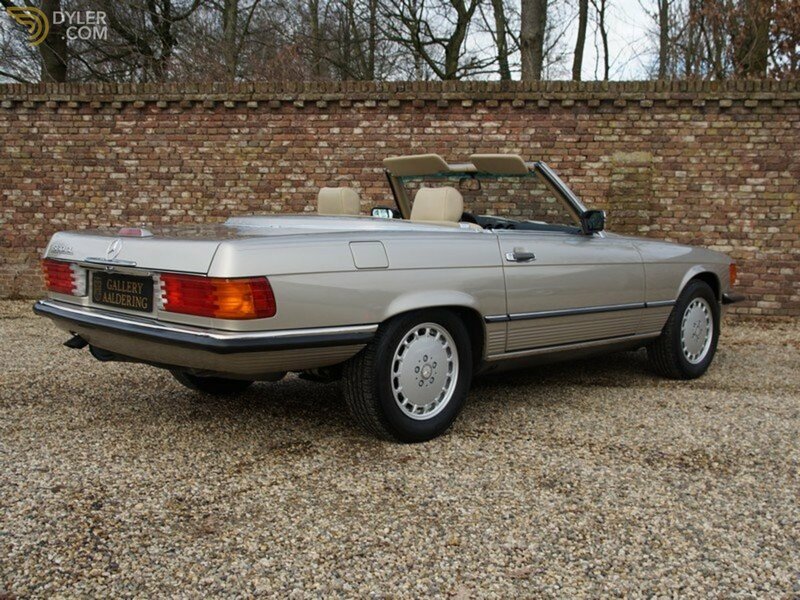 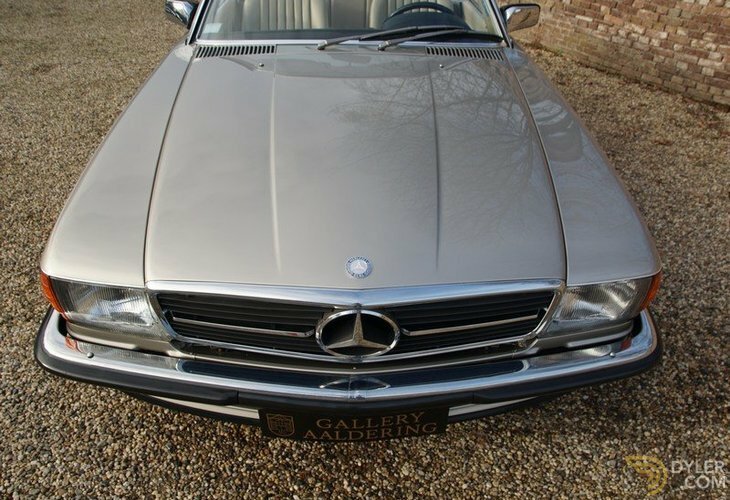 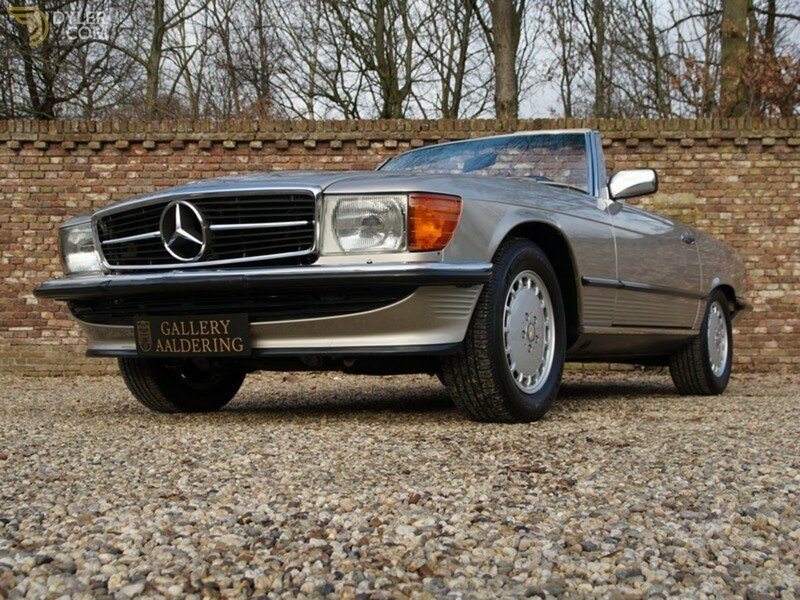 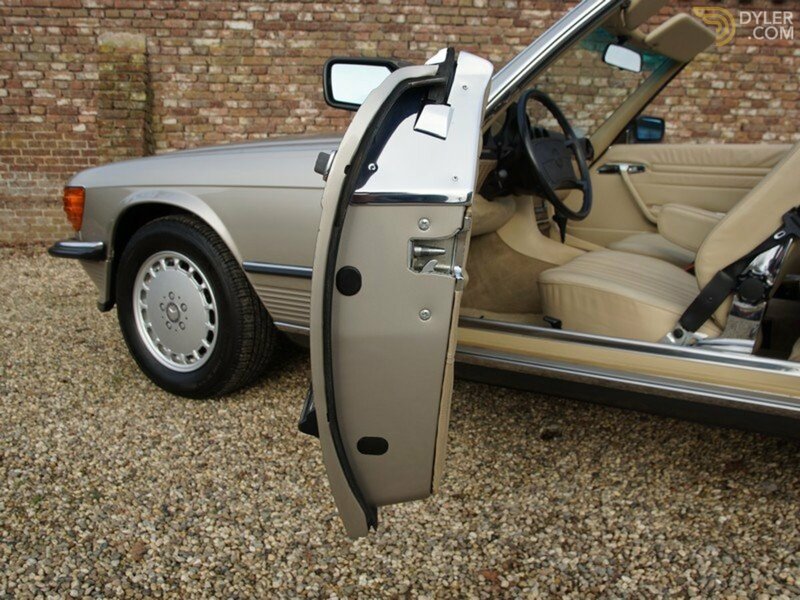 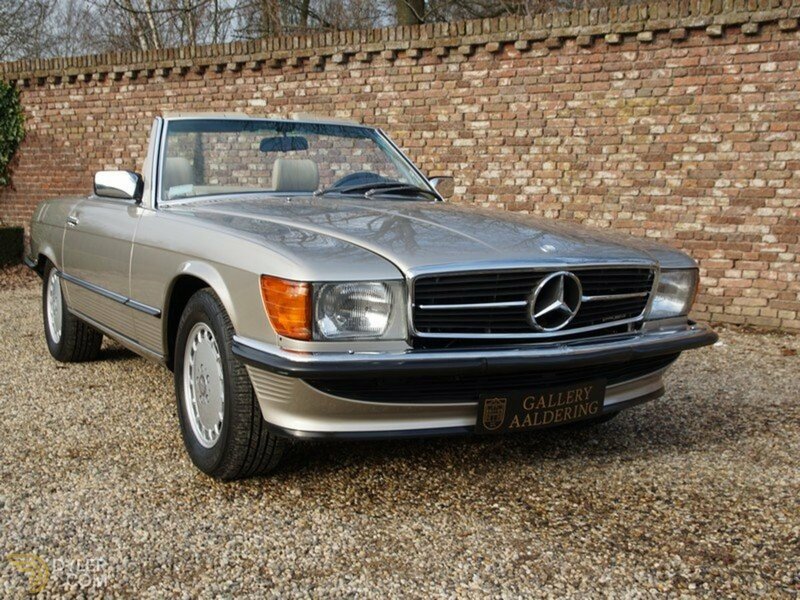 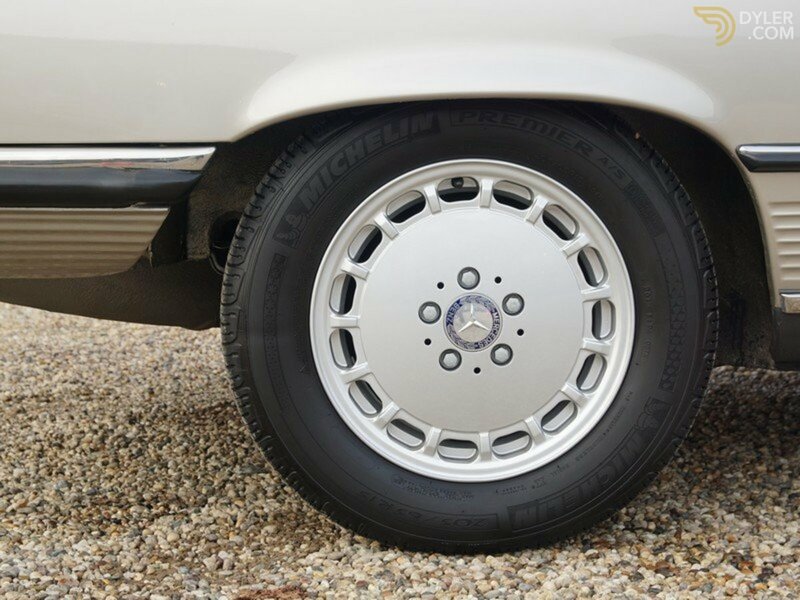 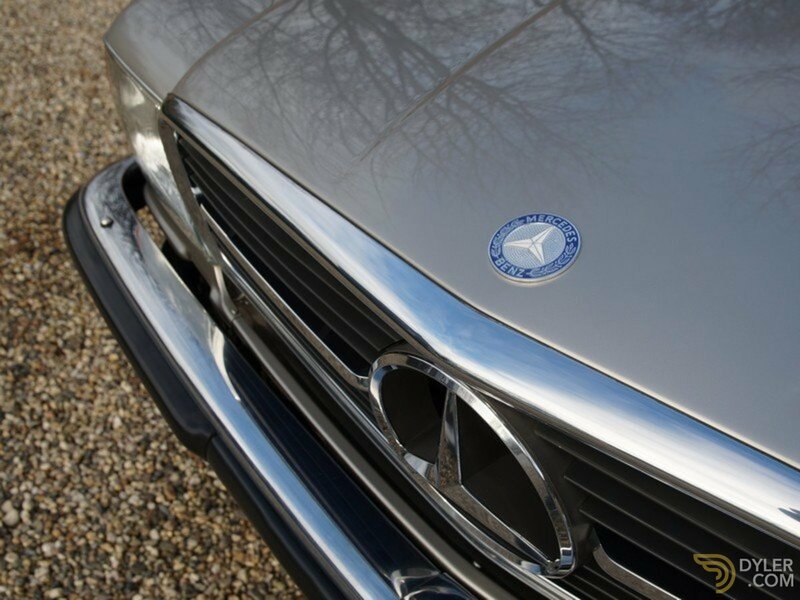 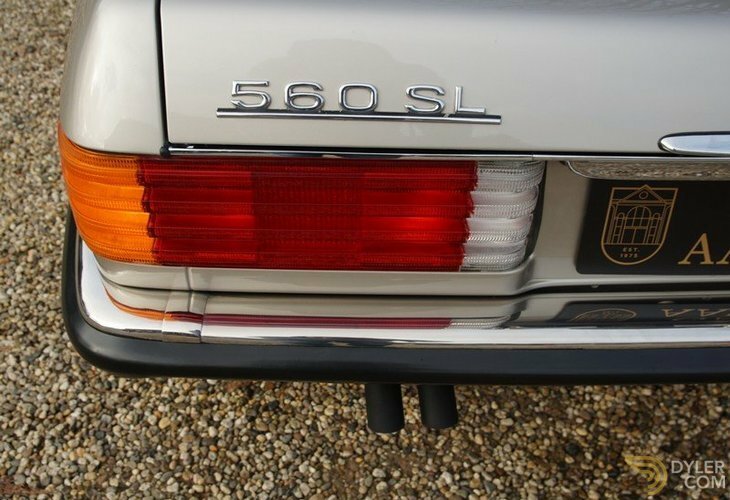 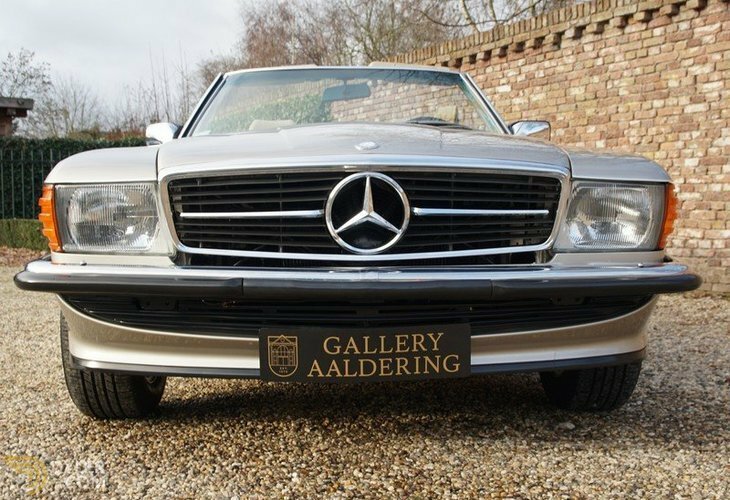 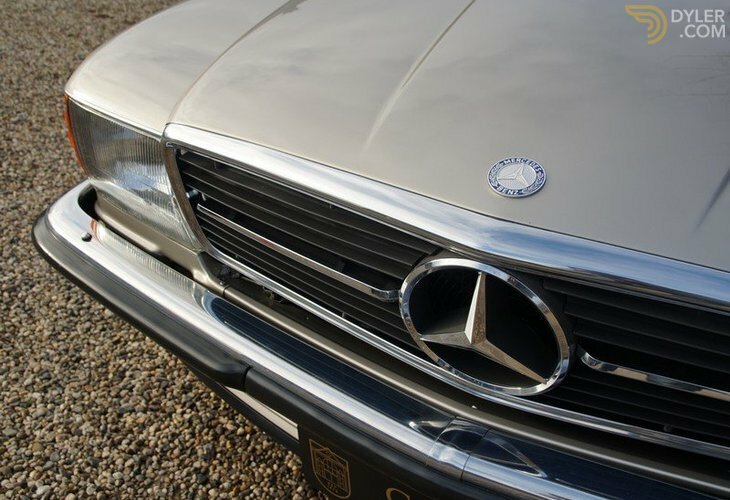 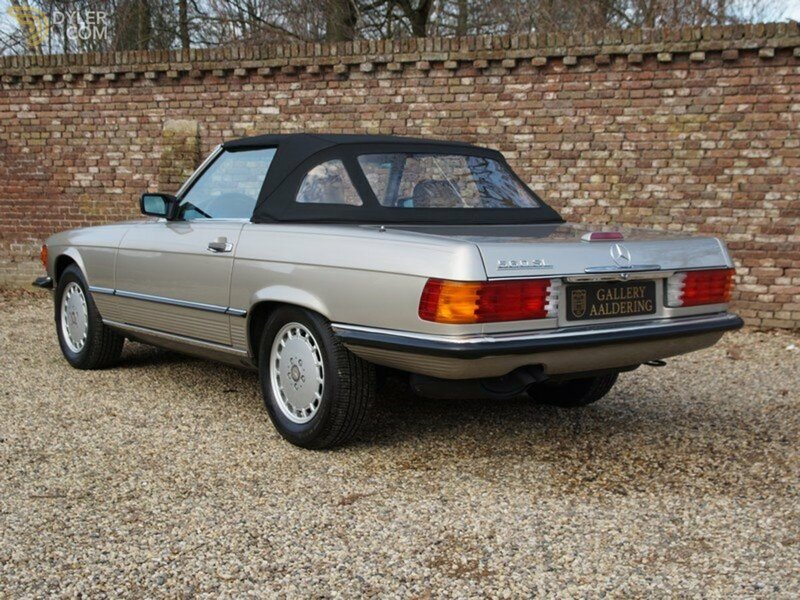 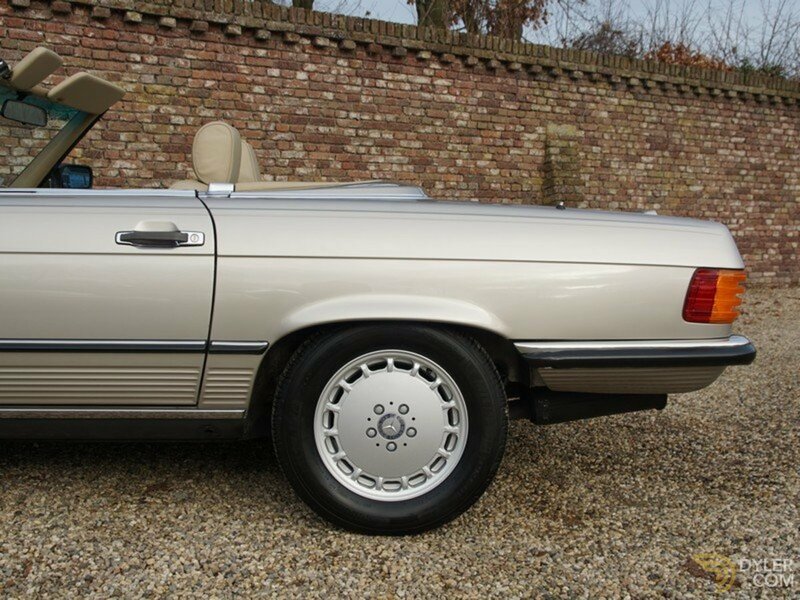 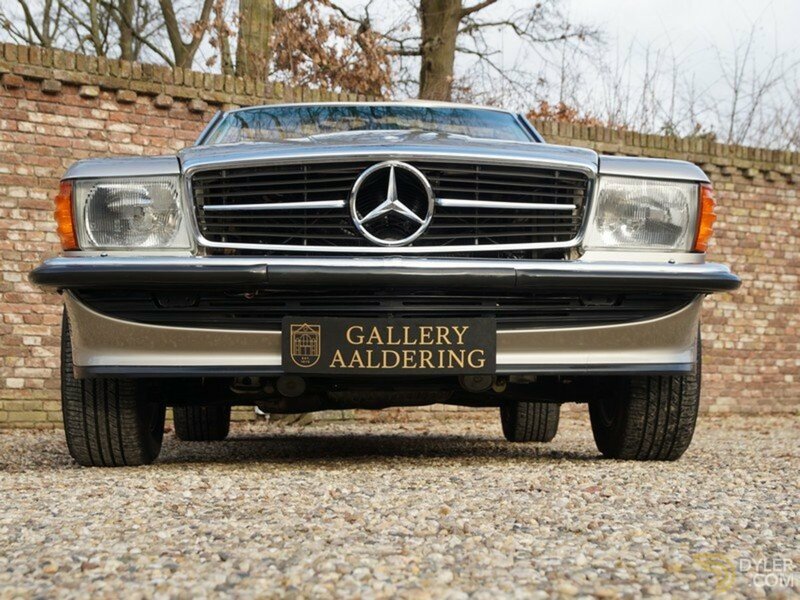 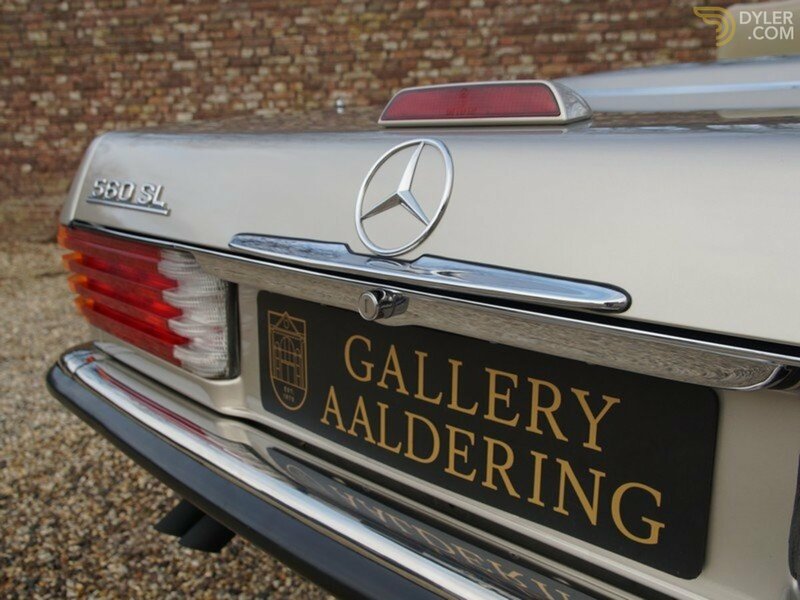 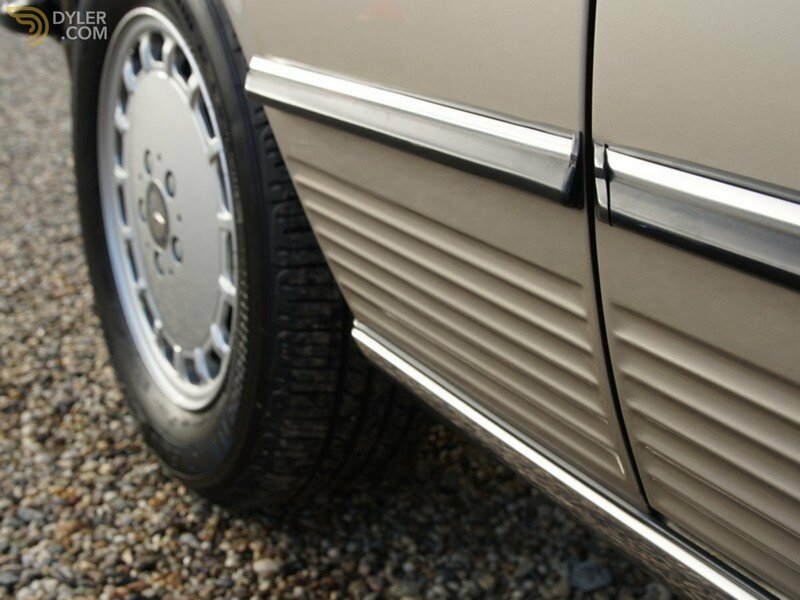 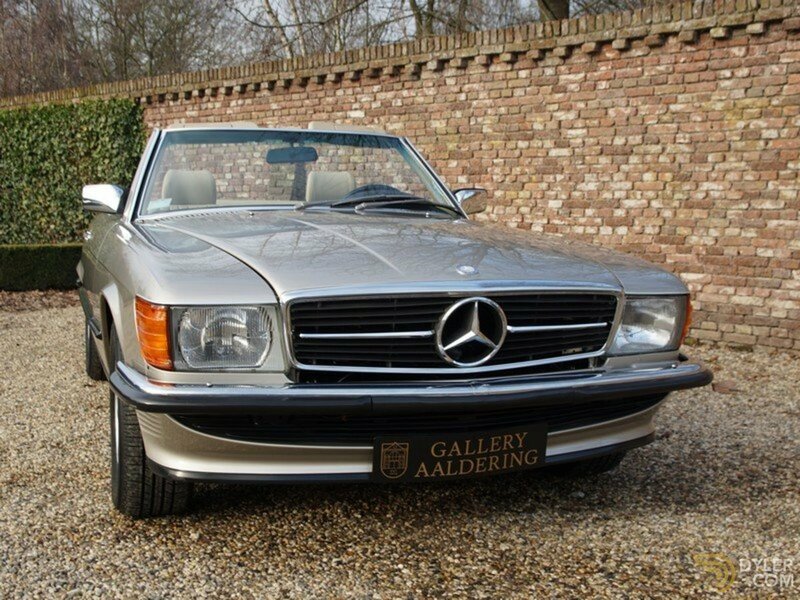 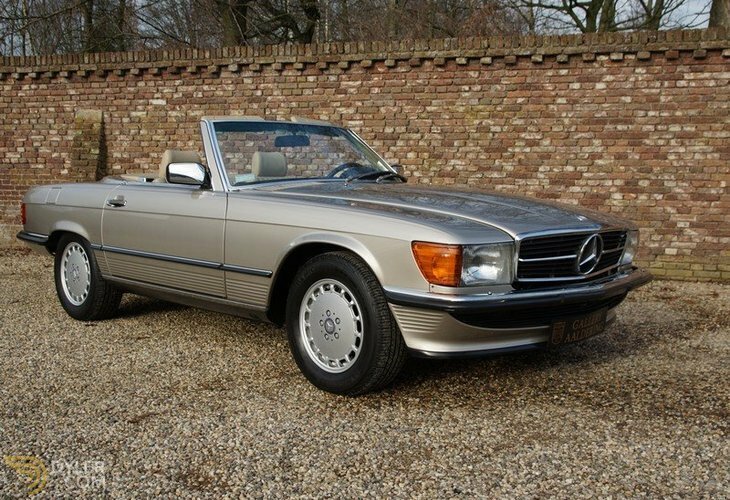 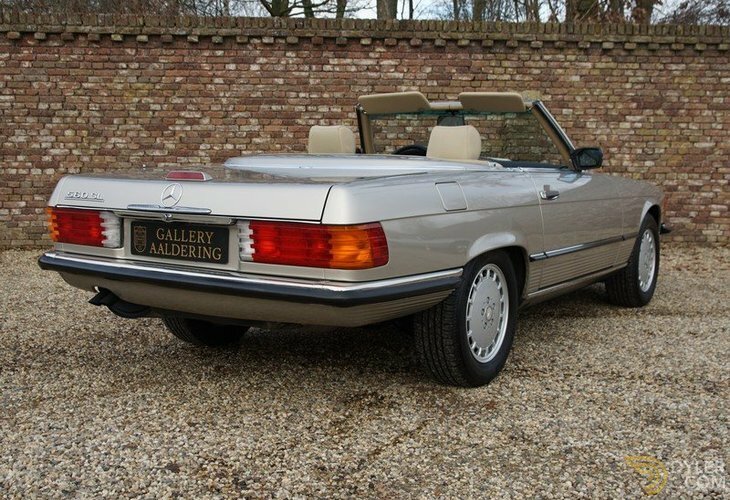 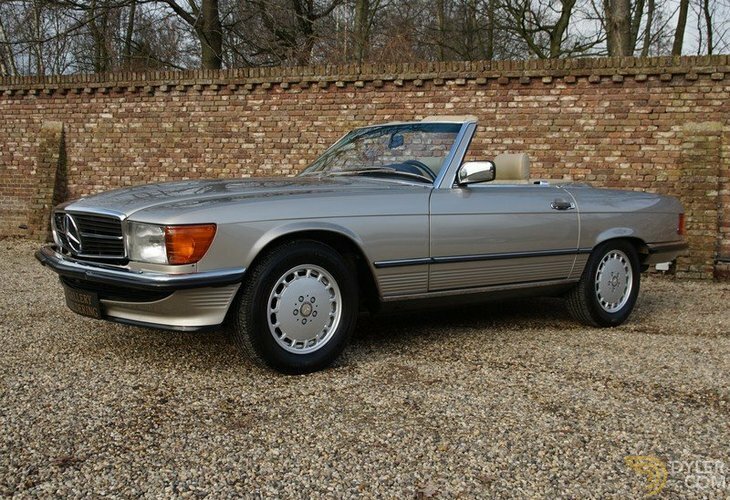 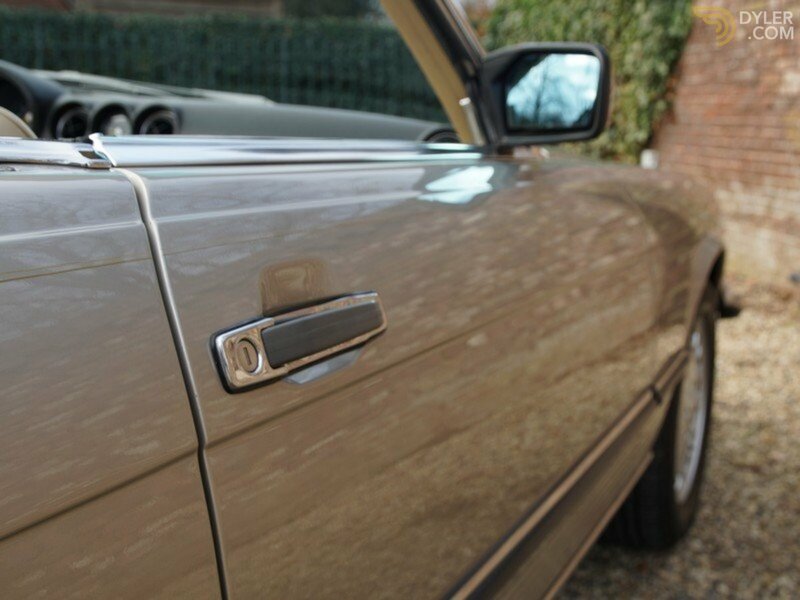 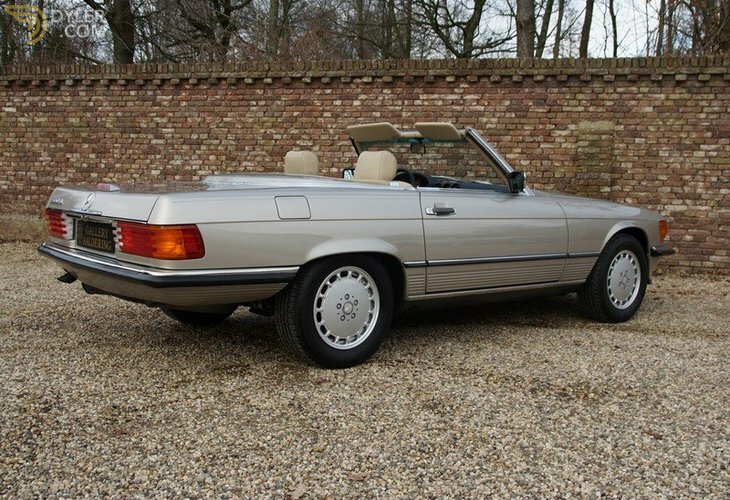 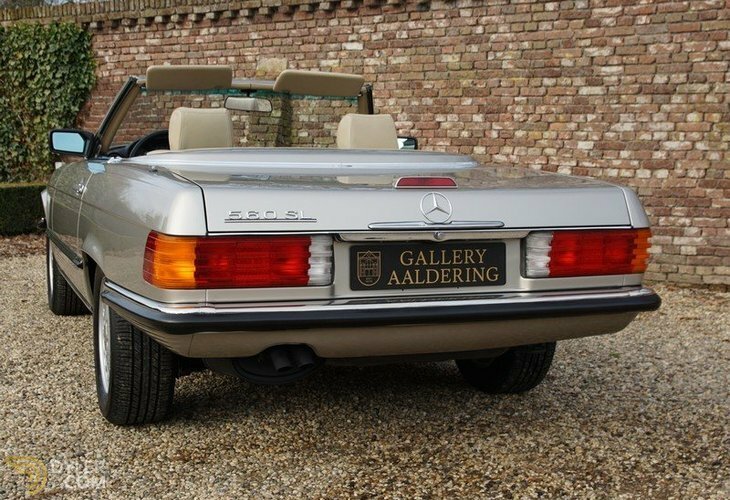 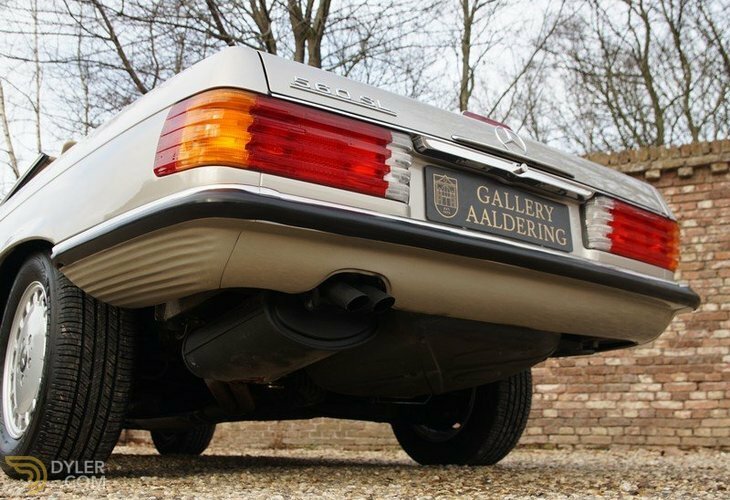 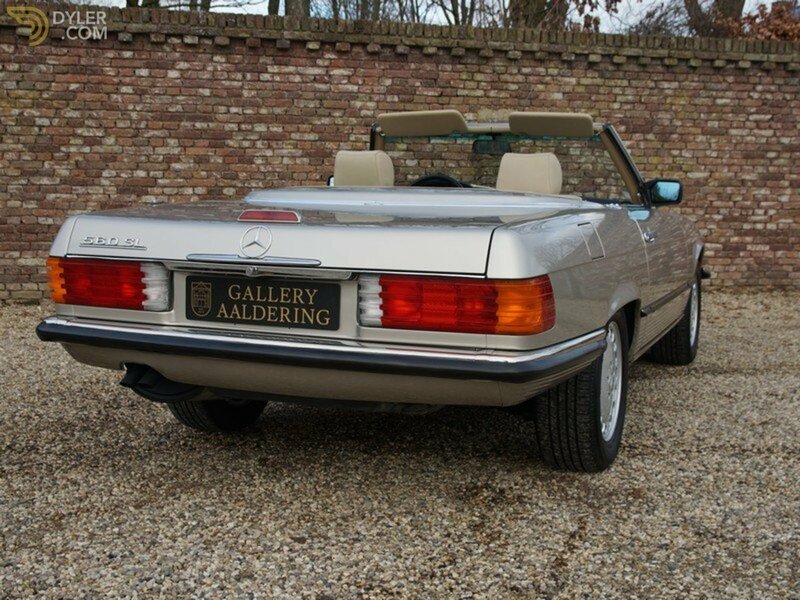 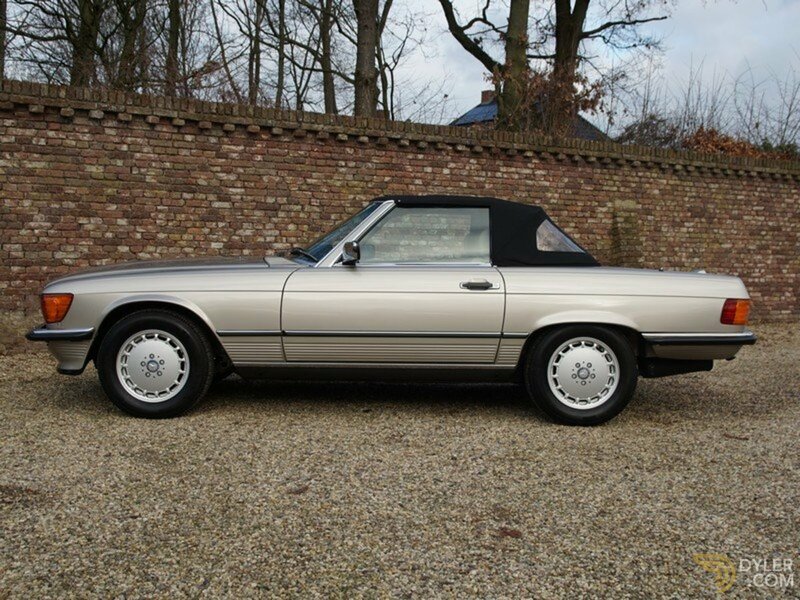 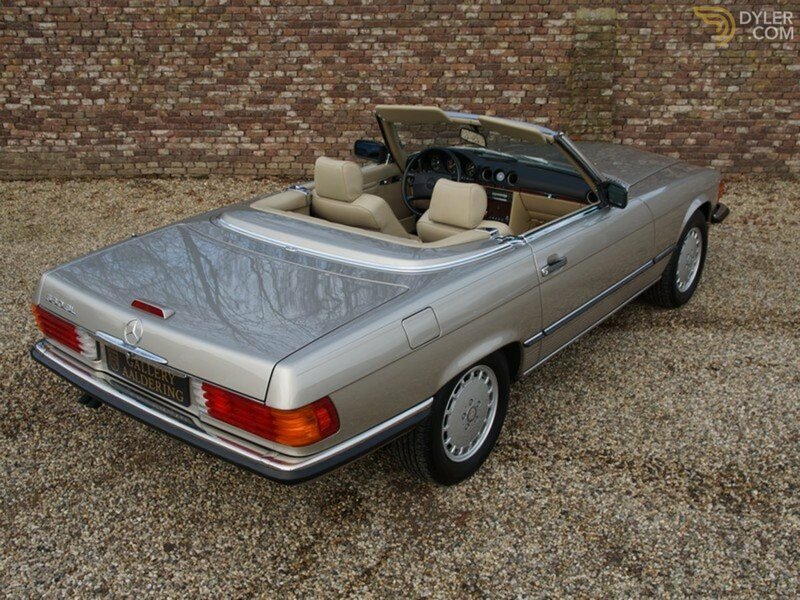 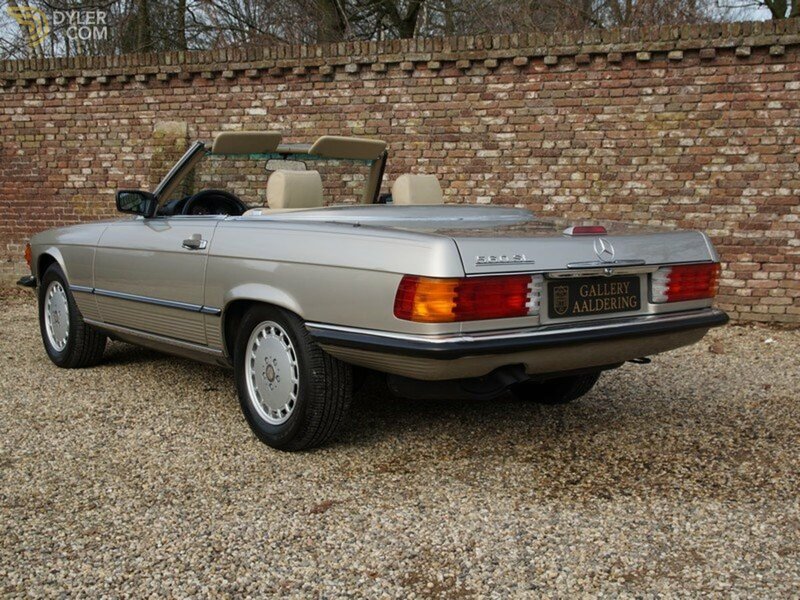 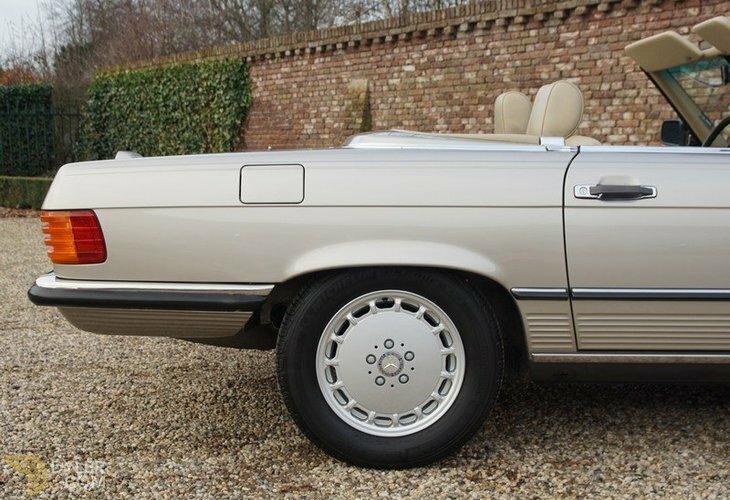 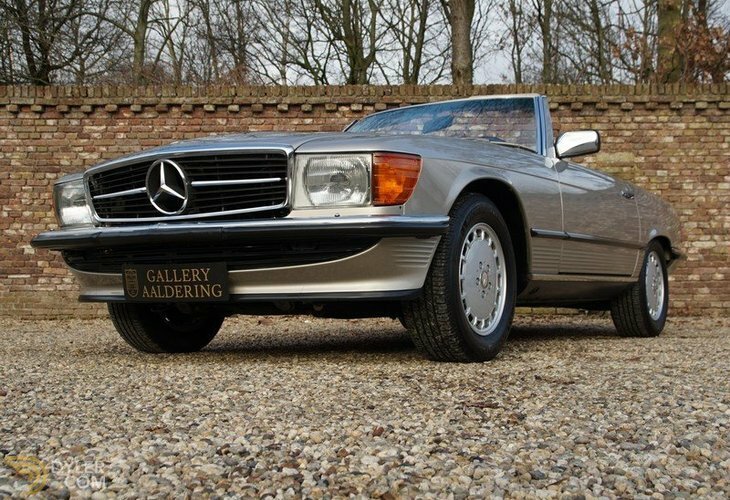 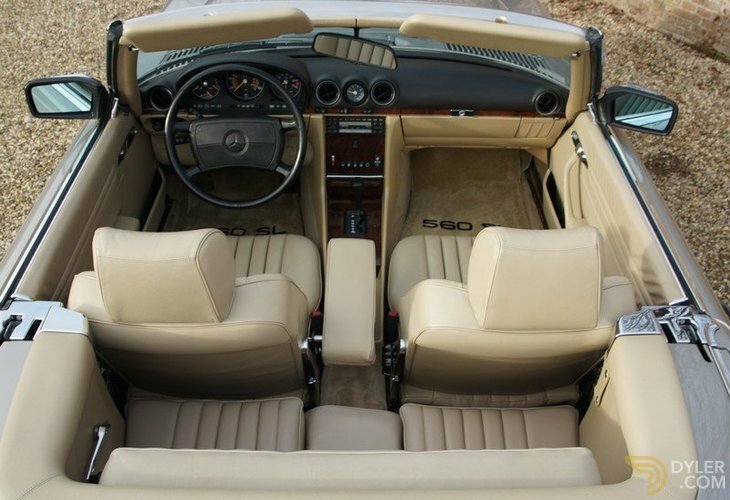 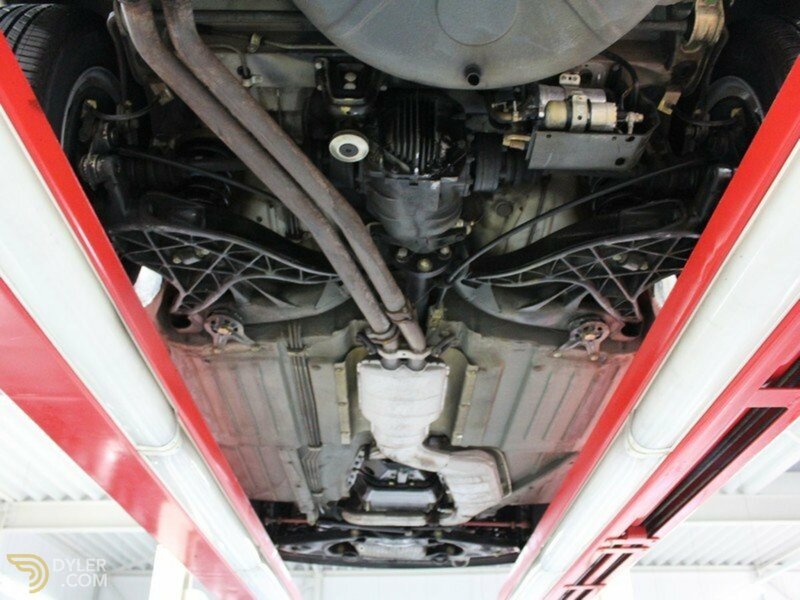 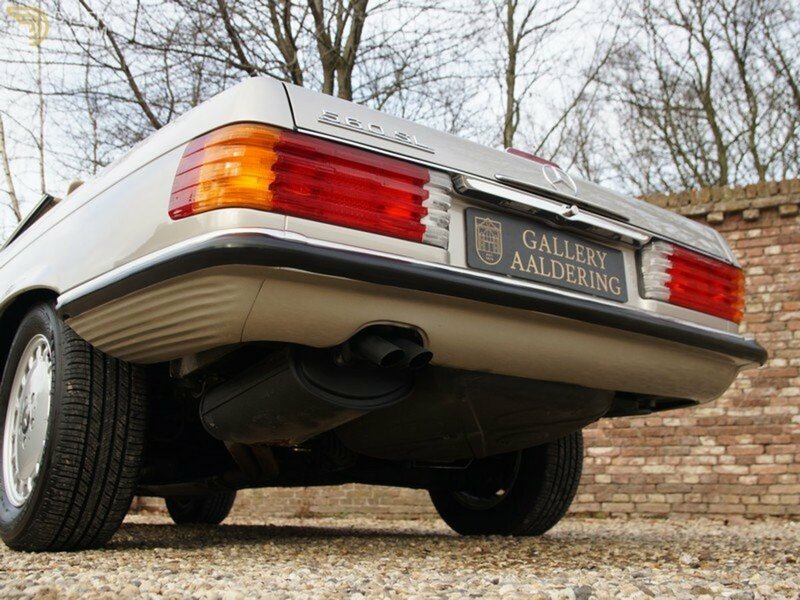 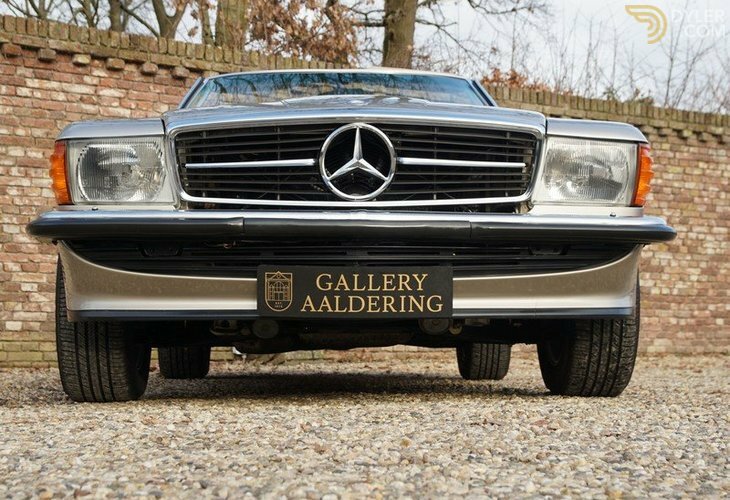 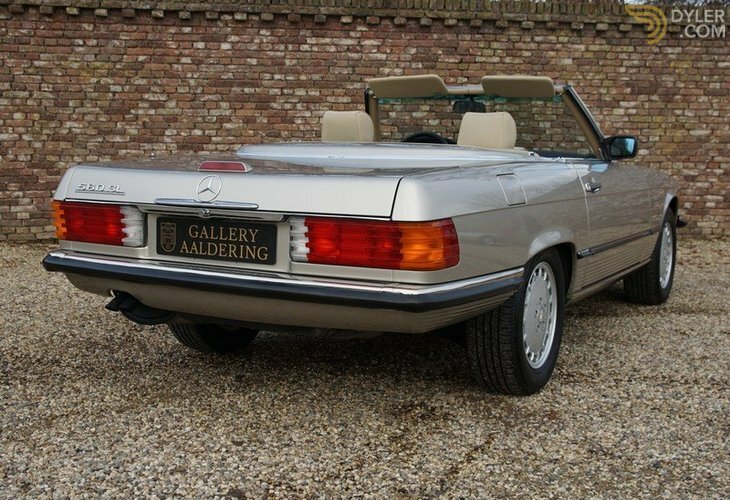 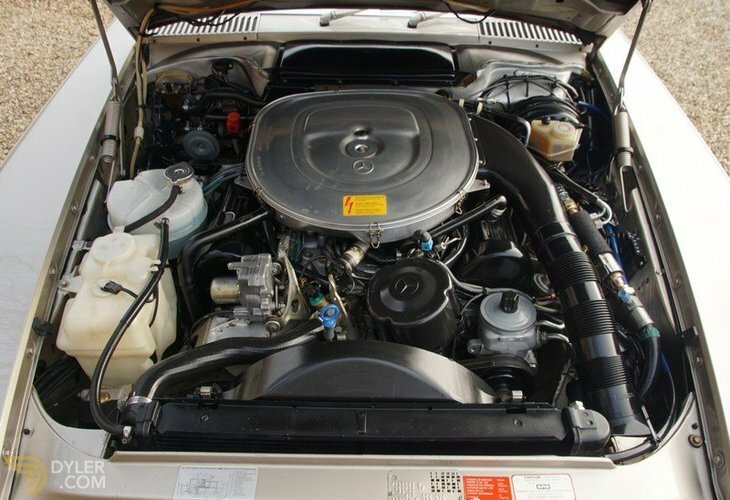 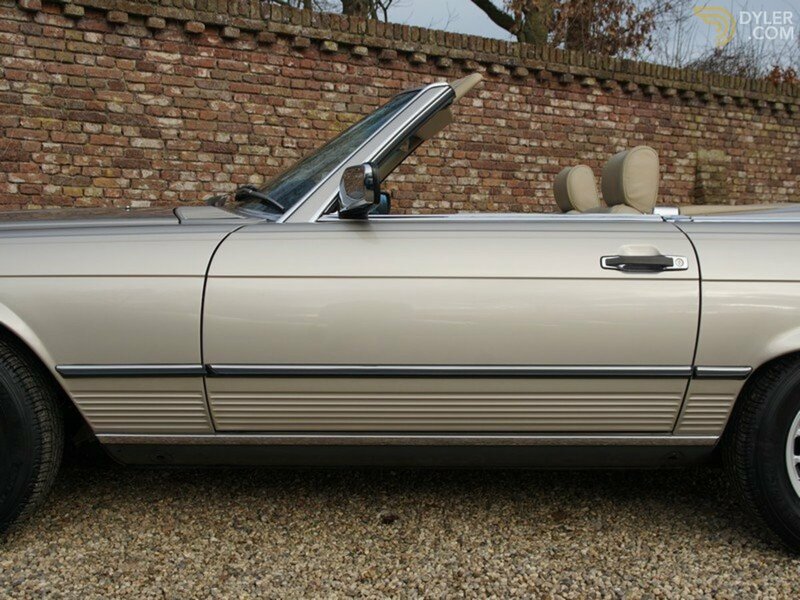 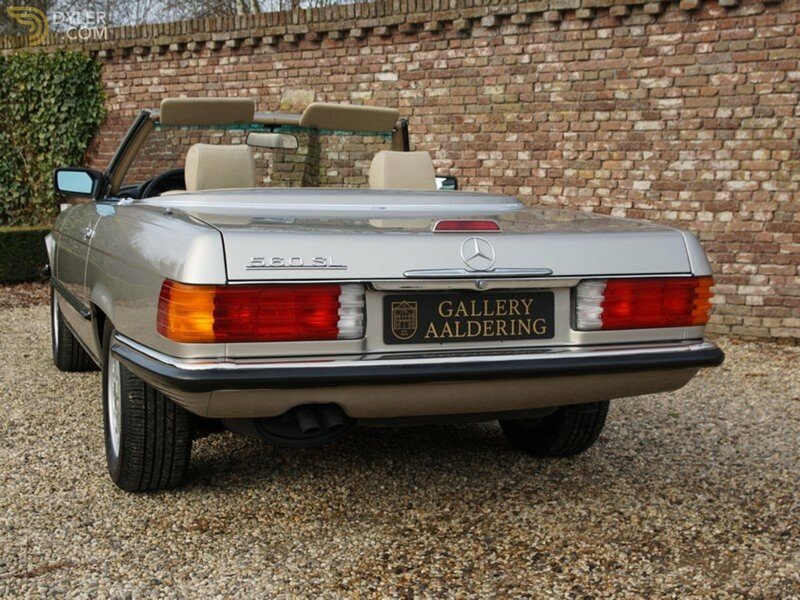 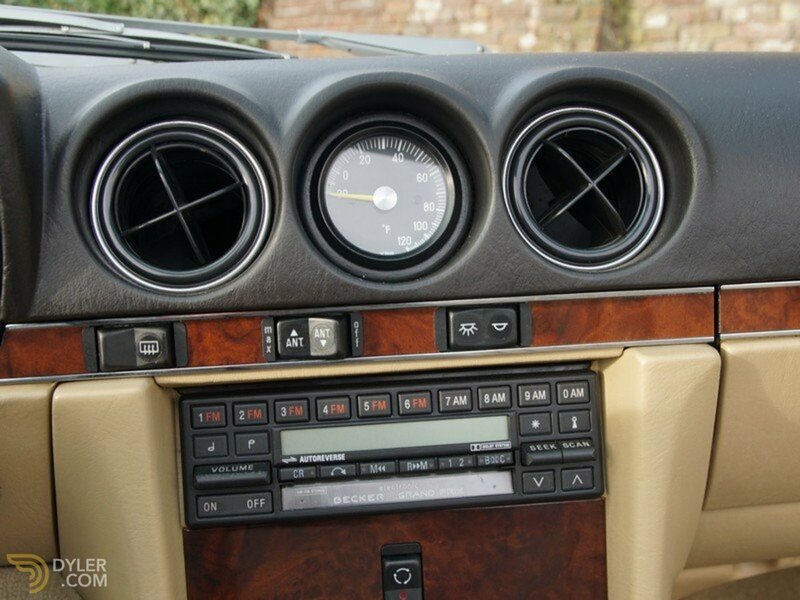 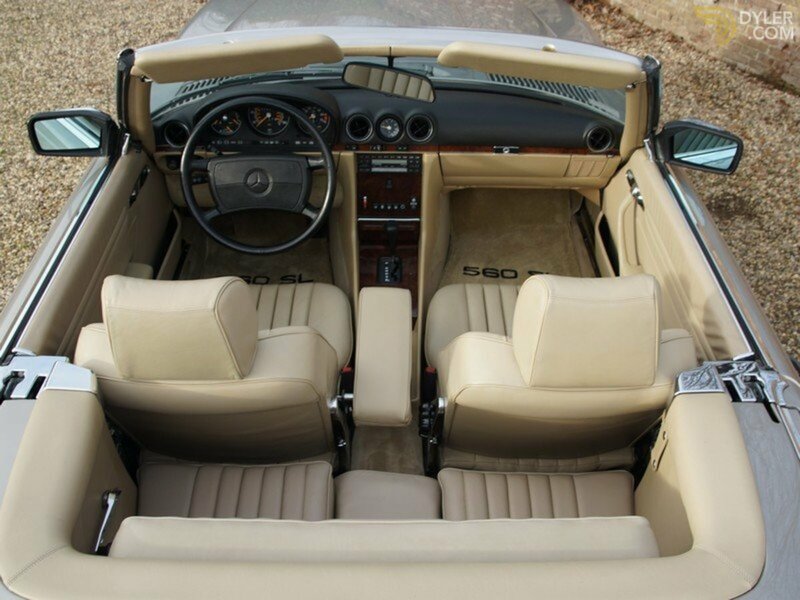 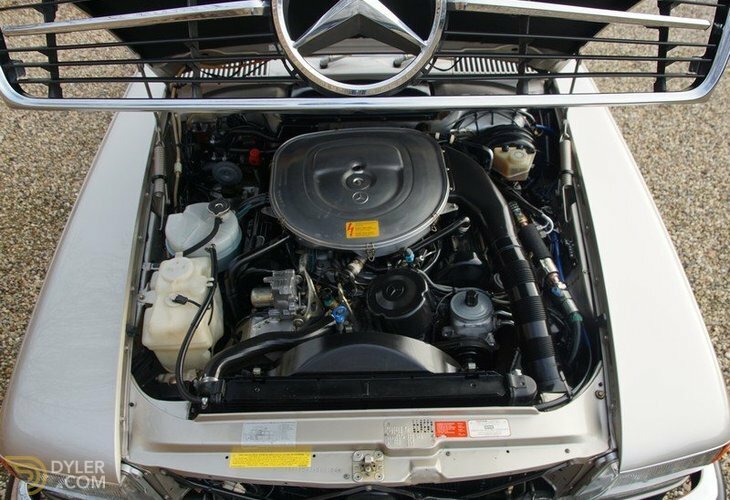 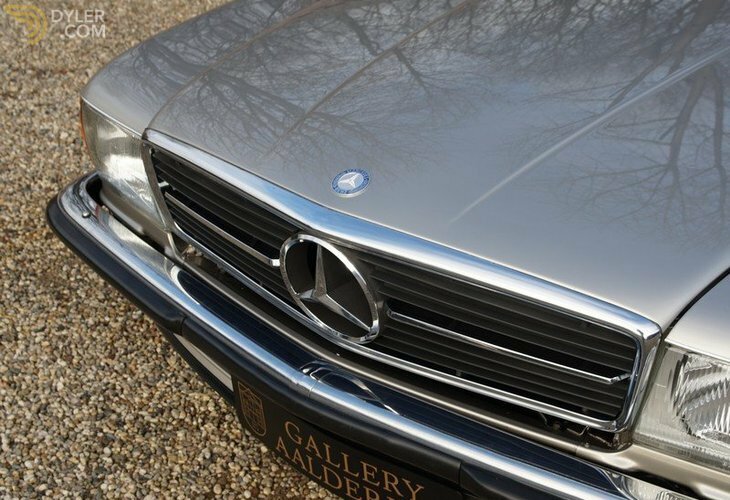 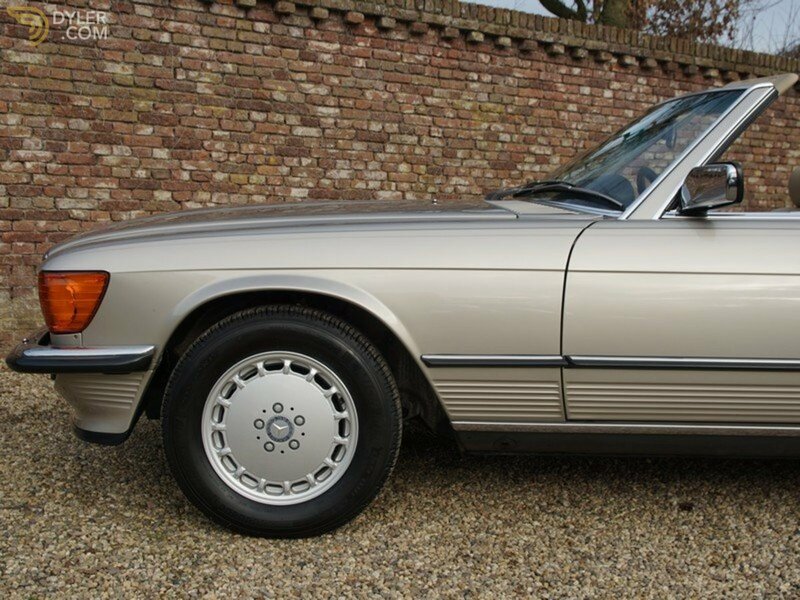 We have a lovely, well-maintained and very authentic 1988 Mercedes Benz 560SL W107. 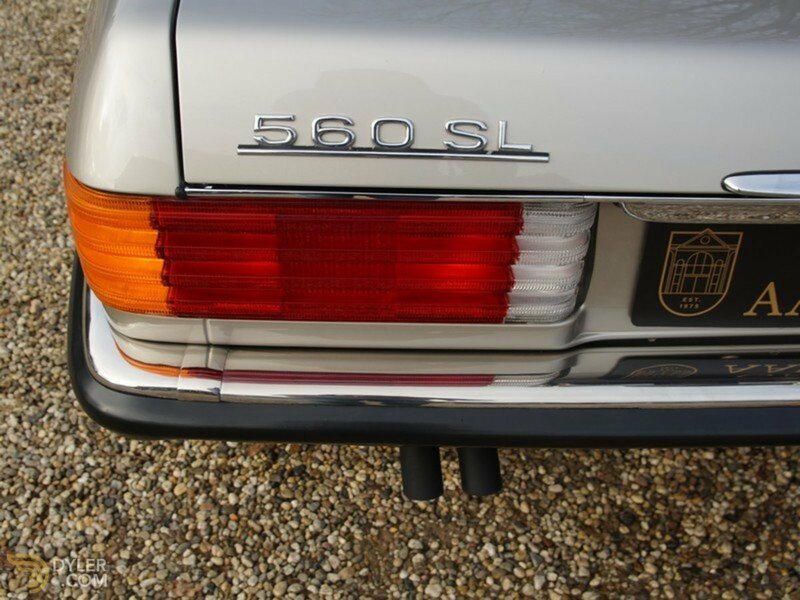 The top of the range model, the 560, was only available to the American market. 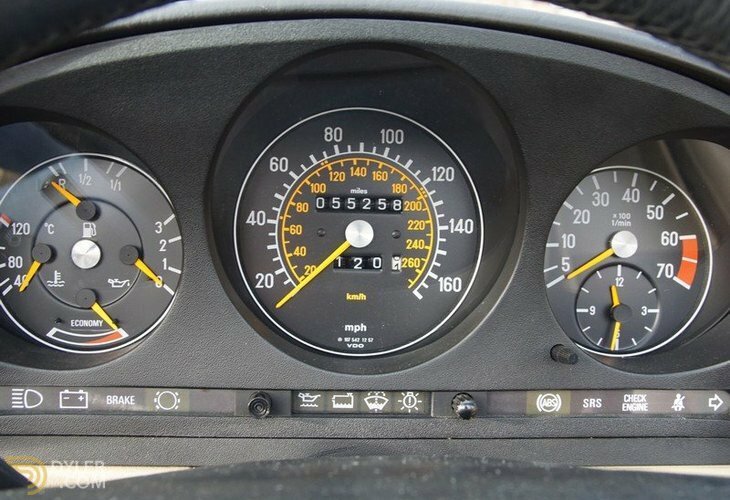 Since its first registration in California in 1988 it has only clocked up 55,000 miles! 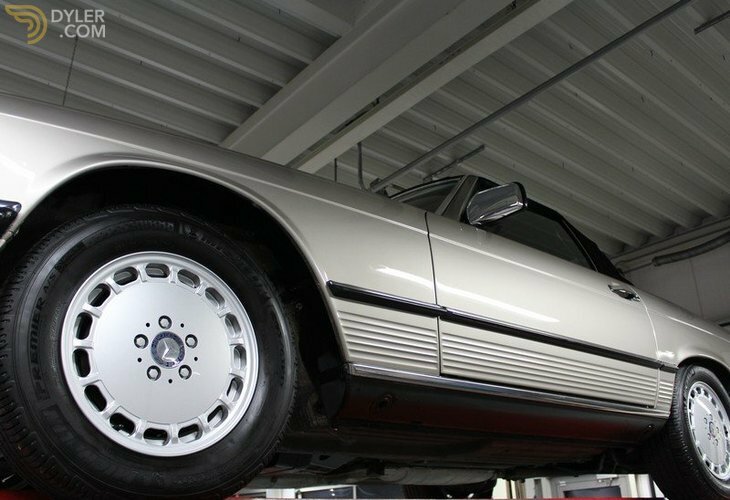 For years this car was carefully stored and has never required any restorative work. 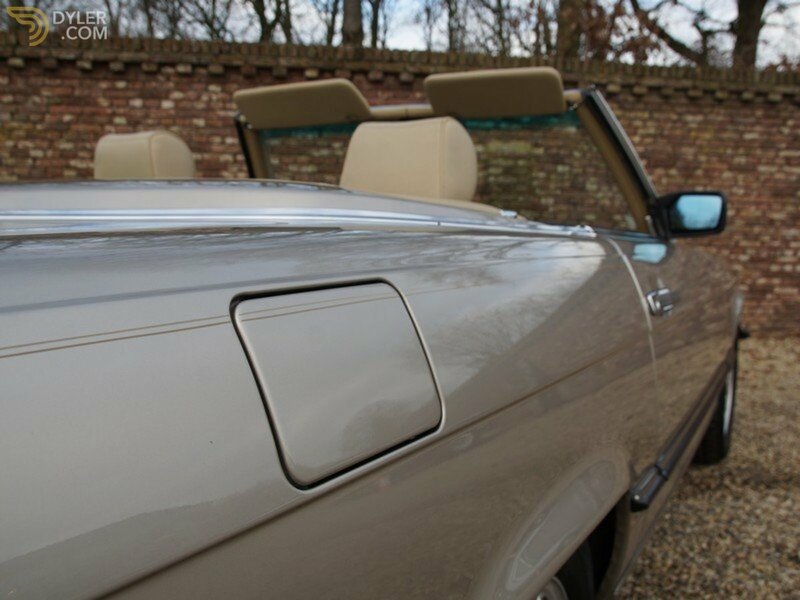 The paintwork is still brilliant, the cars’ interior very well looked after and both completely authentic. 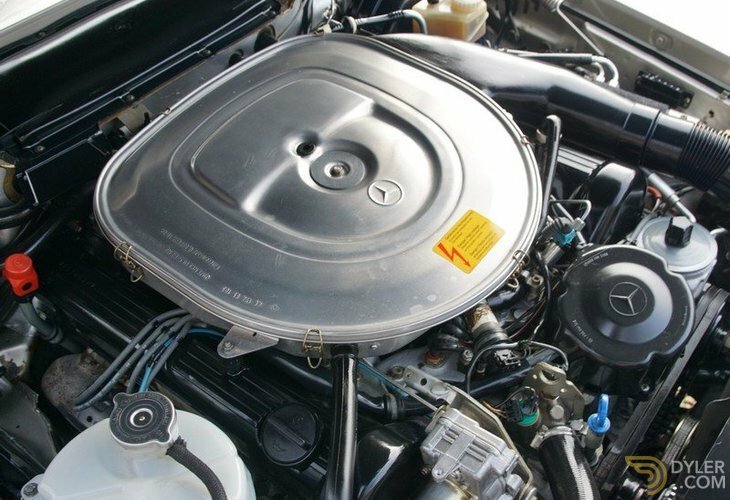 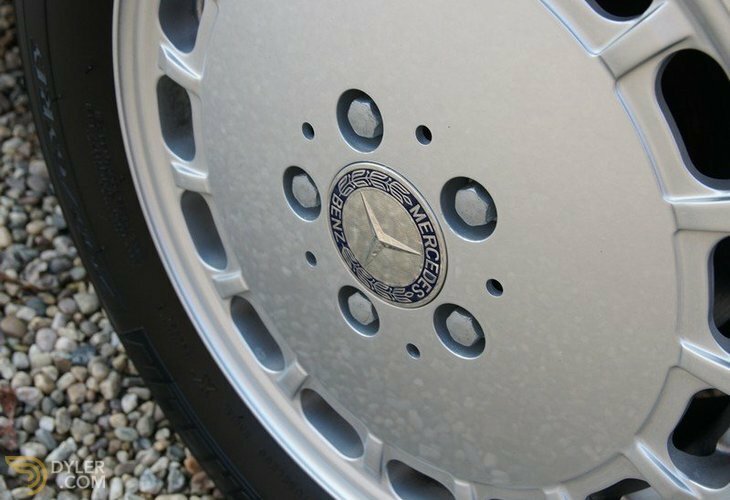 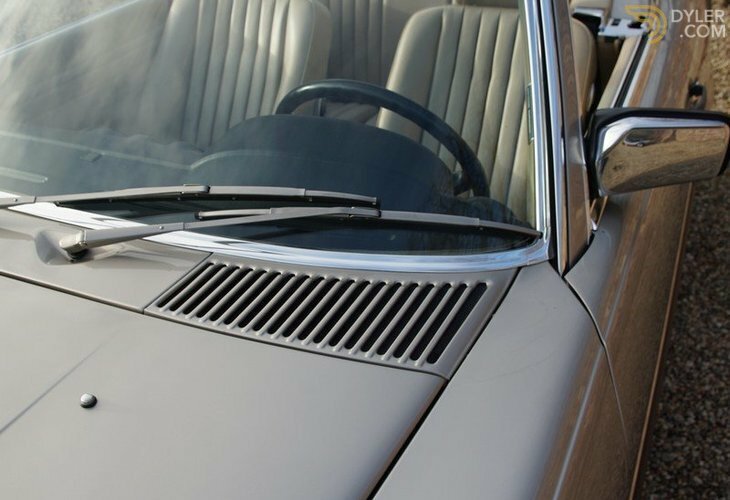 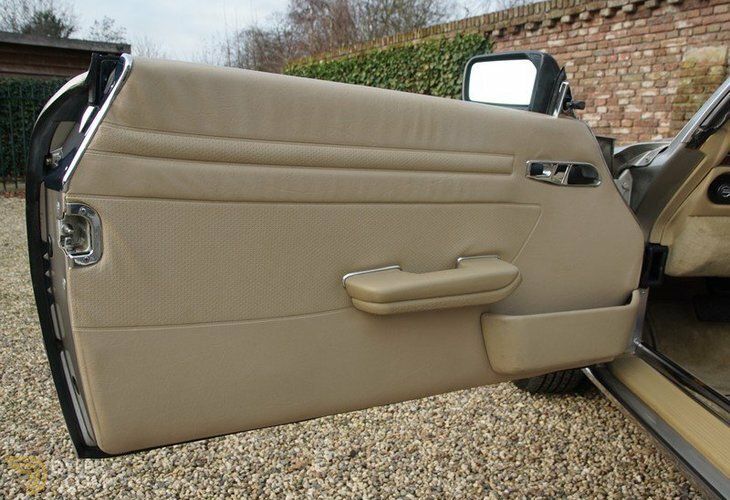 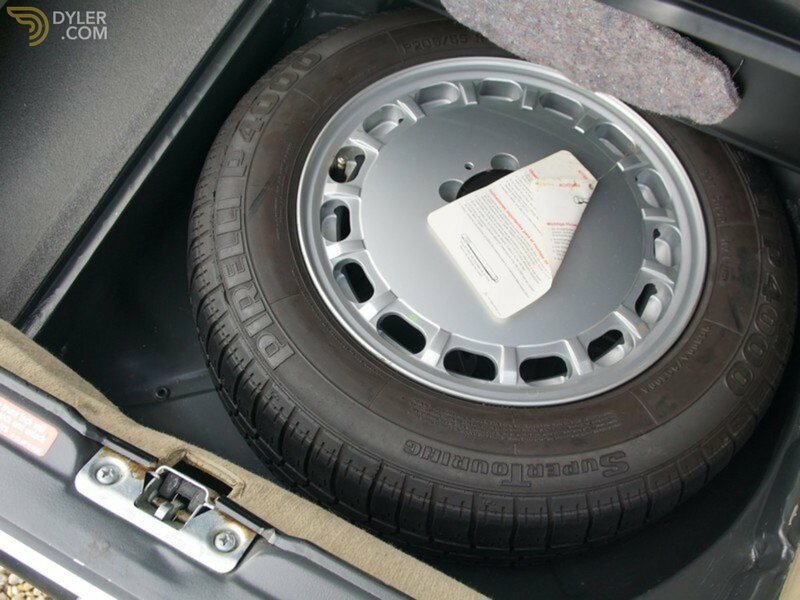 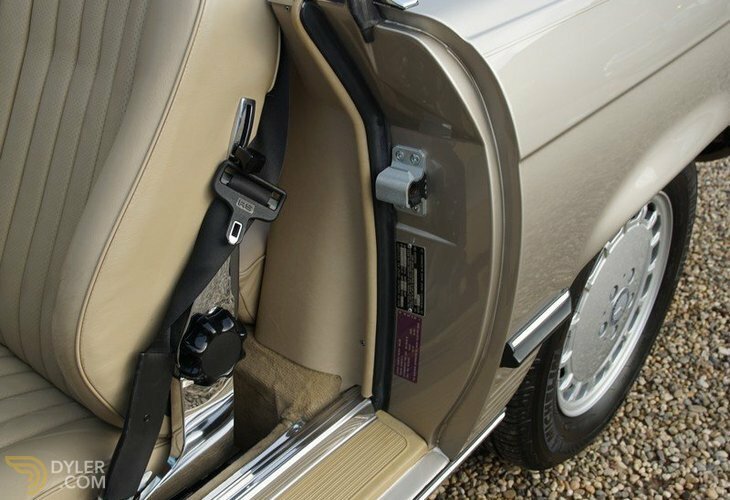 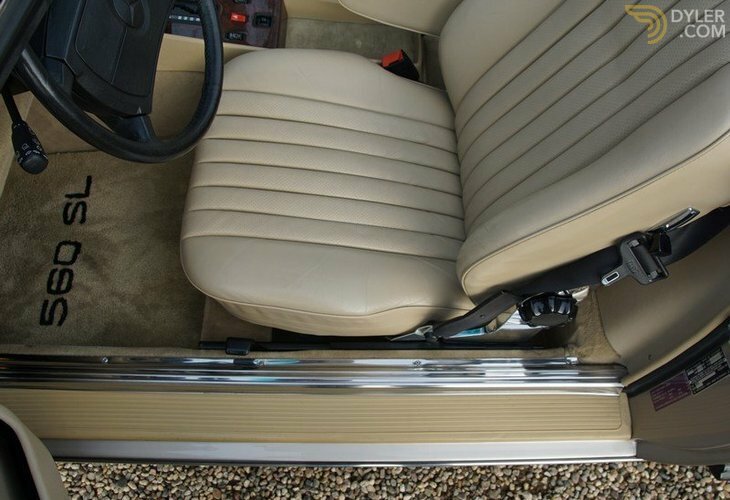 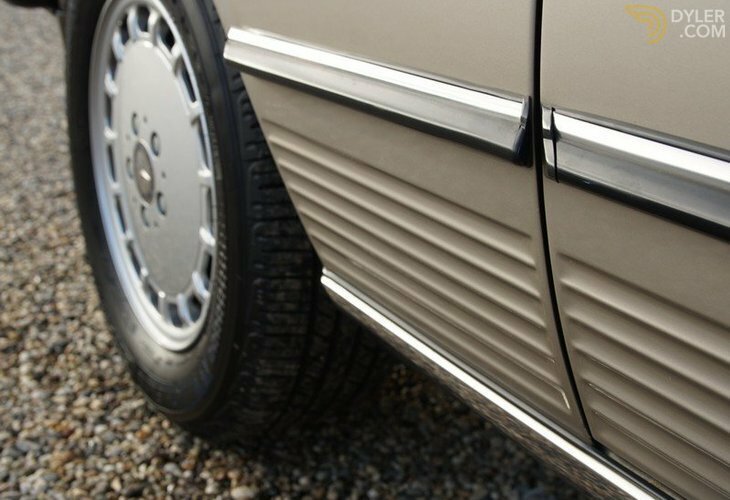 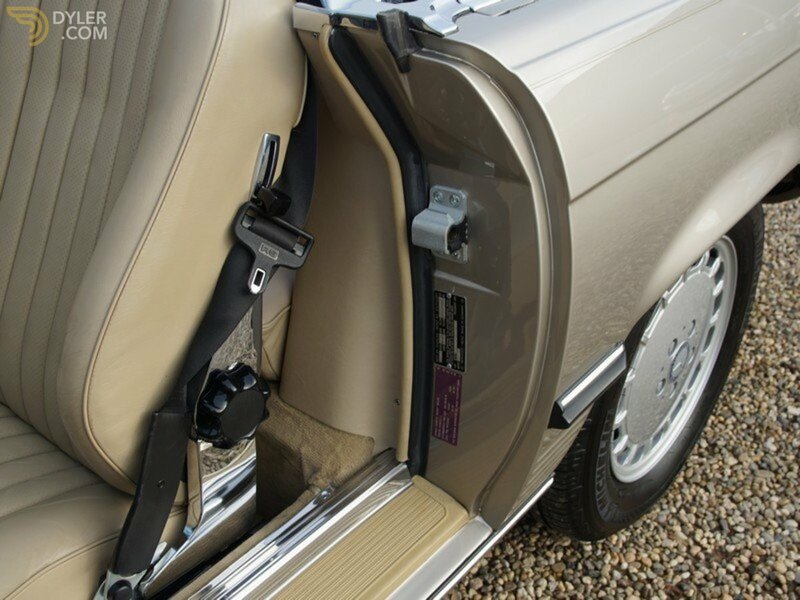 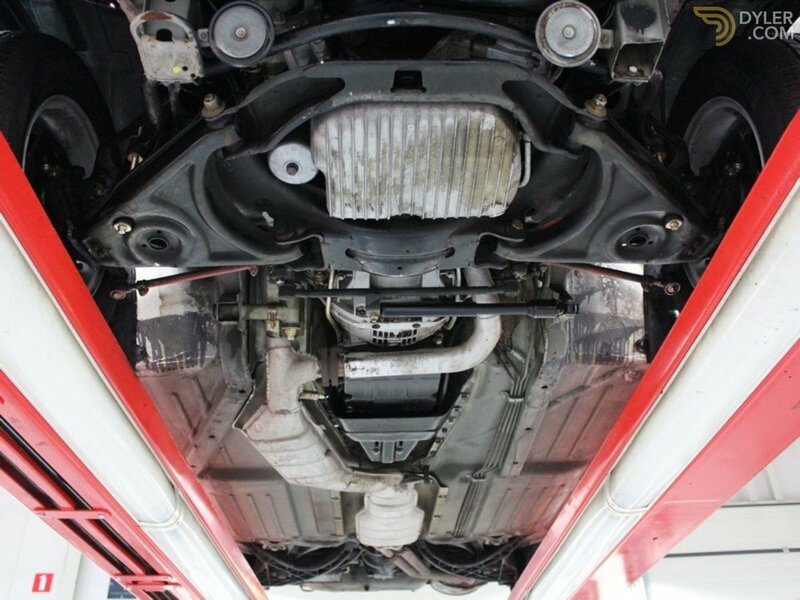 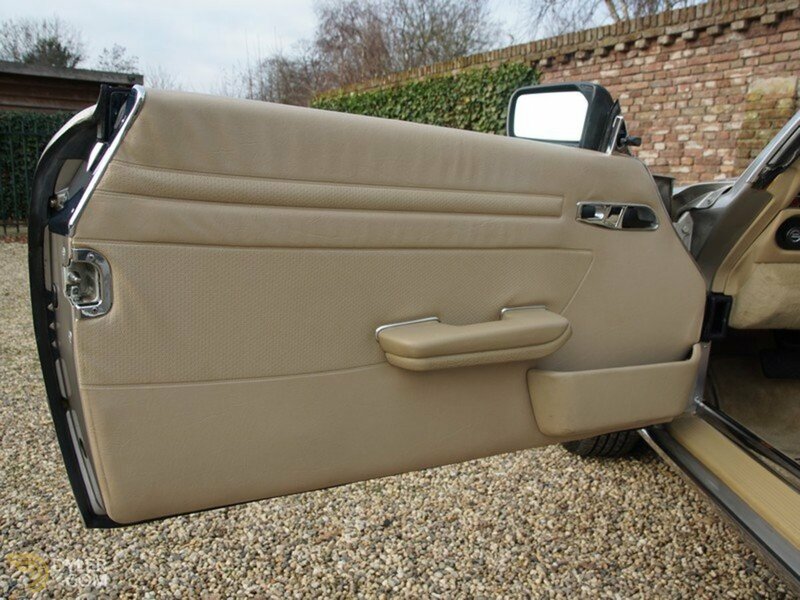 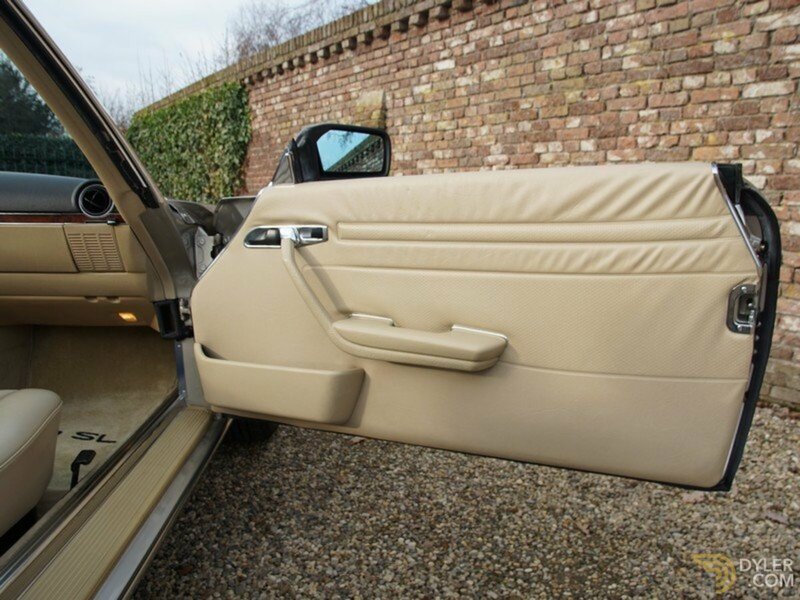 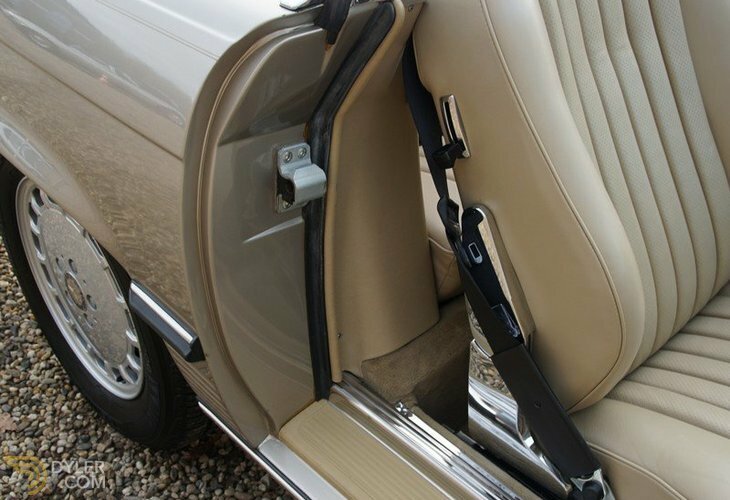 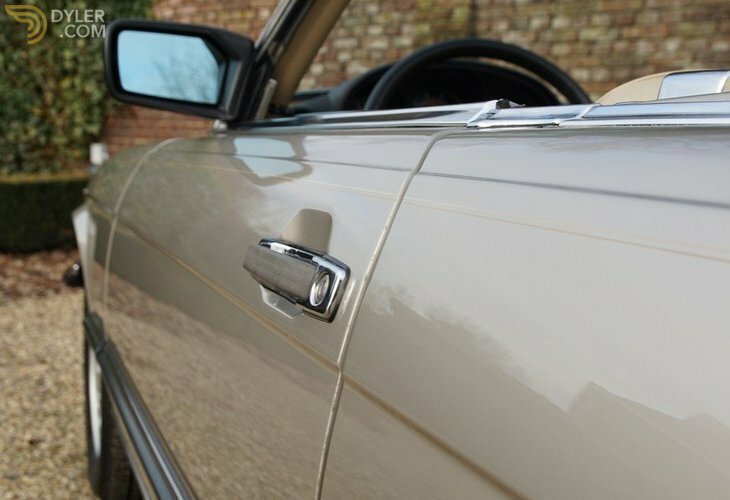 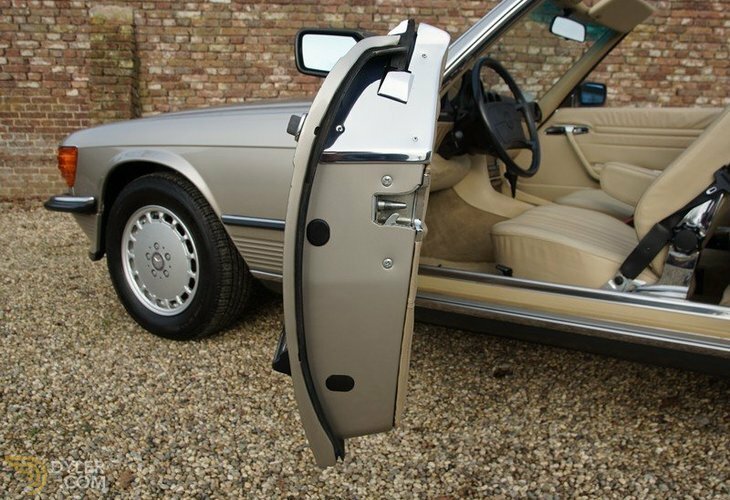 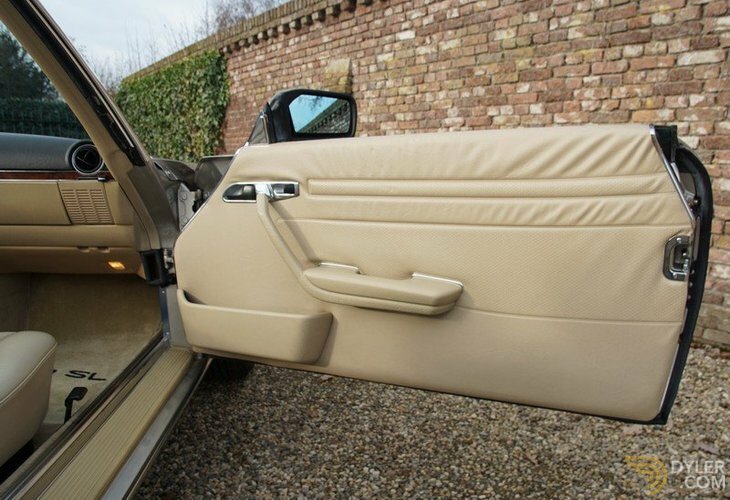 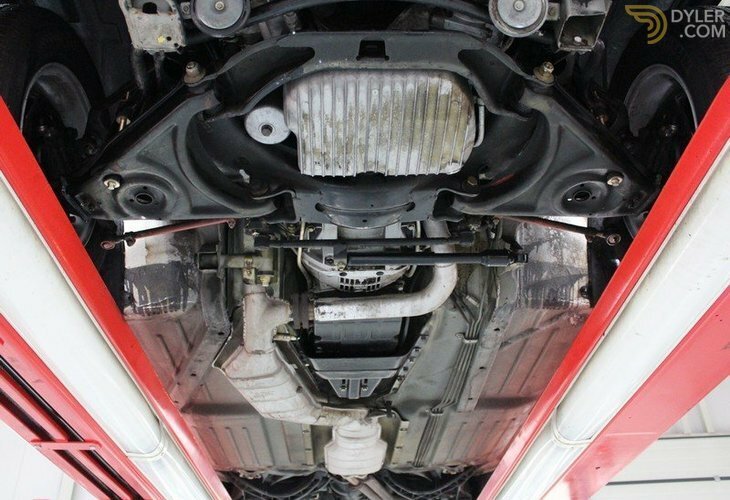 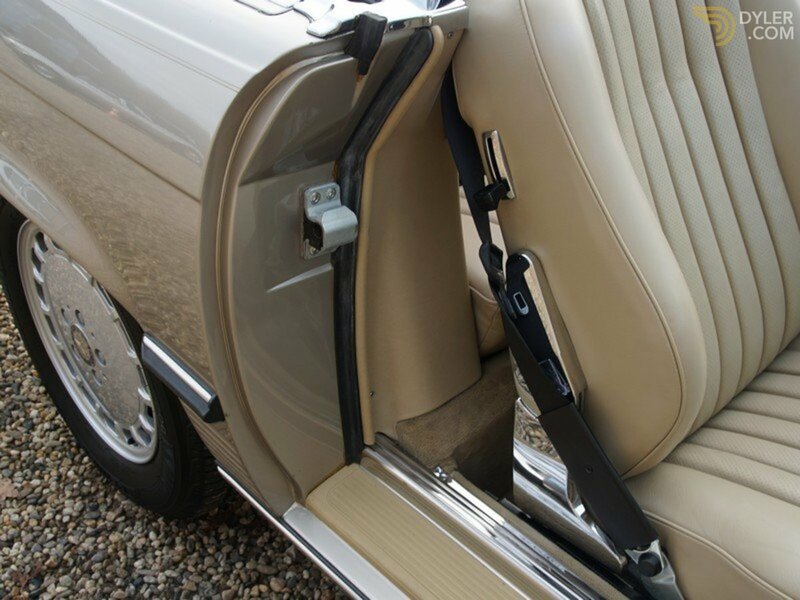 The wonderfully solid bodywork has tightly fitting body panels and naturally fully free of corrosion. 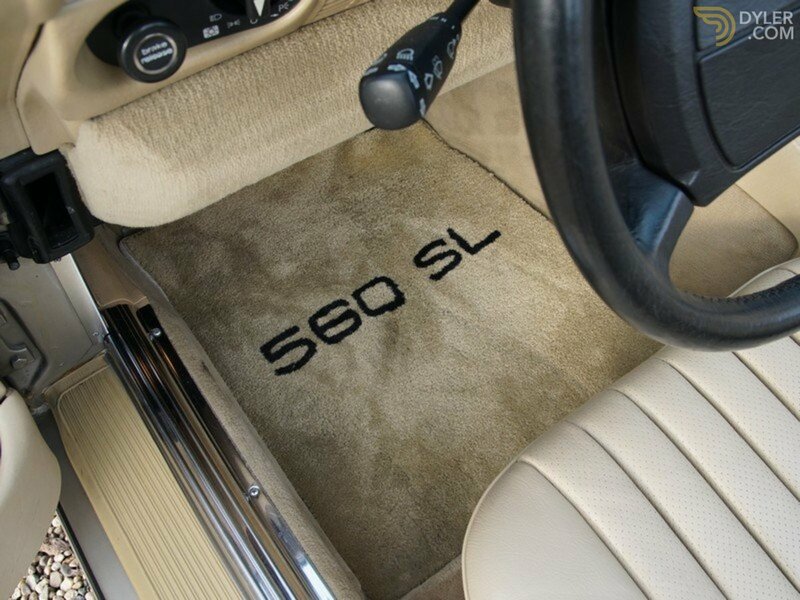 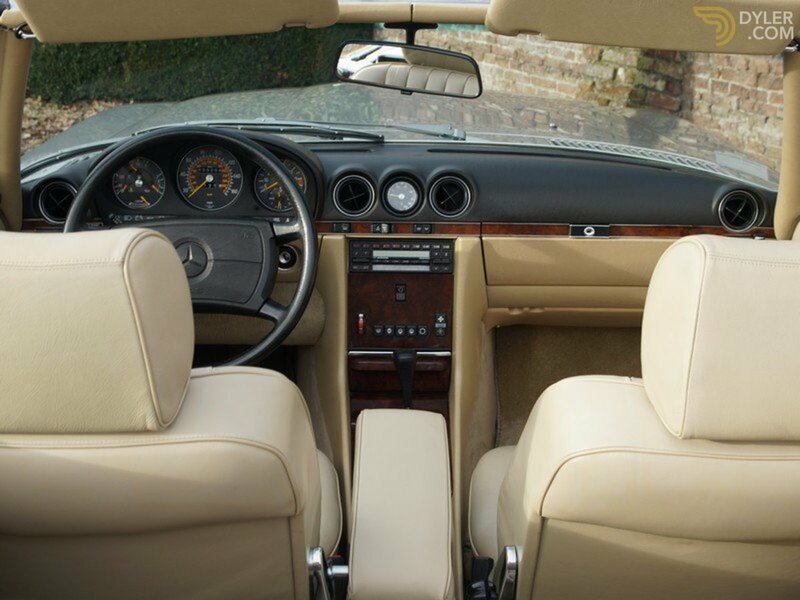 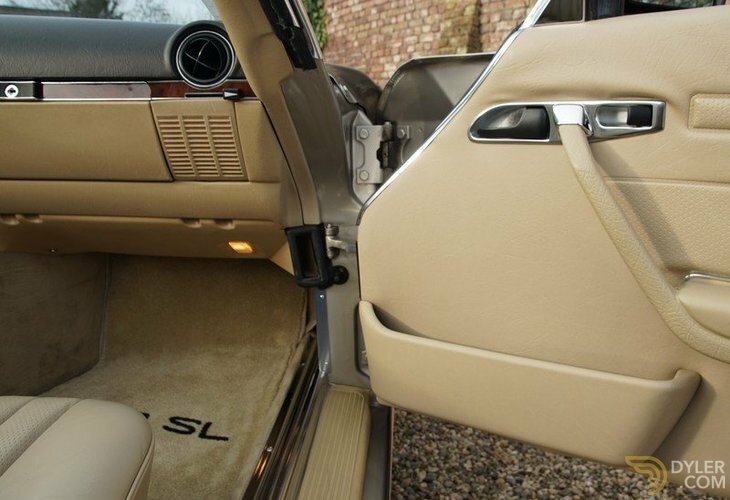 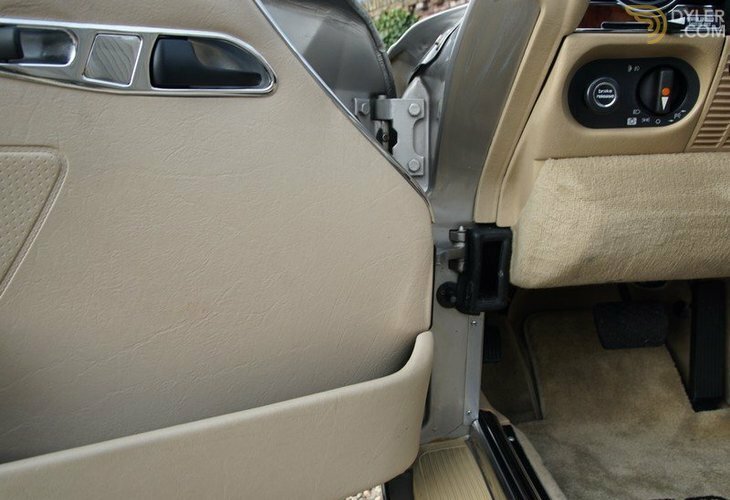 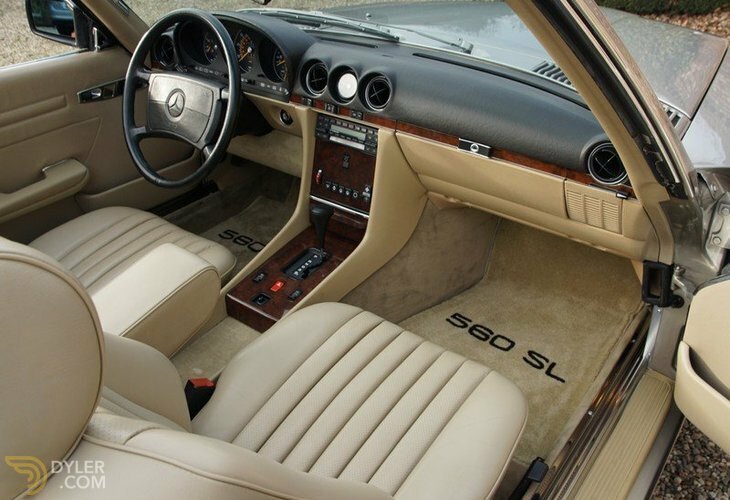 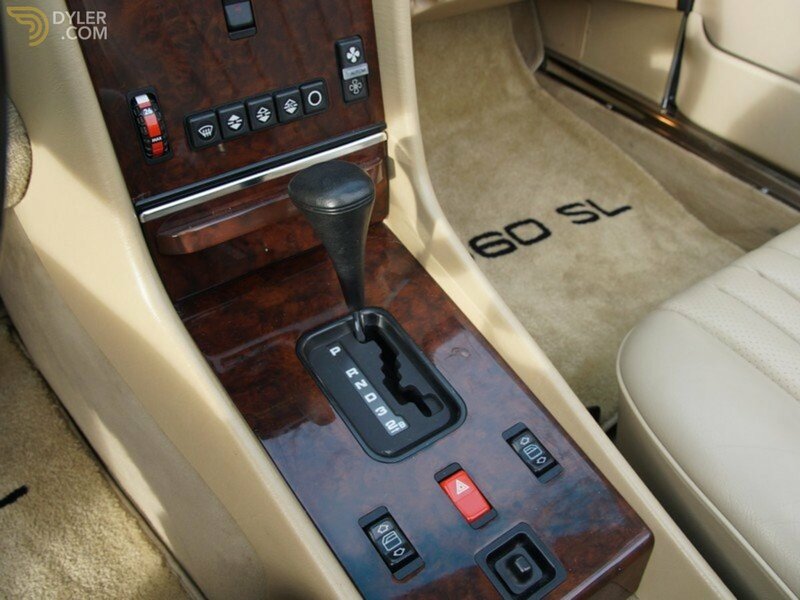 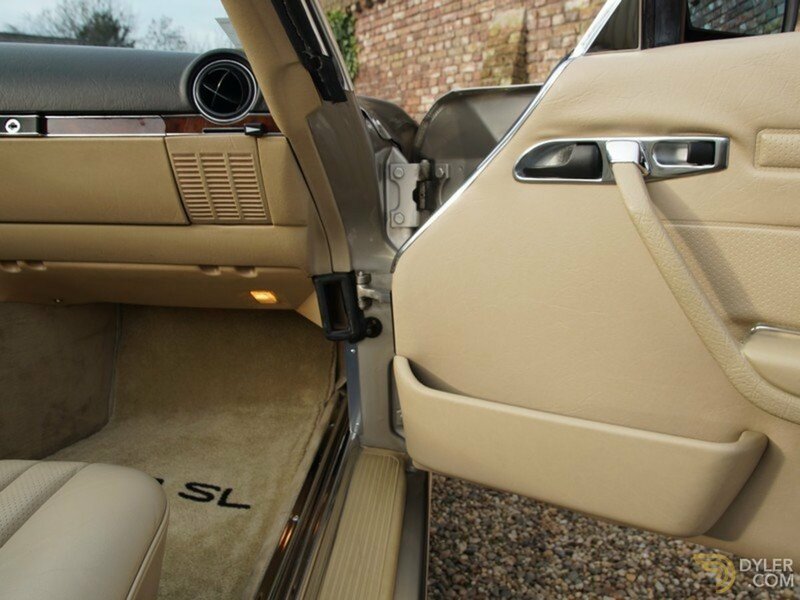 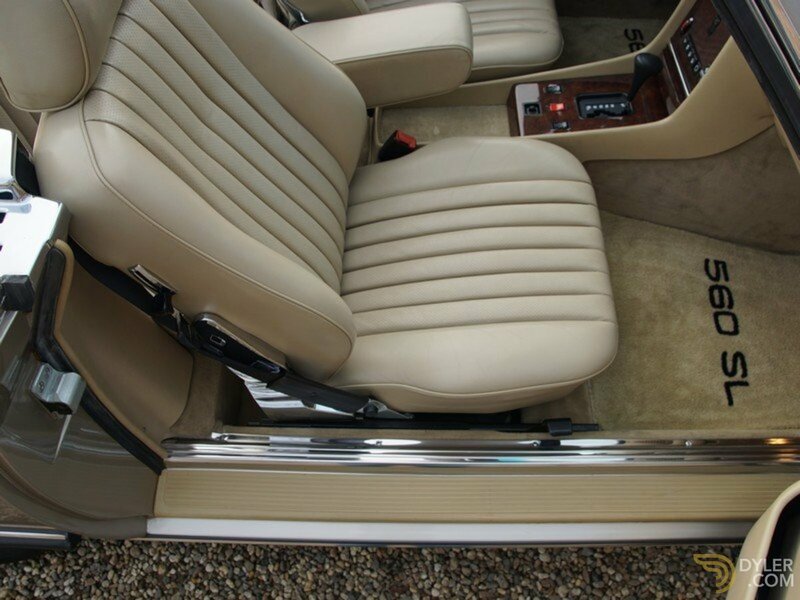 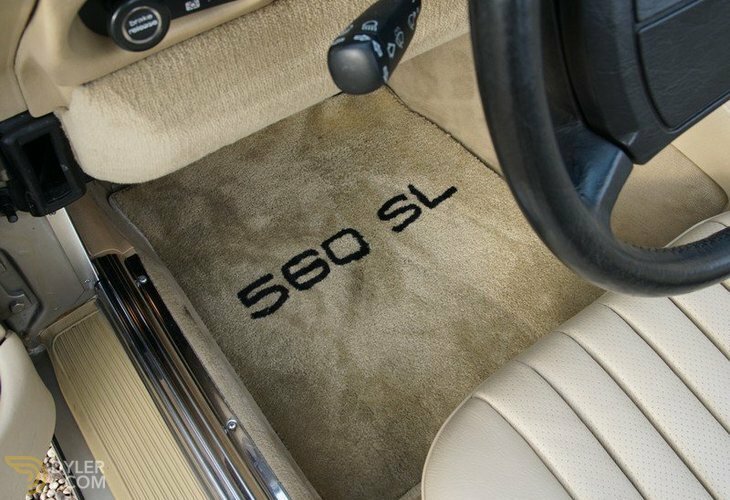 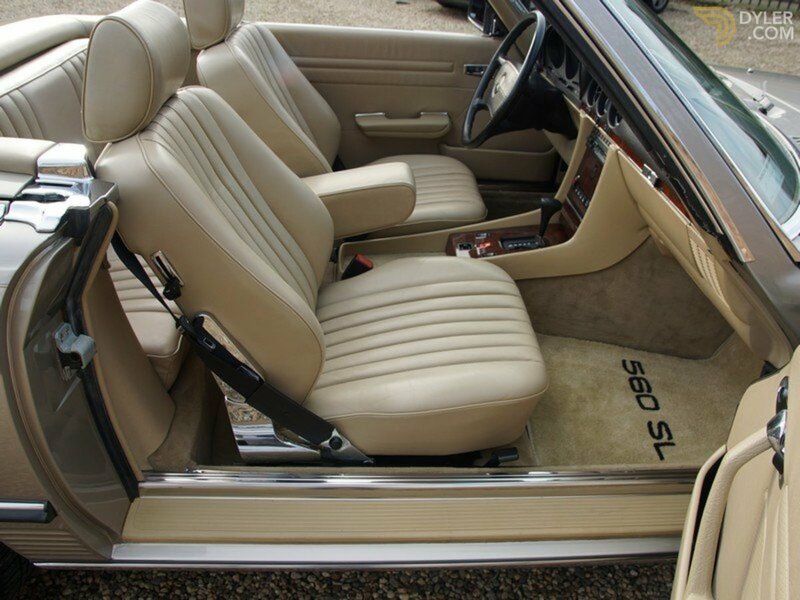 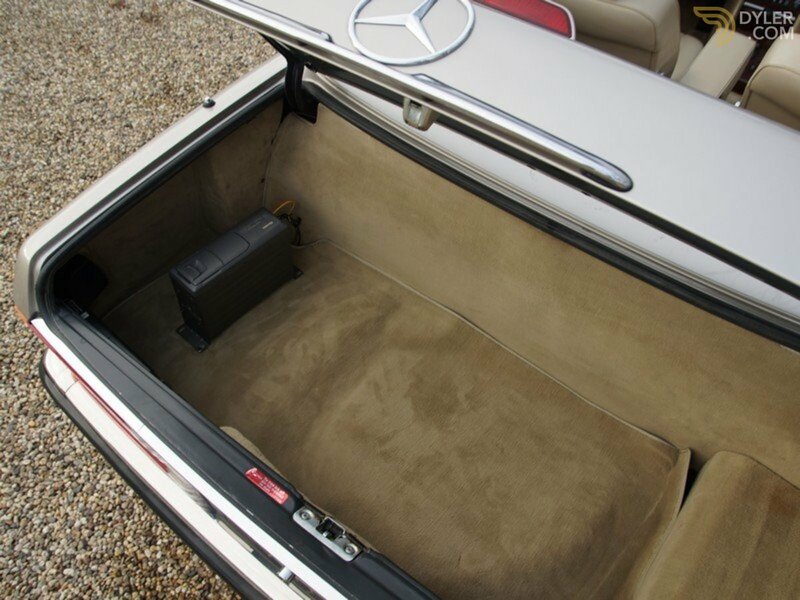 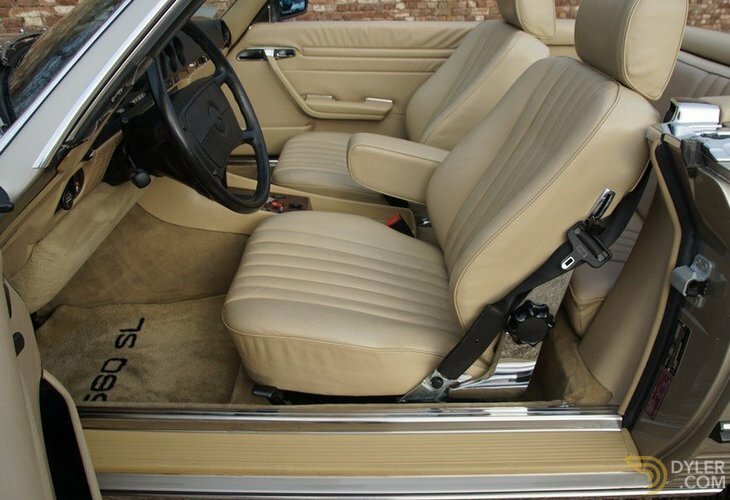 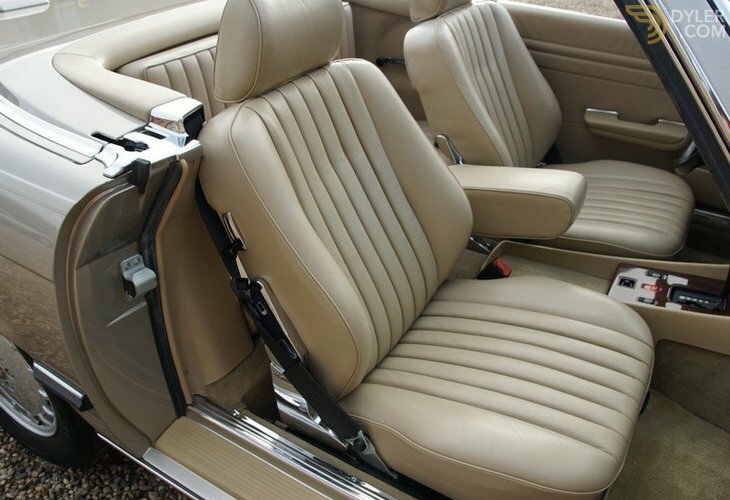 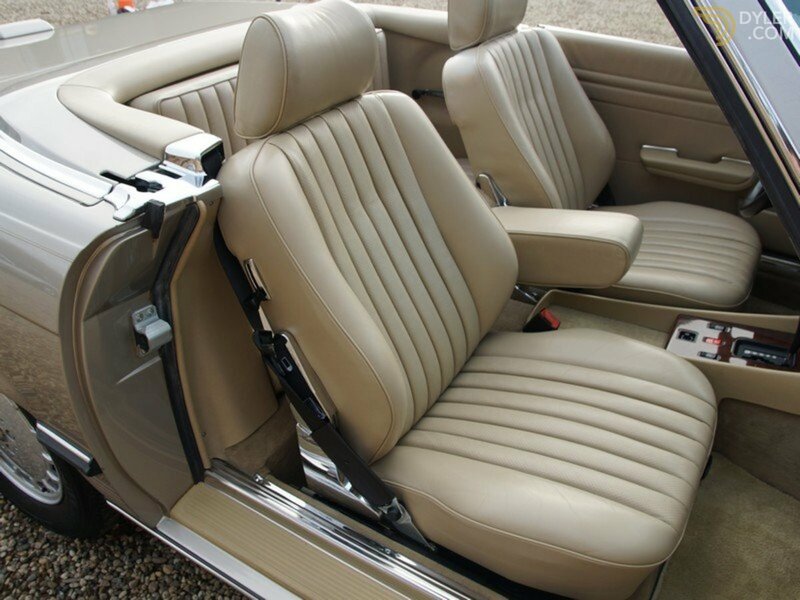 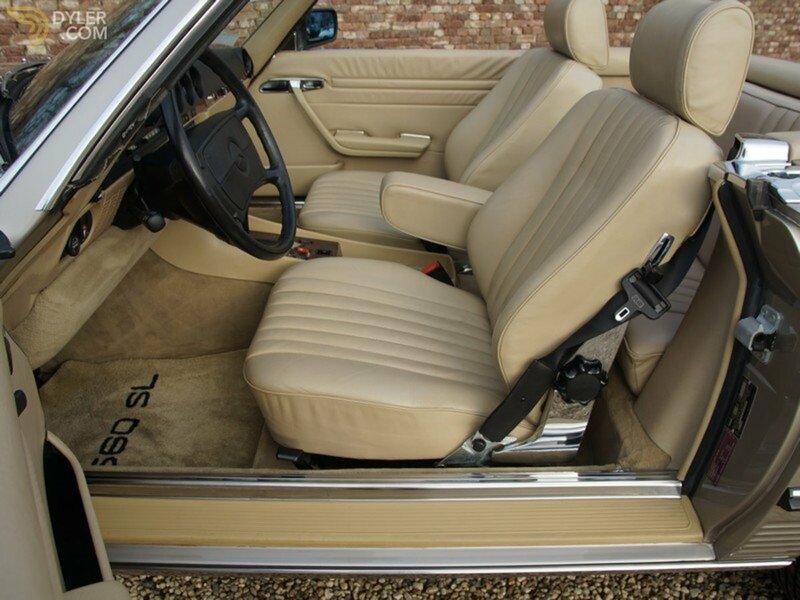 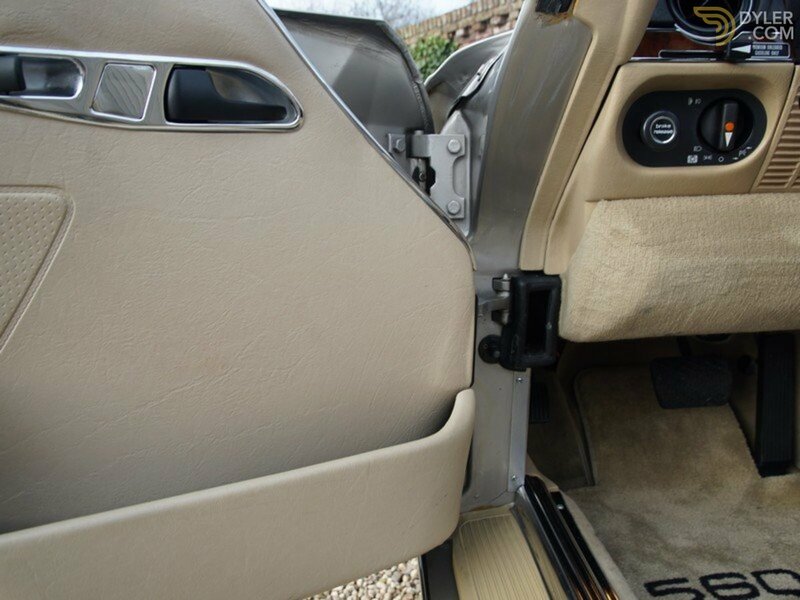 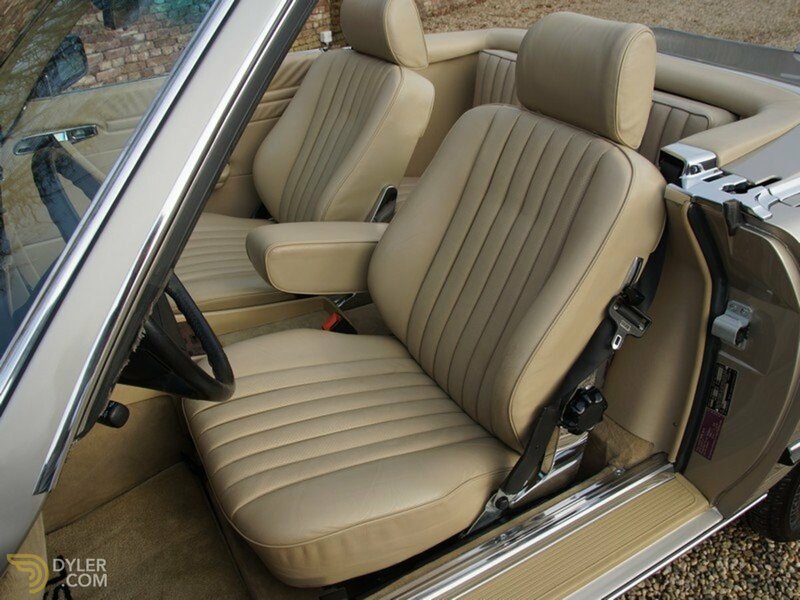 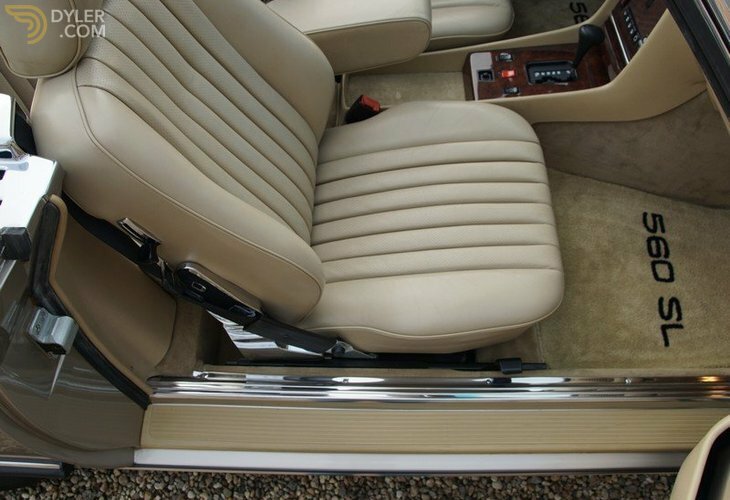 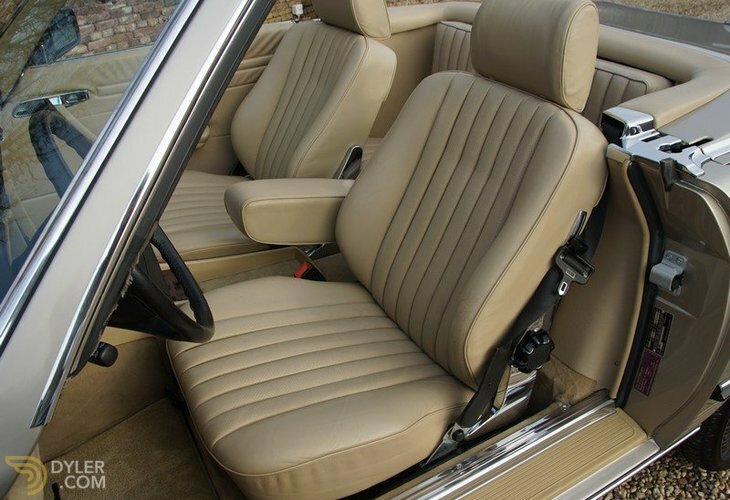 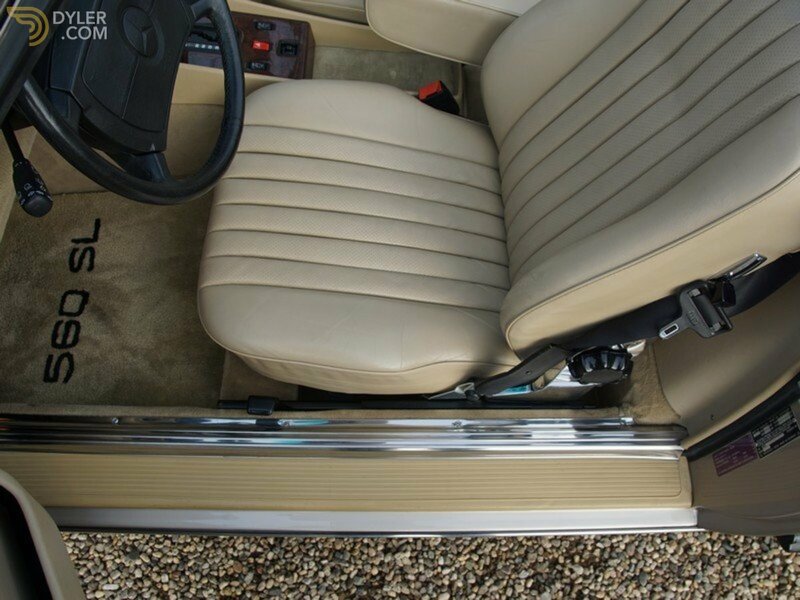 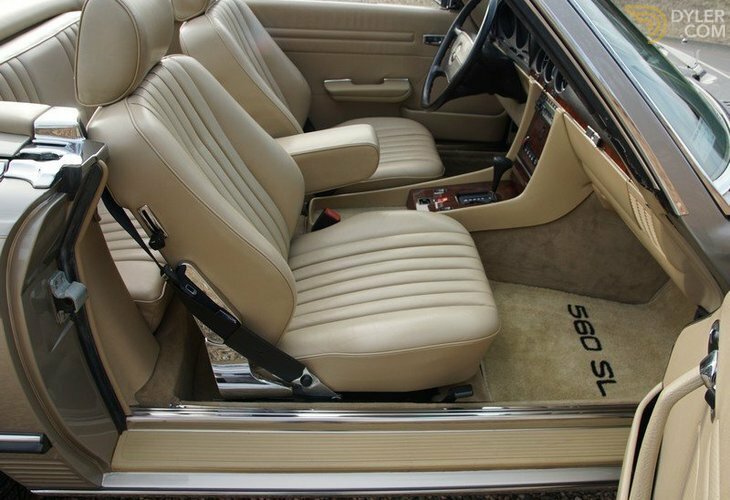 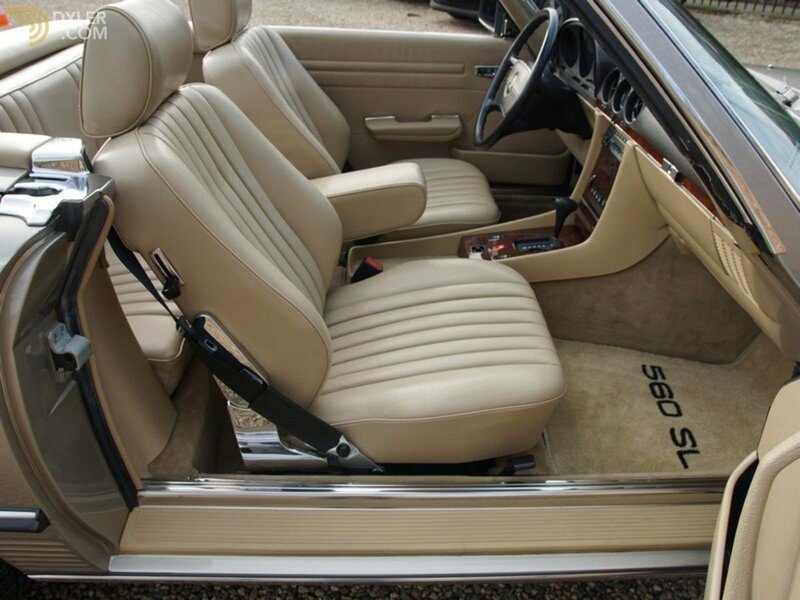 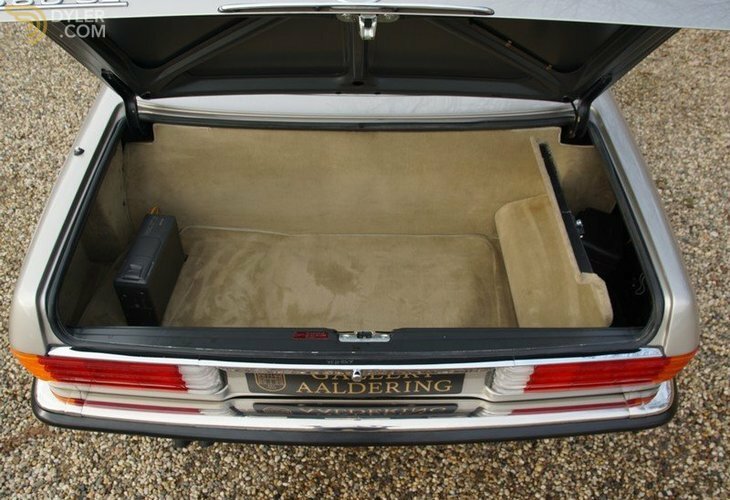 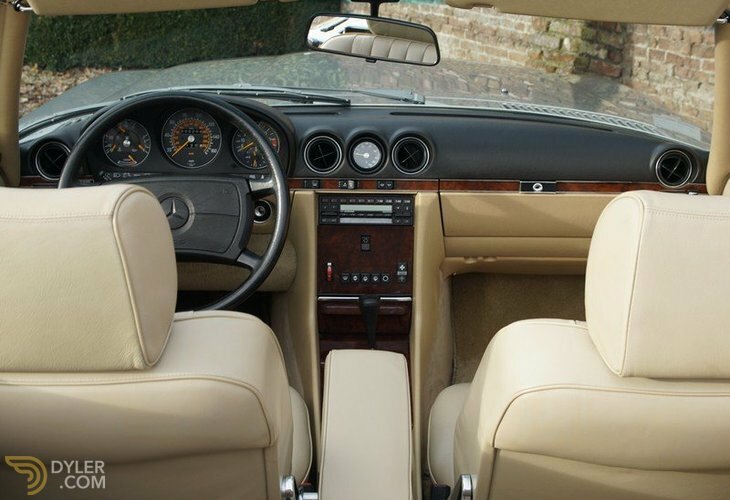 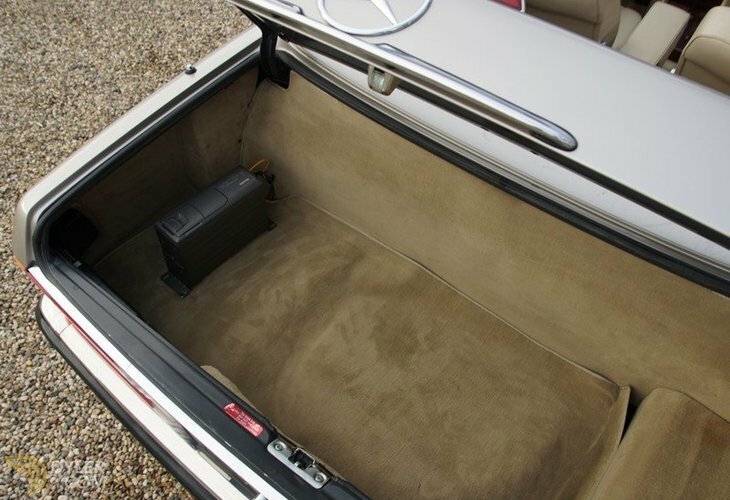 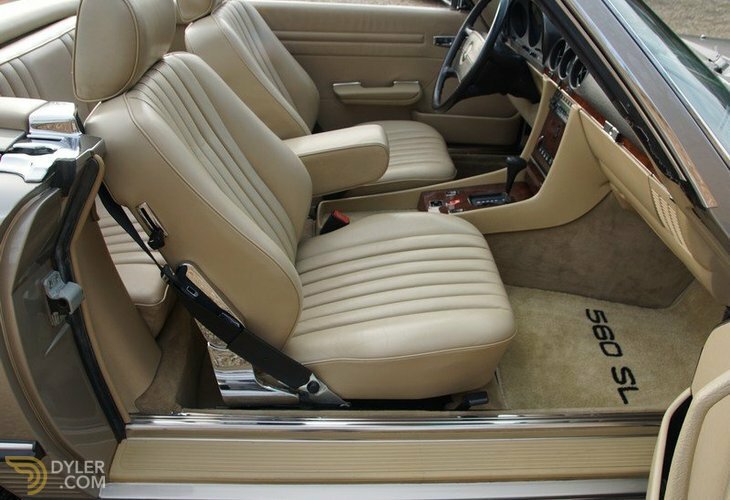 It has a ‘Smoke Silver Metallic’ finish in combination with cream coloured leather trim. 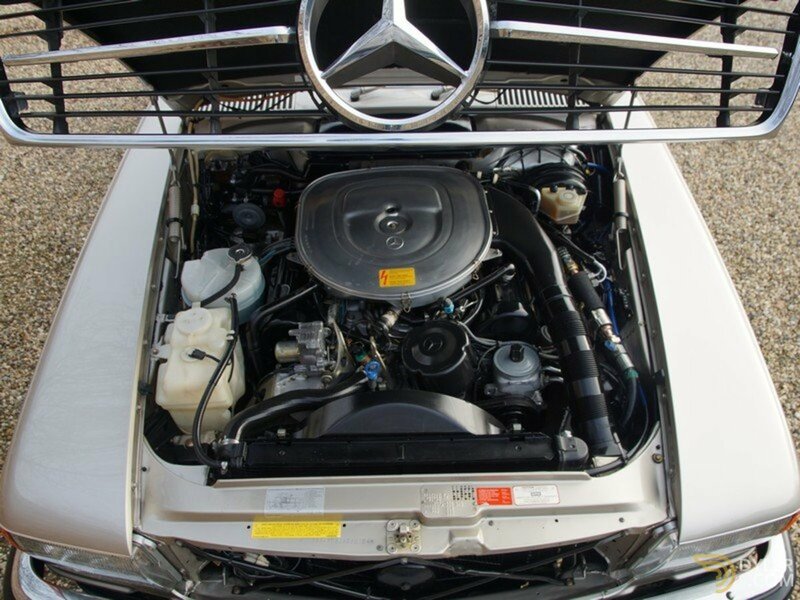 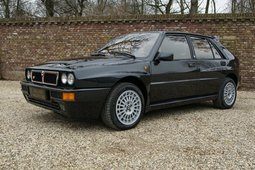 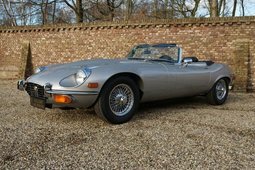 The car being original has, of course, maintained her matching numbers V8 engine. 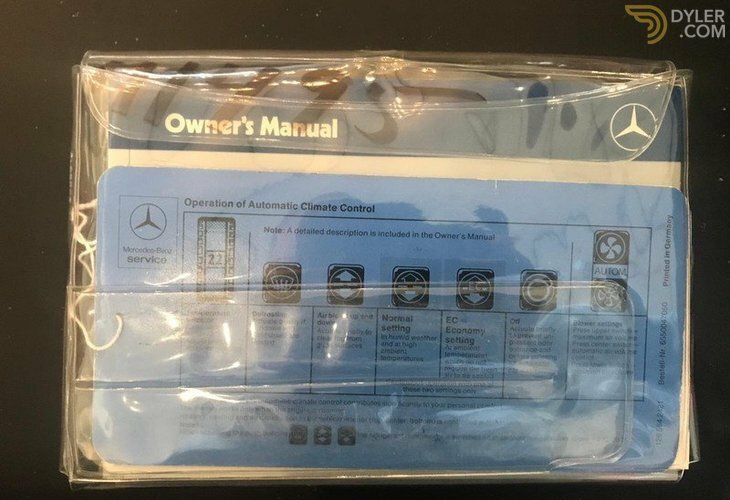 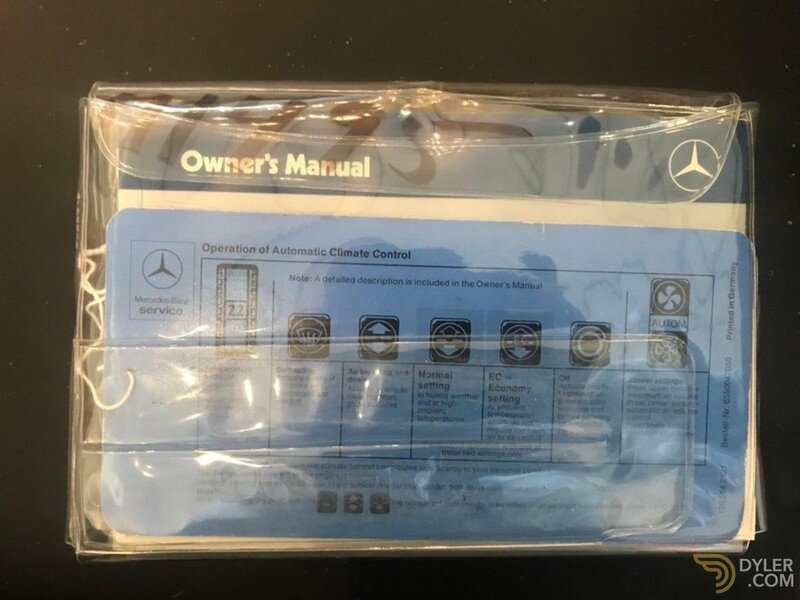 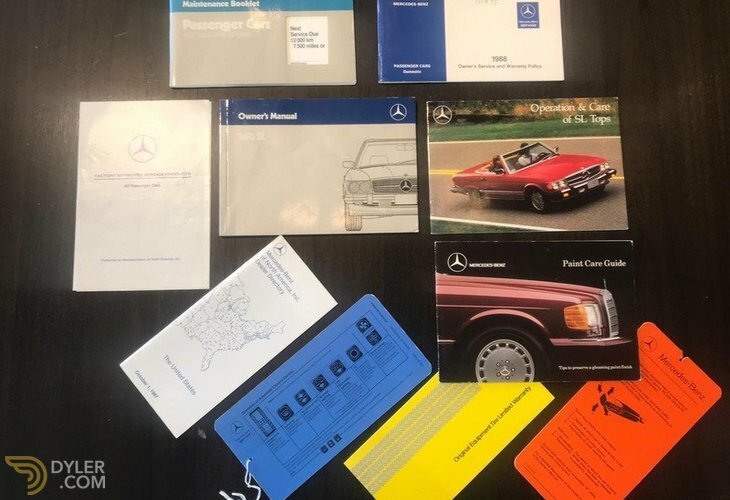 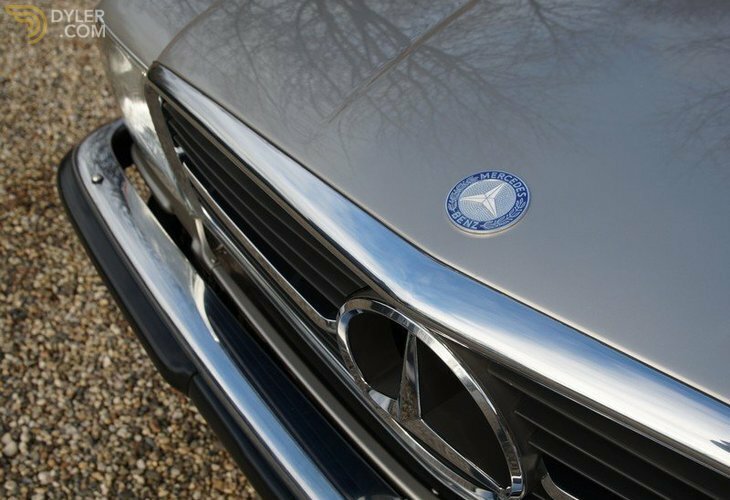 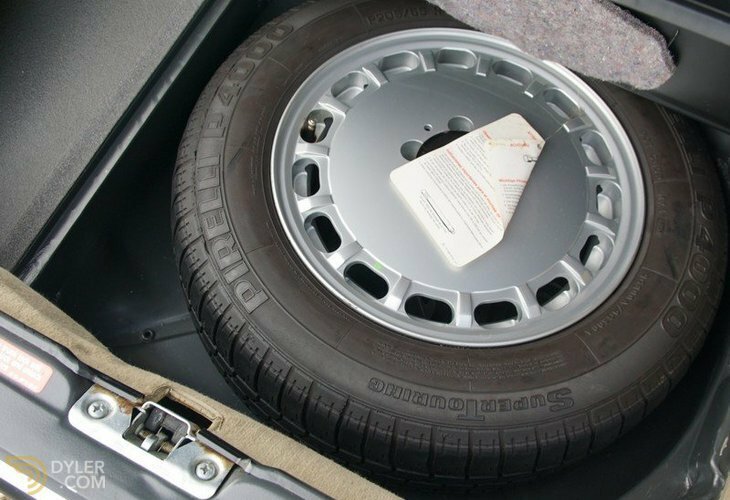 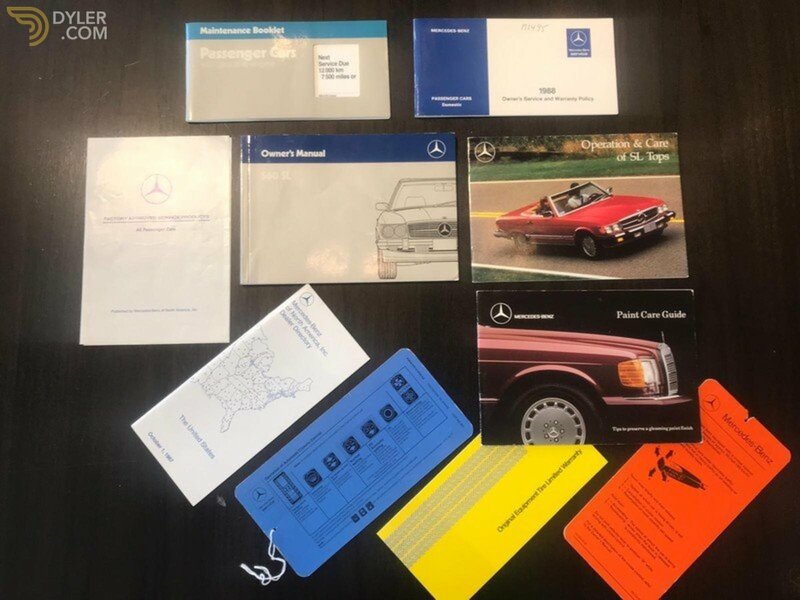 You may rest assured as far as documentation is concerned that the complete car wallet, the rarely present detail and delivery docket as well as every sticker and badge. 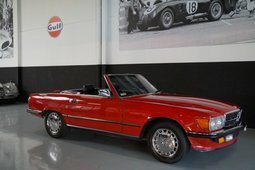 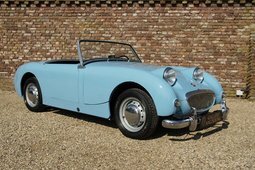 We cannot remember ever having had the pleasure of greeting such an excellently well-conserved example to our showroom!